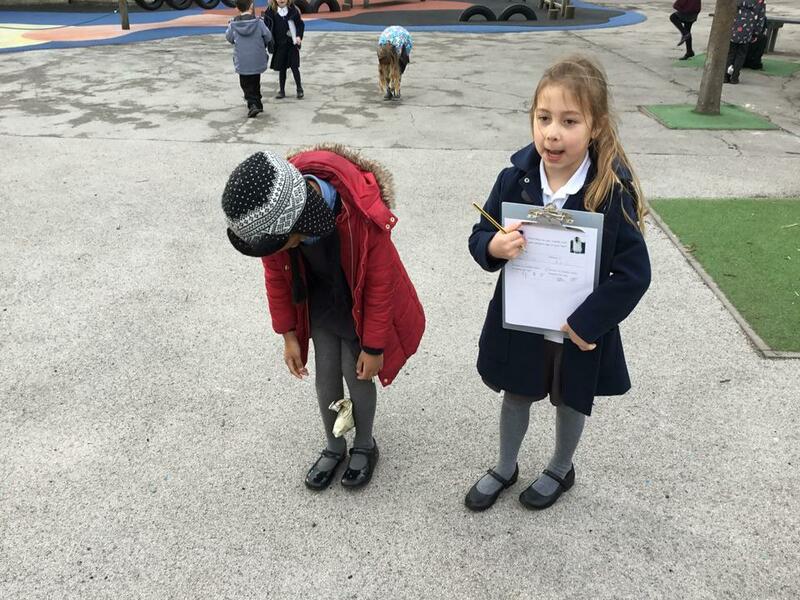 Can you waddle with an egg like a penguin? 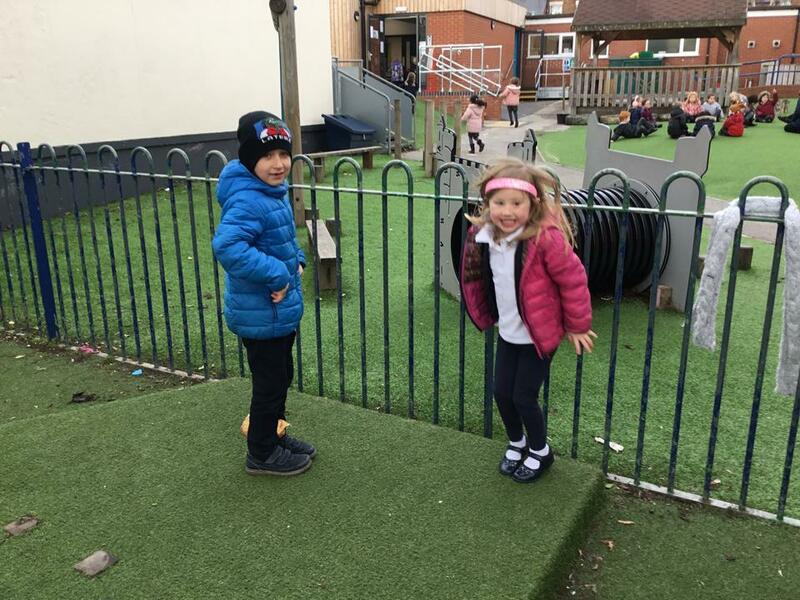 We have been busy, busy this year so far! 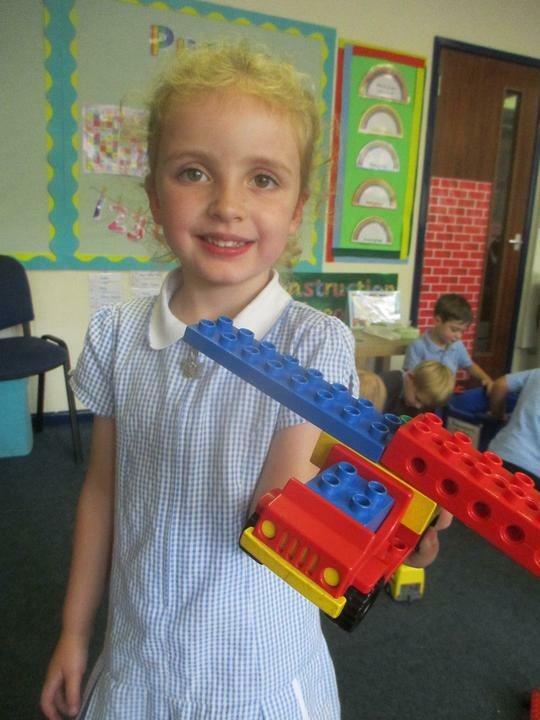 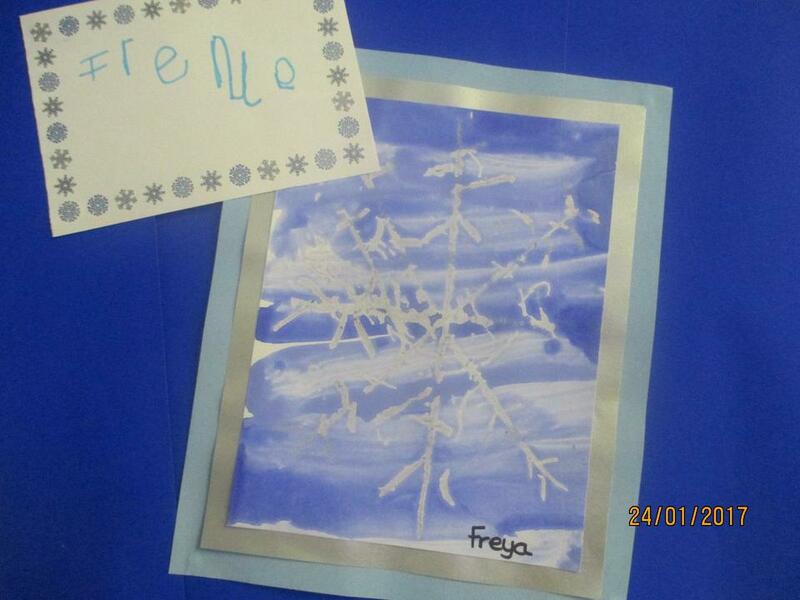 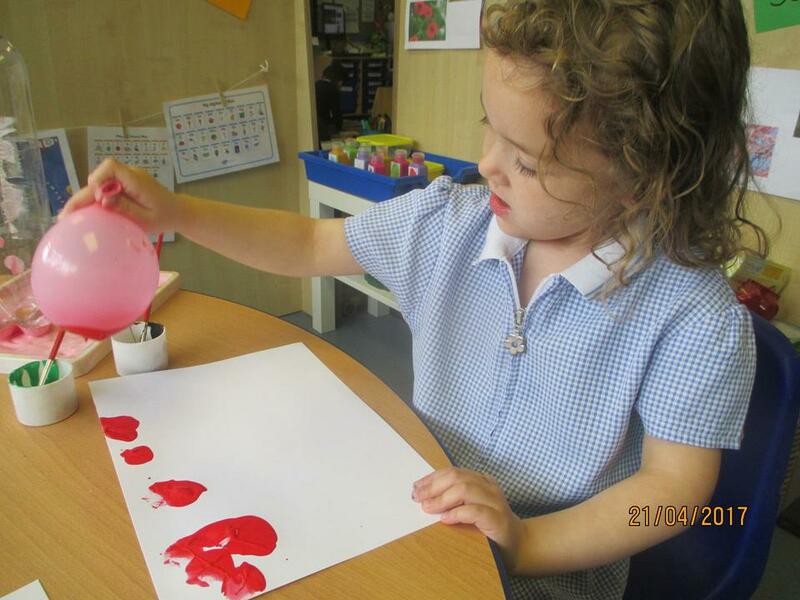 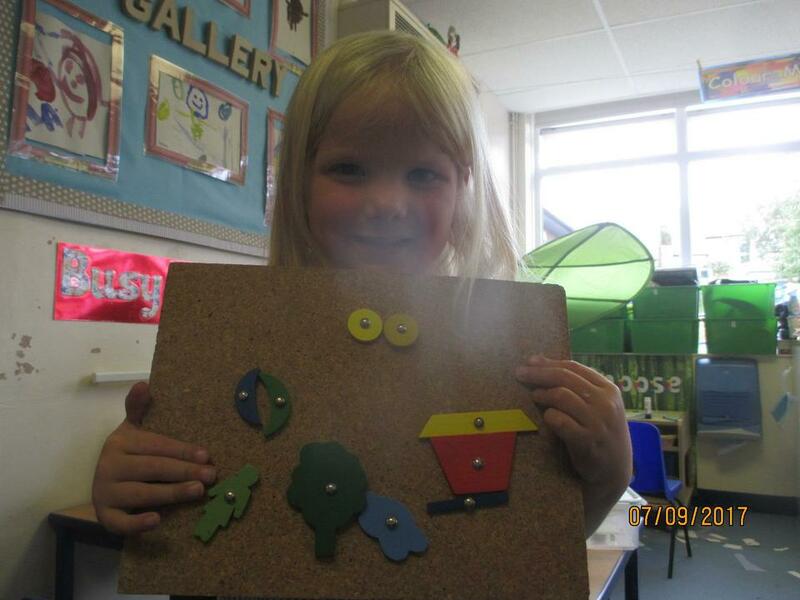 We hope you are all looking forward to an exciting year in F2. 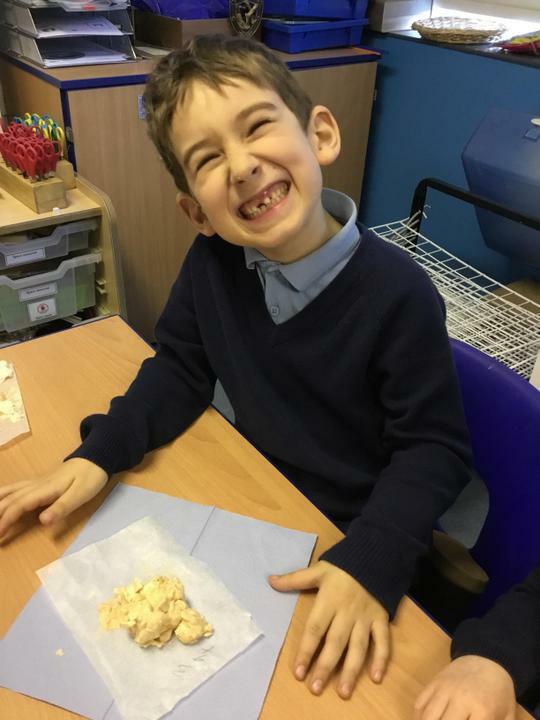 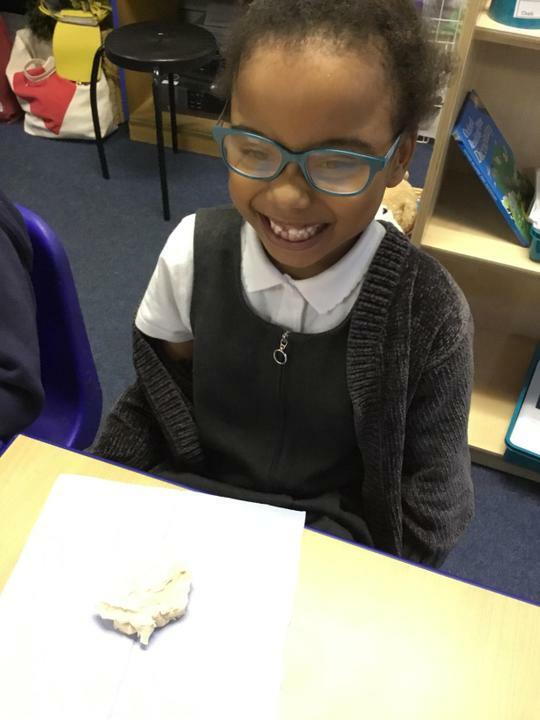 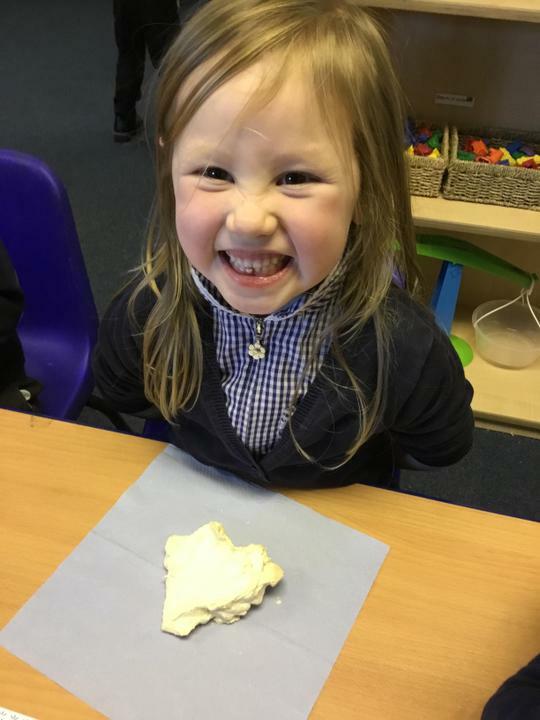 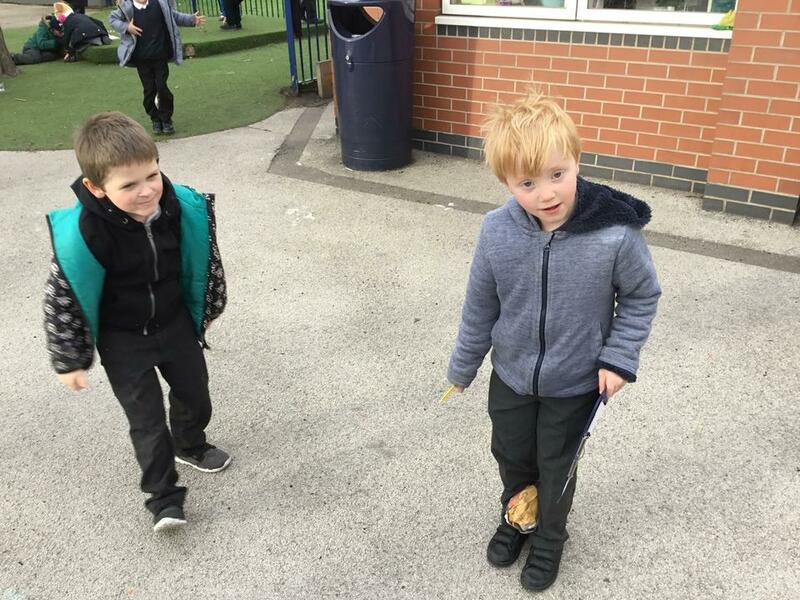 During the first half term we will be settling into our classroom, getting to know our teachers, making lots of new friends and learning about the daily routine. 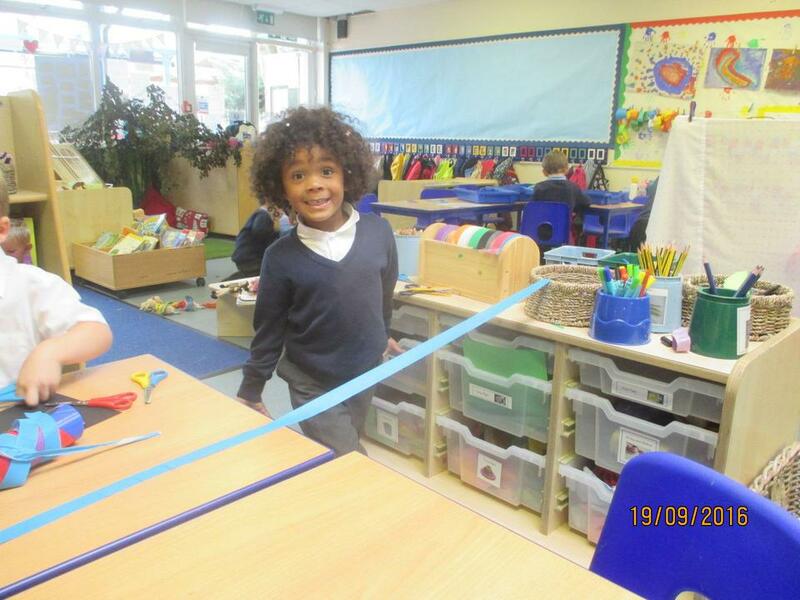 What an amazing first week at school. 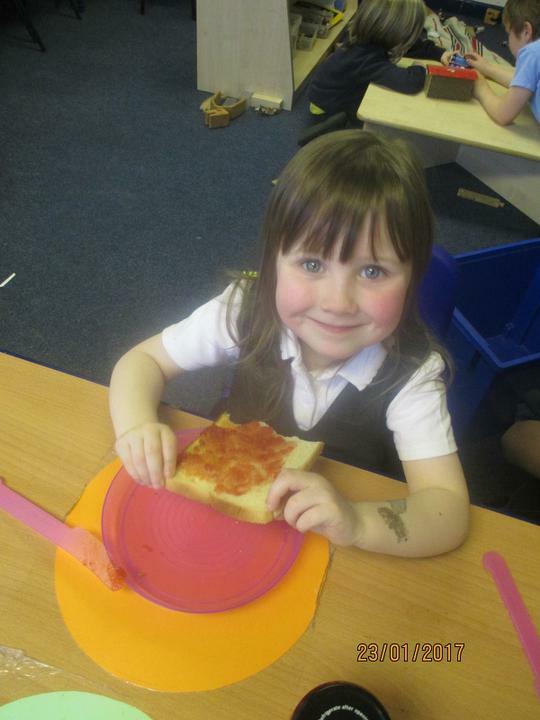 We are so proud of how everyone has settled in. 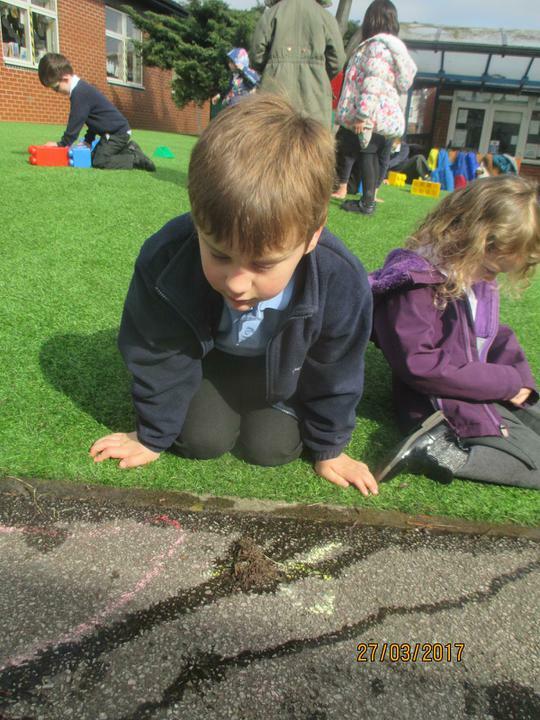 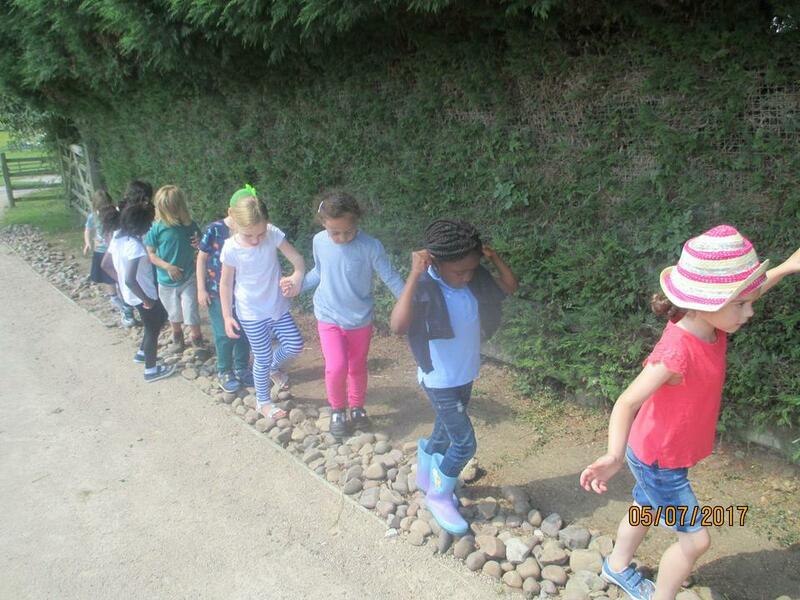 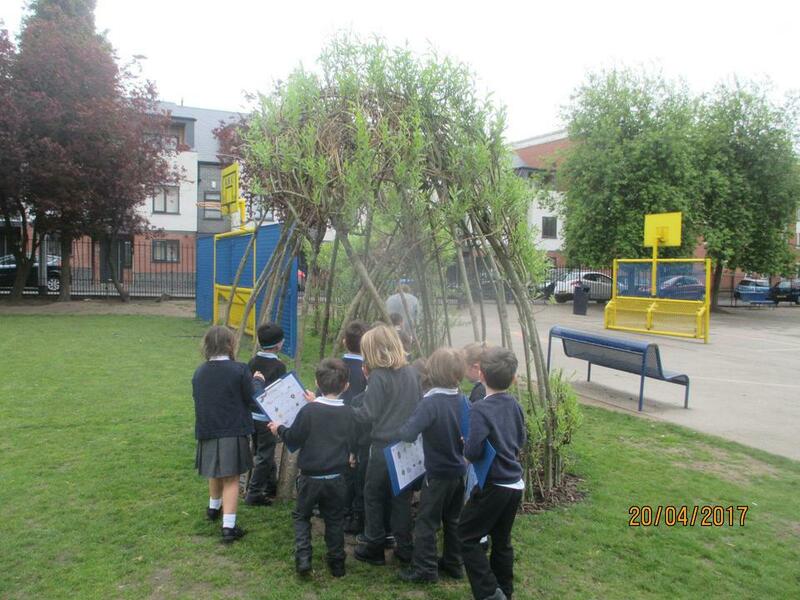 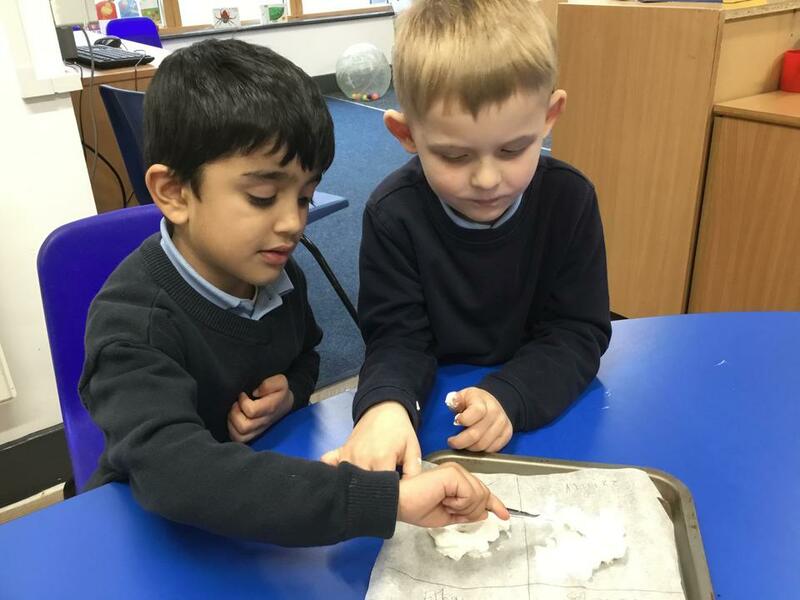 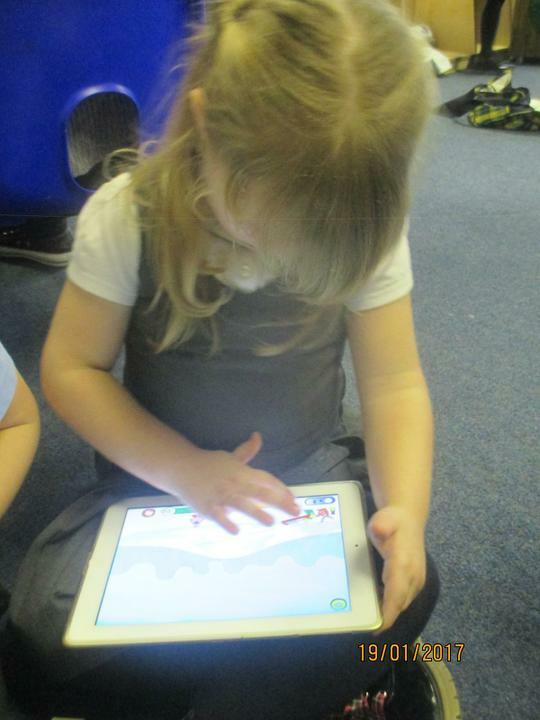 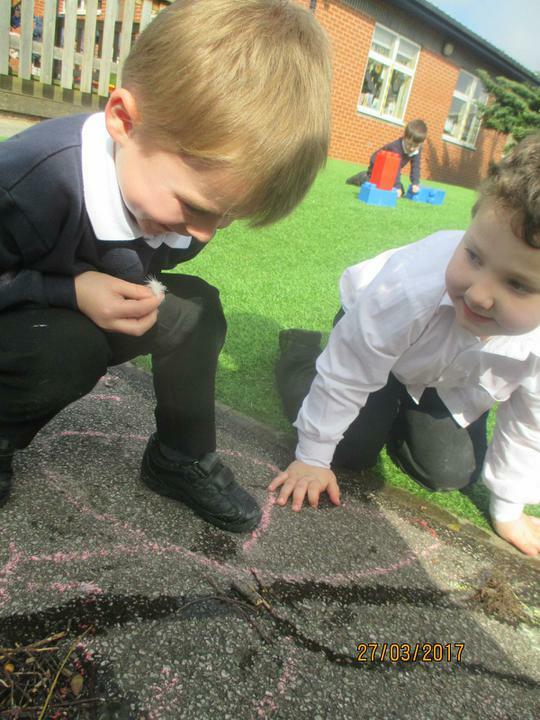 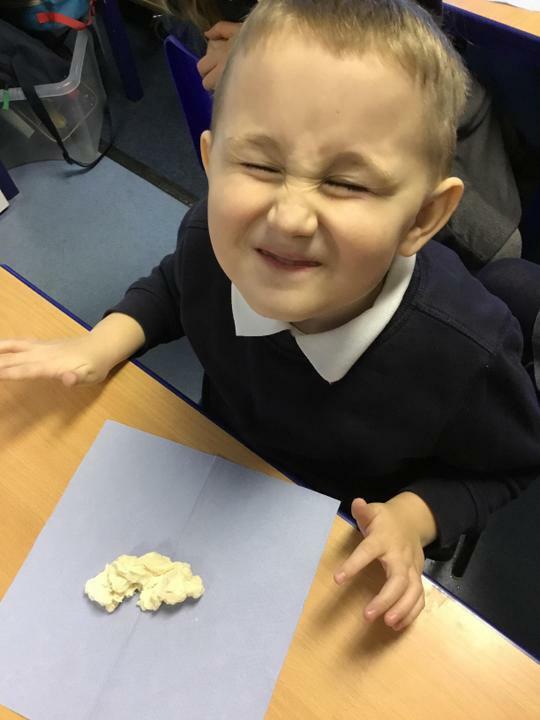 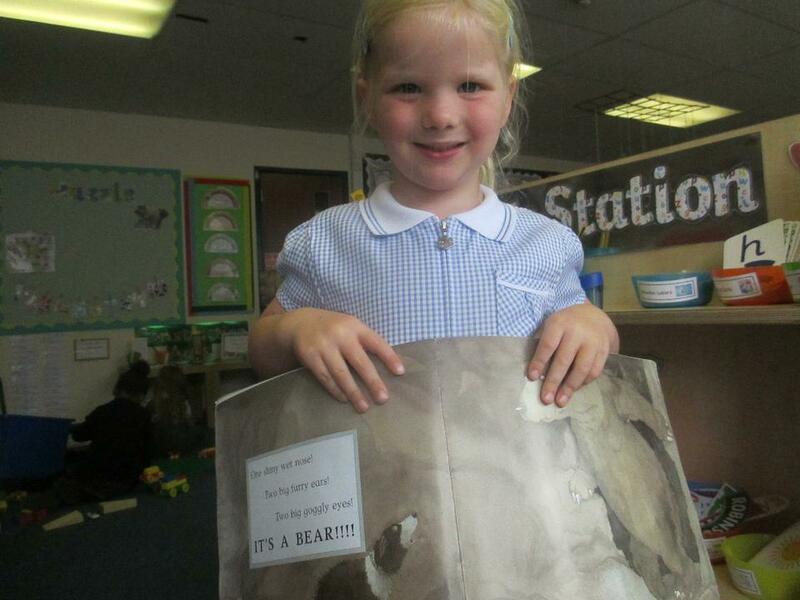 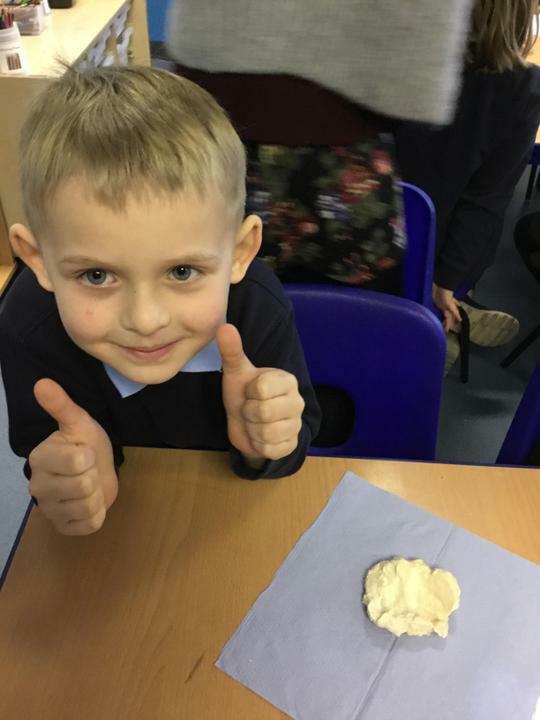 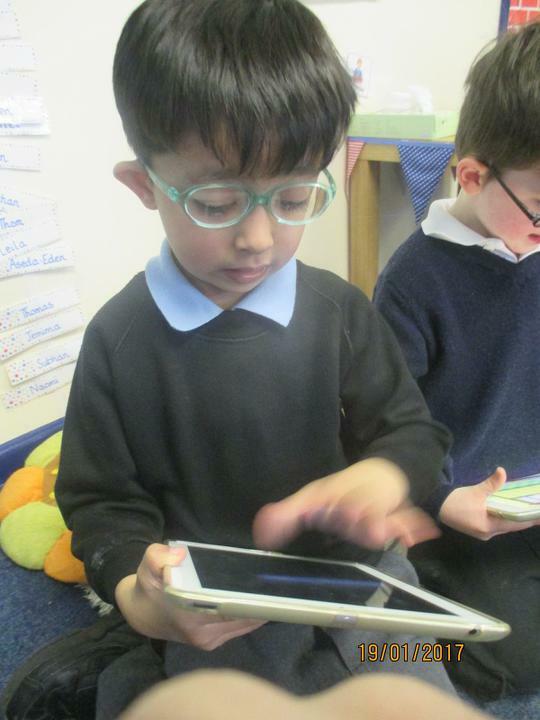 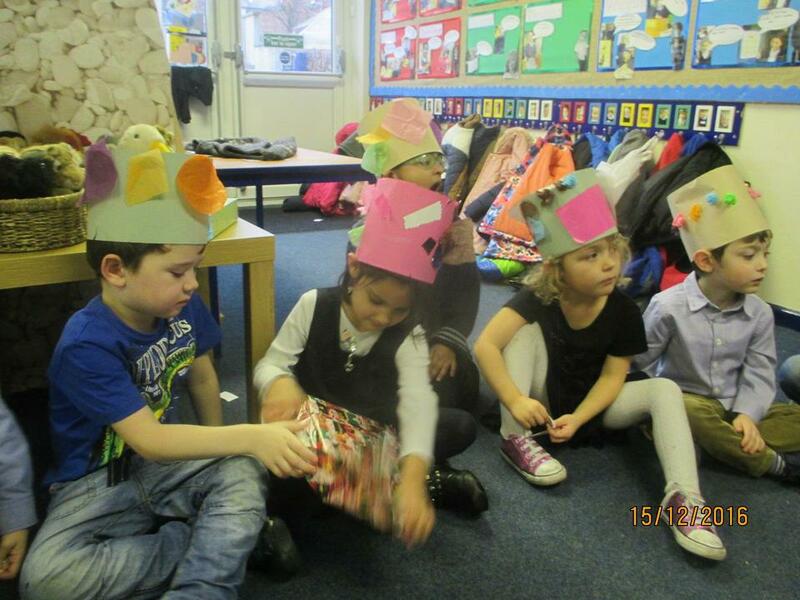 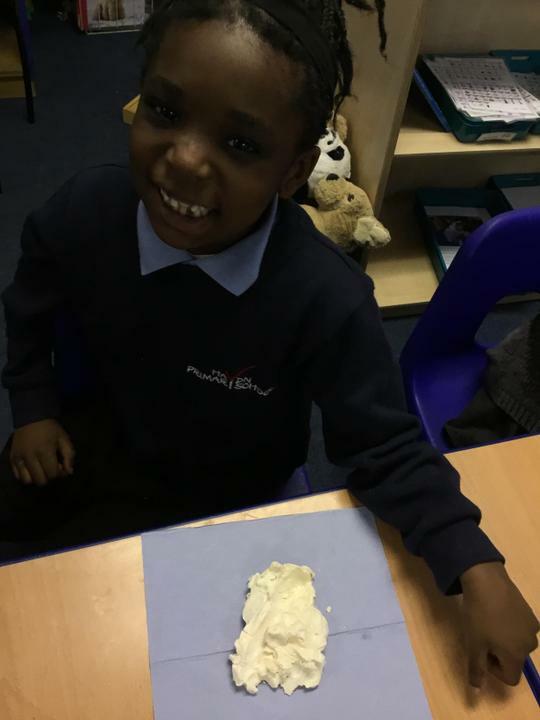 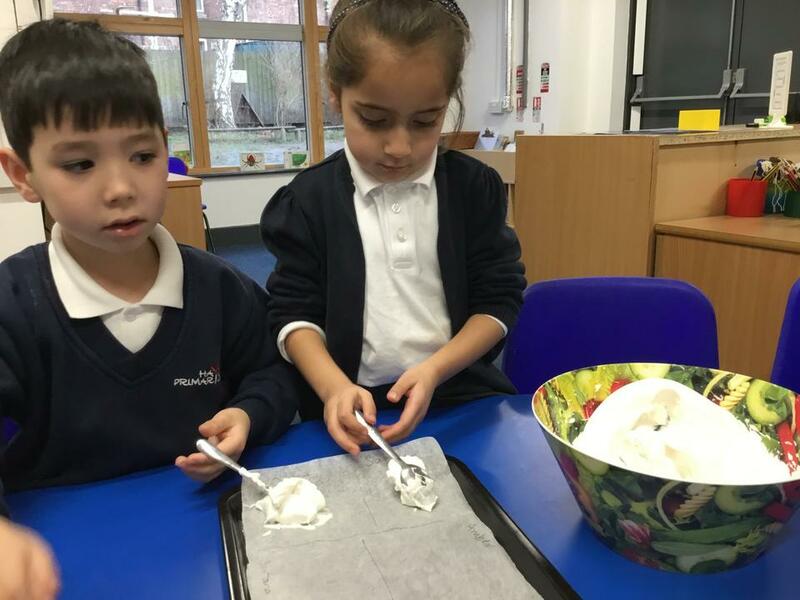 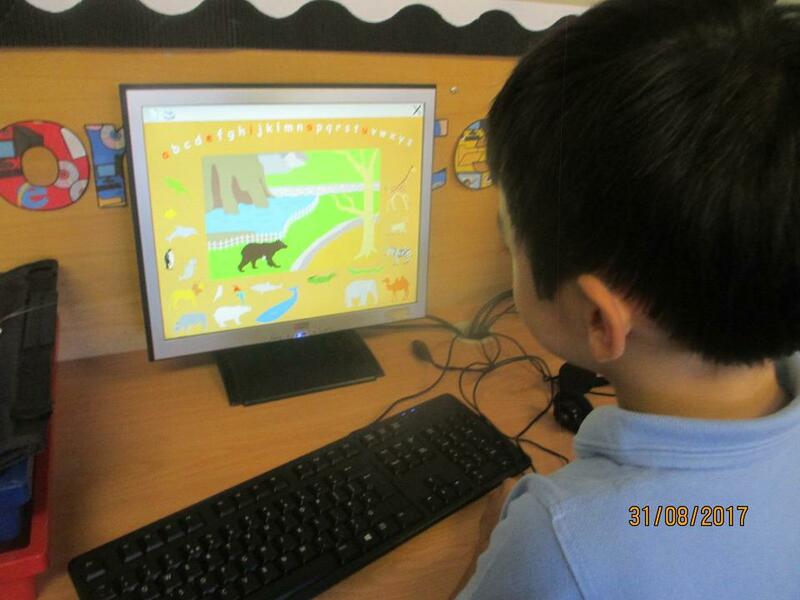 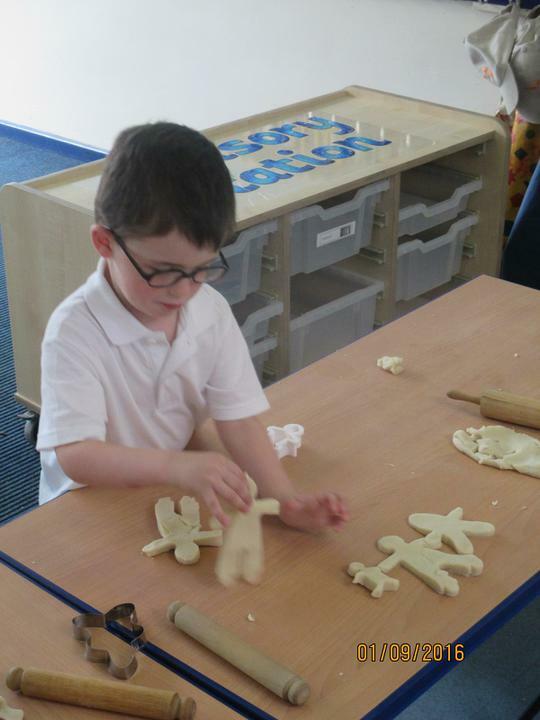 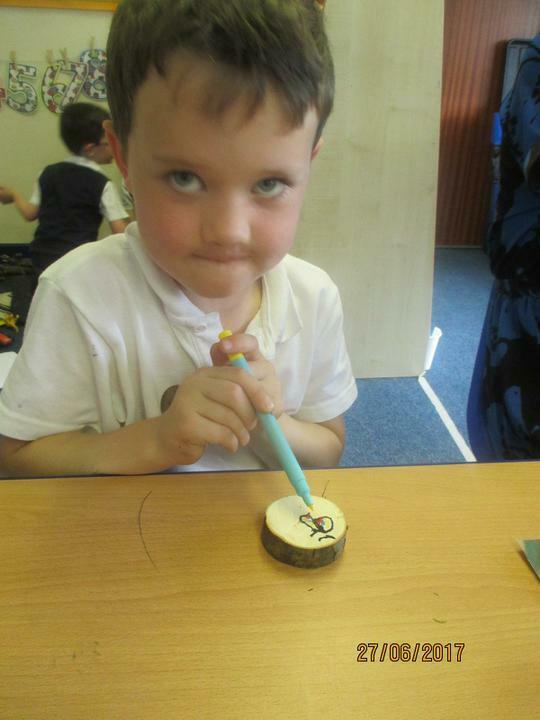 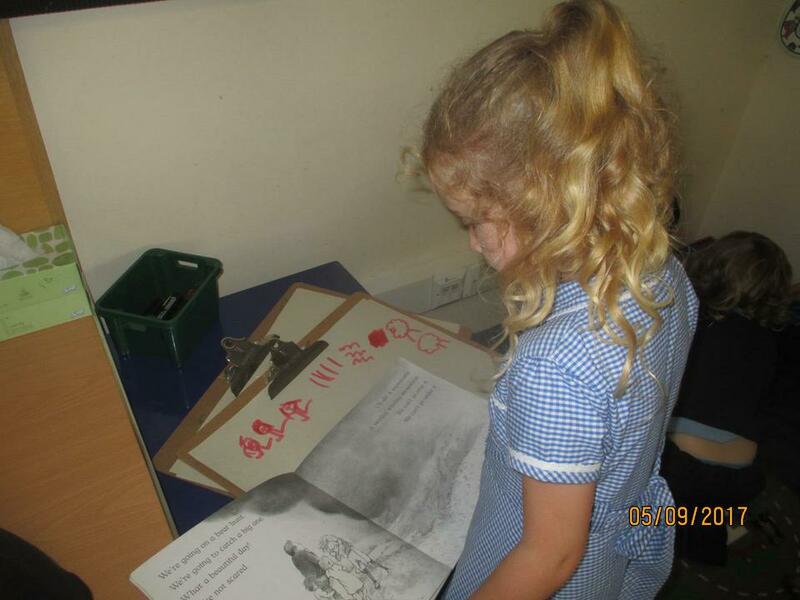 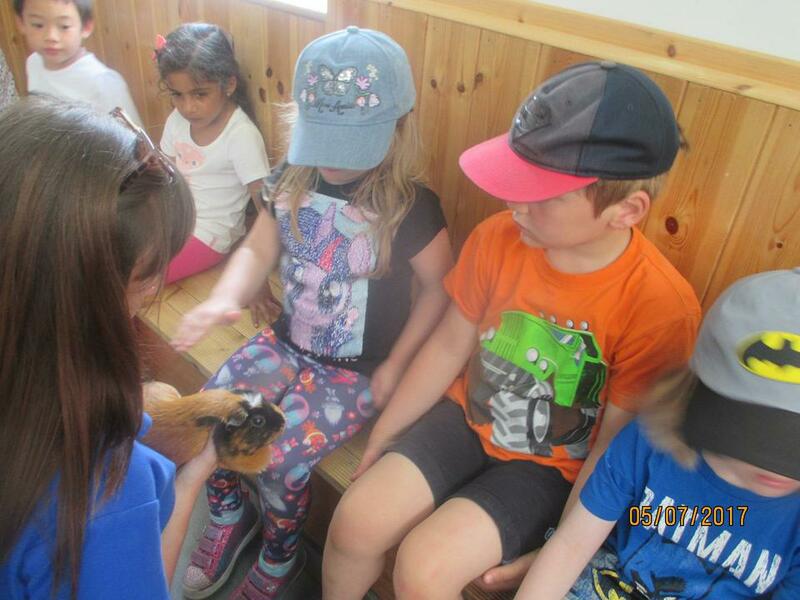 We have been exploring the classroom environment and we have all started to make lots of new friends.We have taken part in a variety of activities linked to our book of the week 'We're going on a Bear Hunt'. 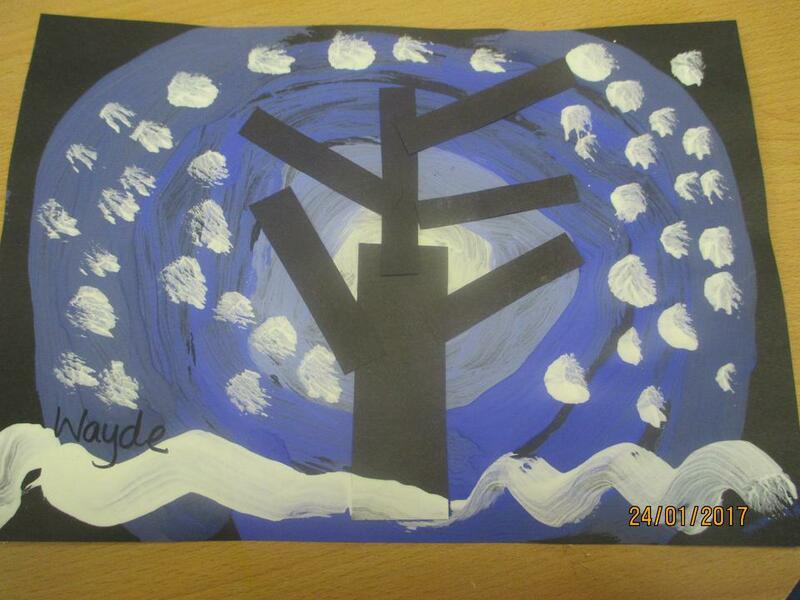 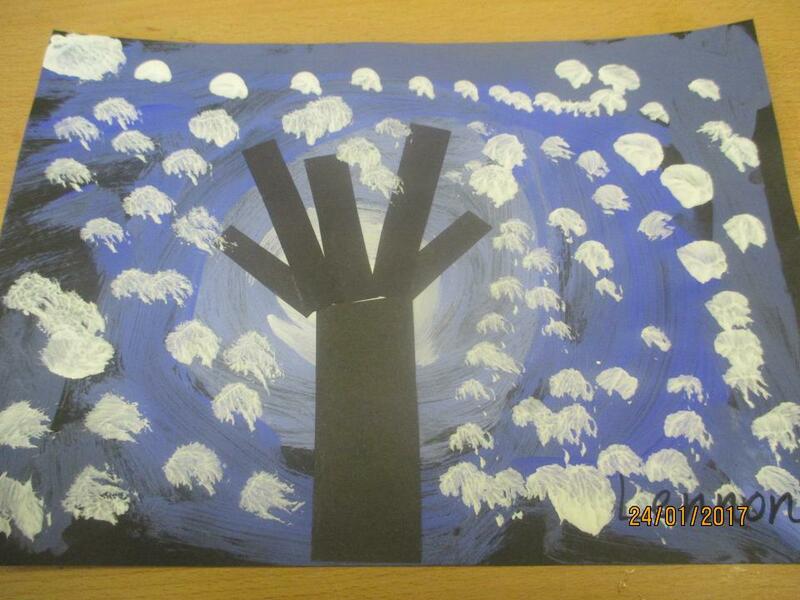 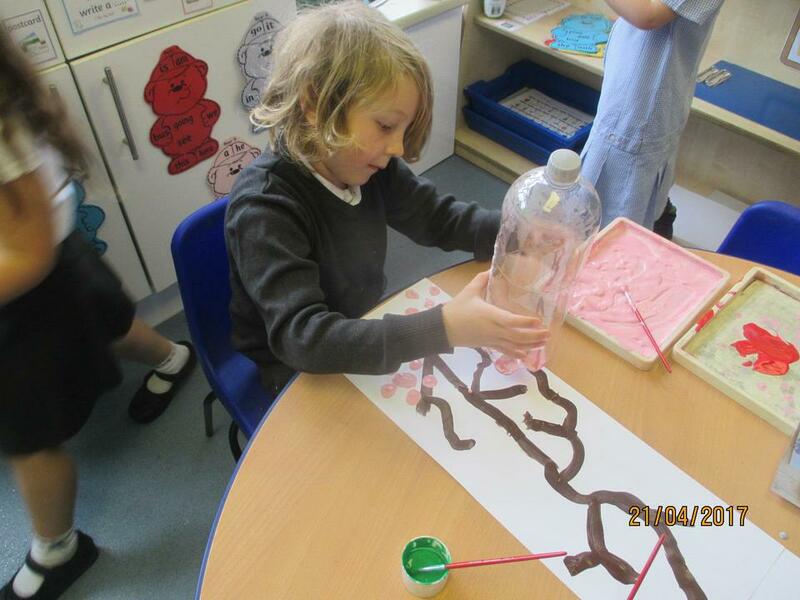 This month our topic has been Spring. 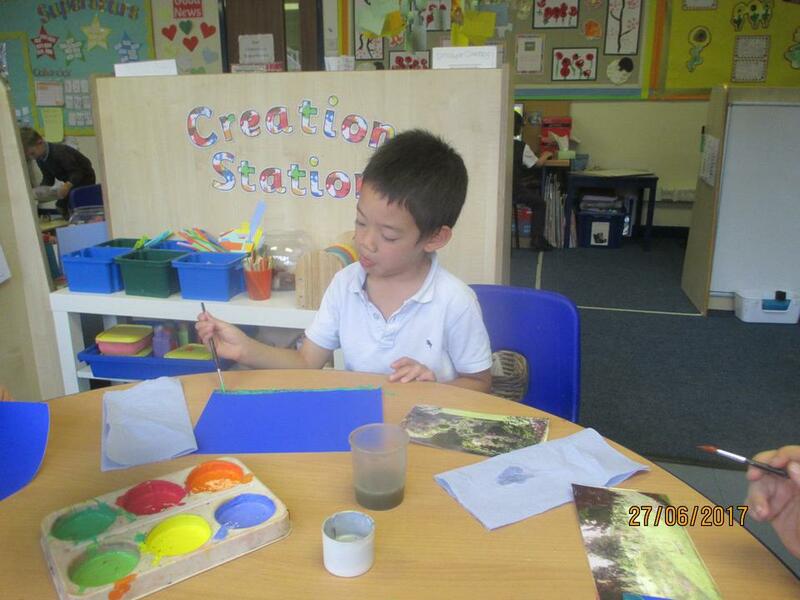 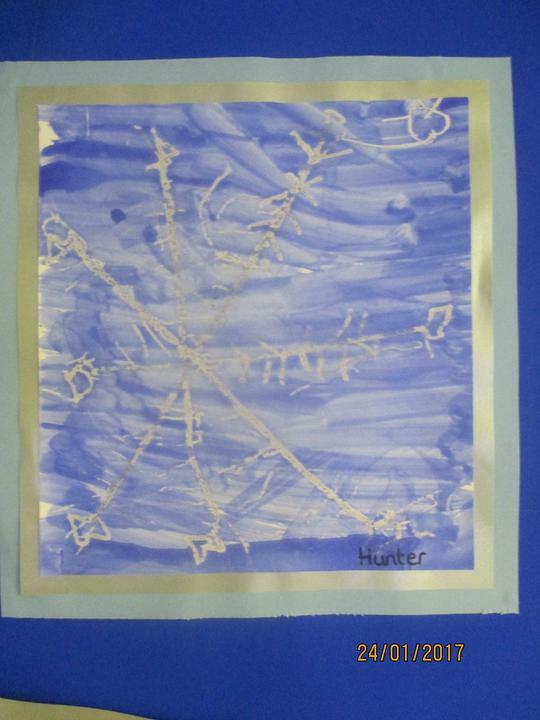 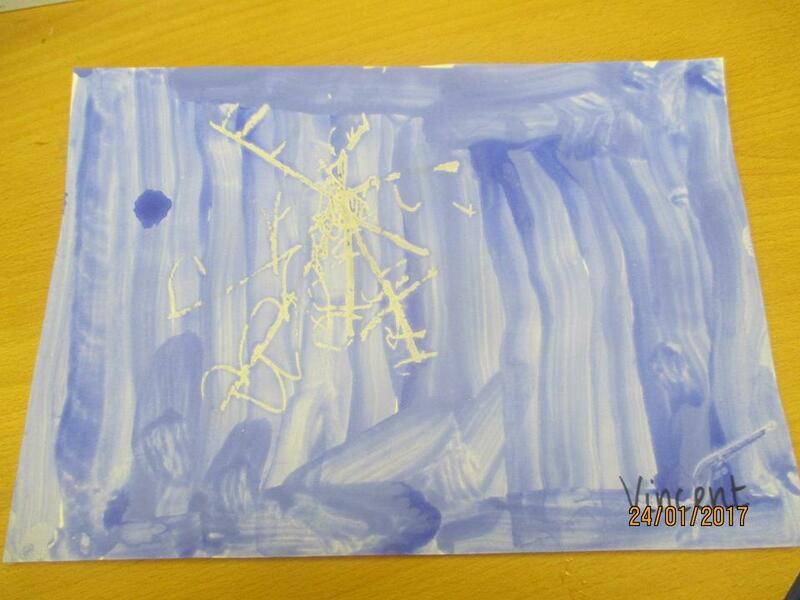 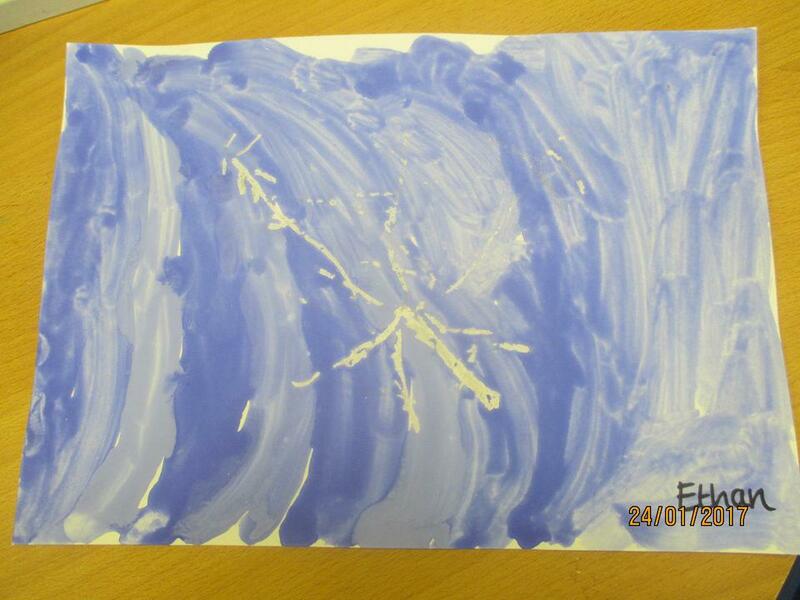 We have been learning about the changes that happen to our environment during this season. 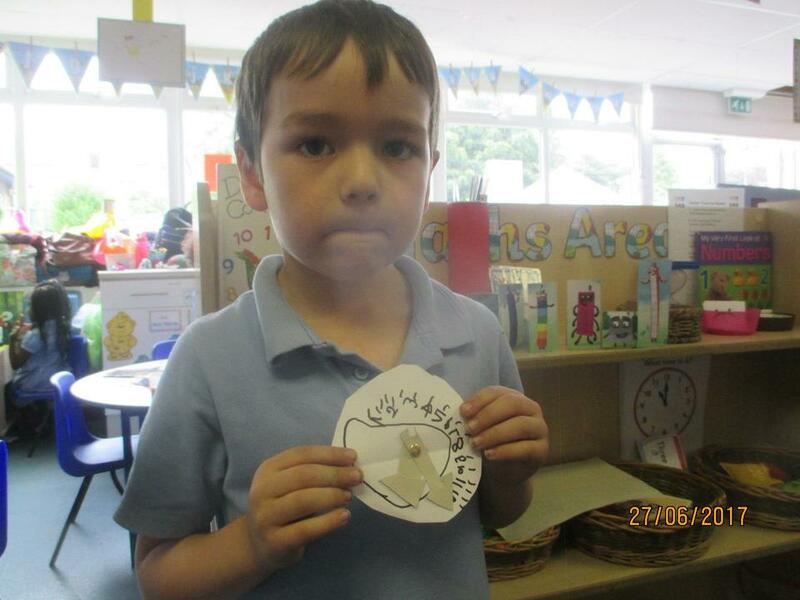 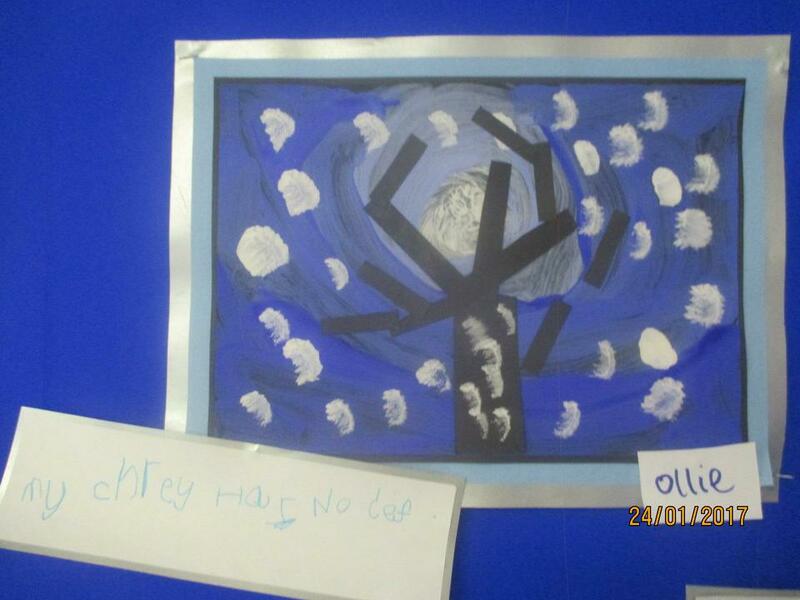 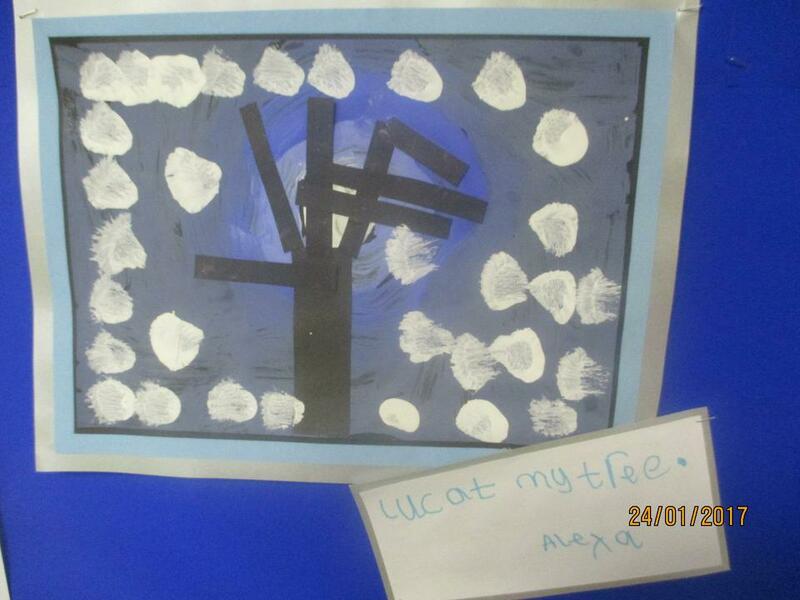 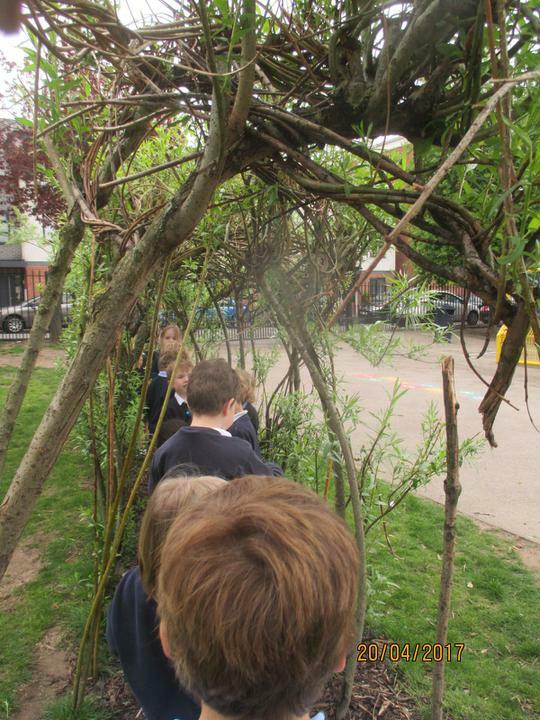 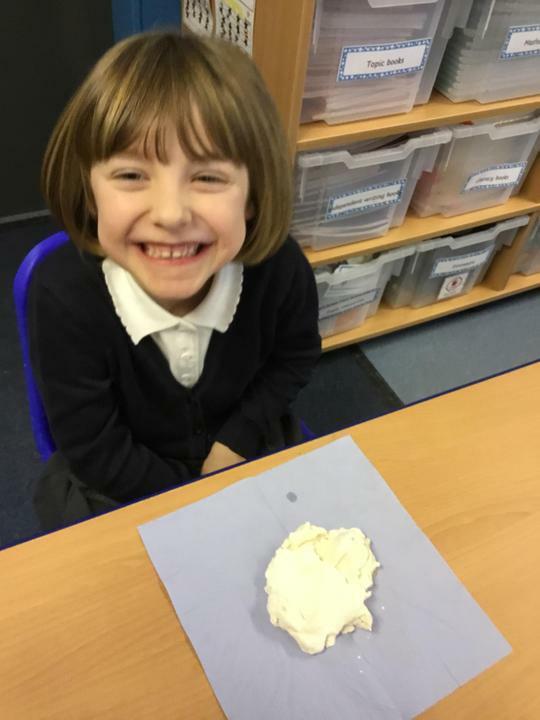 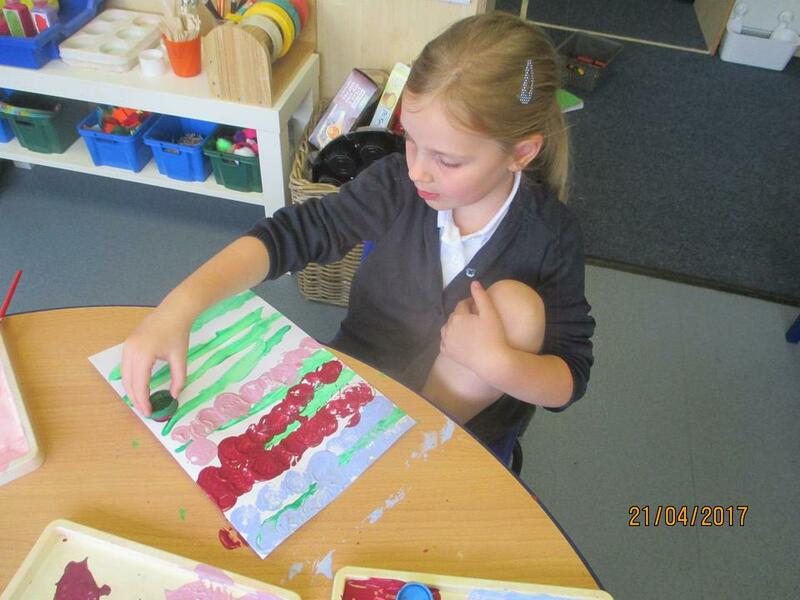 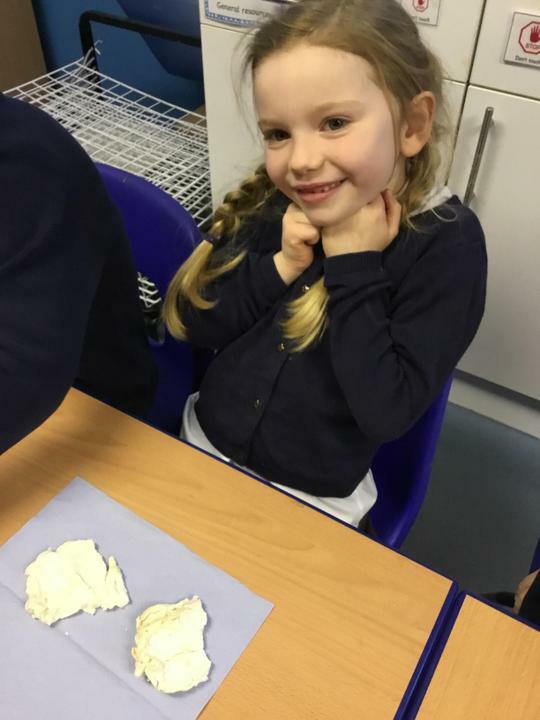 We went on a Spring walk around the school grounds and we have produced lots of creative work, which is displayed beautifully in our classroom. 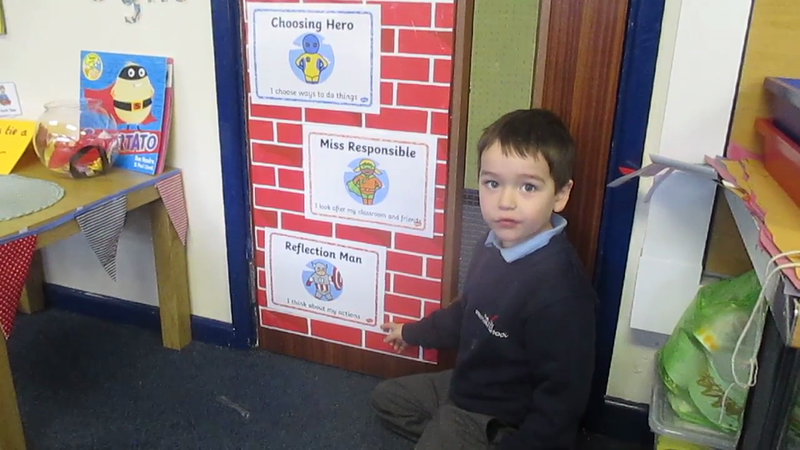 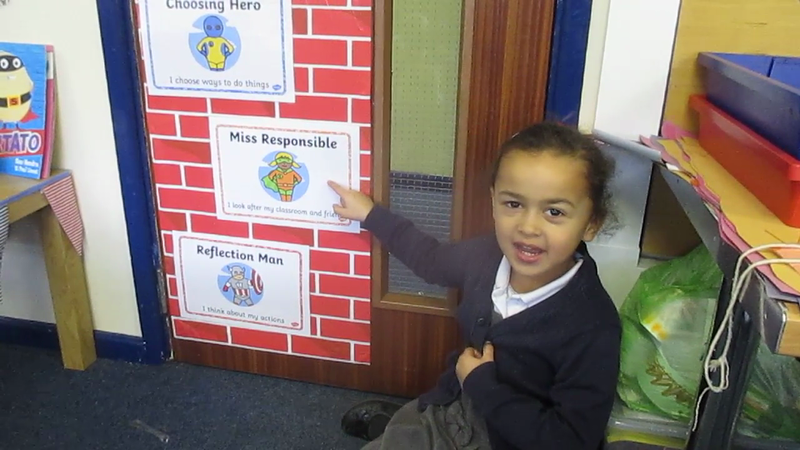 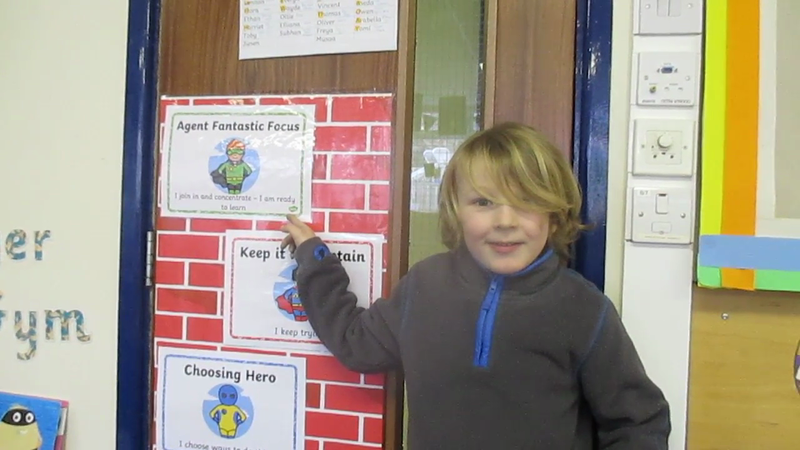 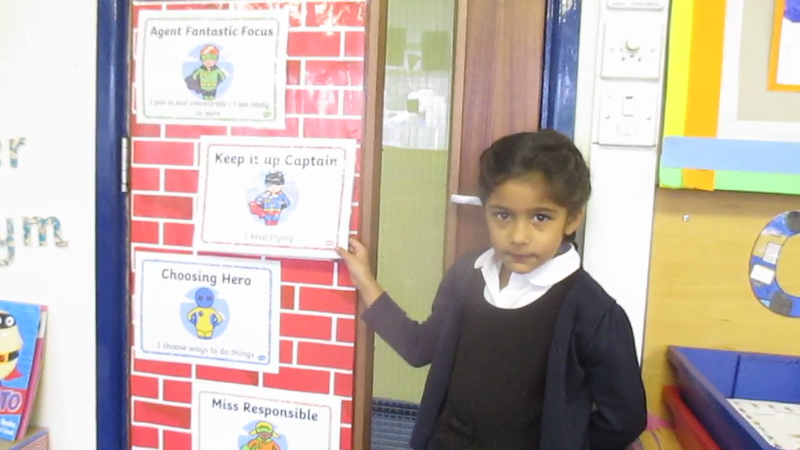 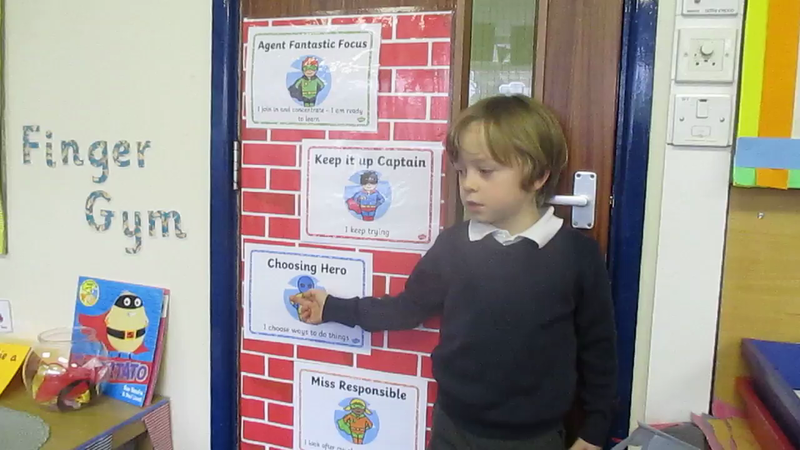 We have 5 special Superheroes in our classroom who help us display the correct behaviour at school. 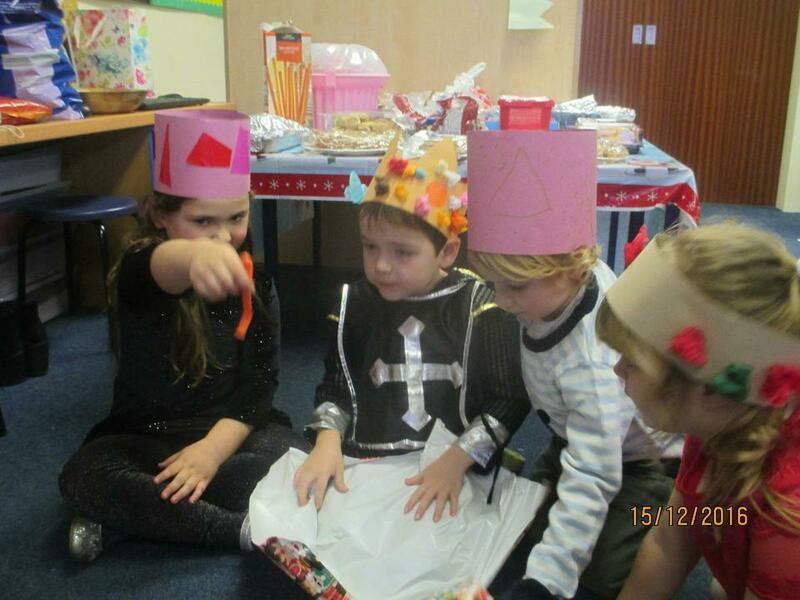 Below the children have introduced each of them and their special power. 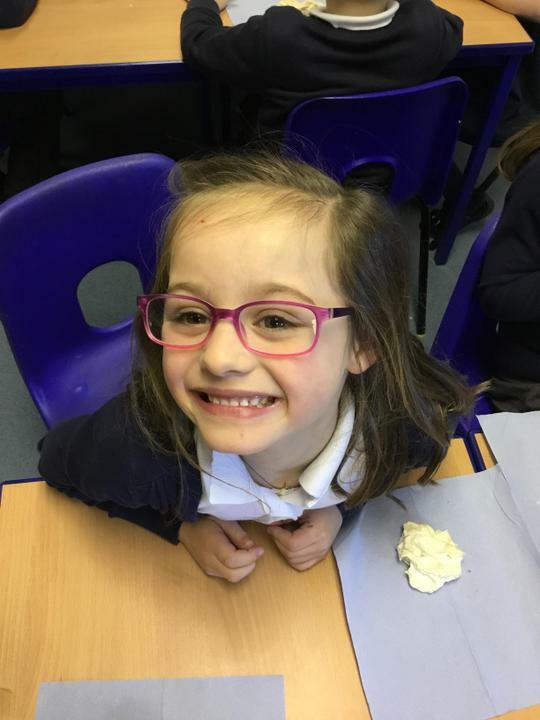 MYSTERY READERS NEEDED - Can you Help? 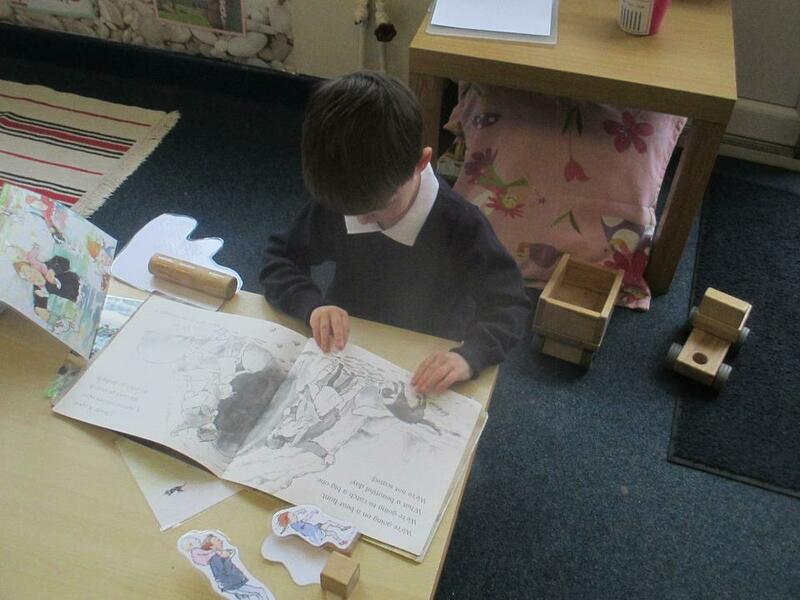 We want to continue developing the children's passion for reading. 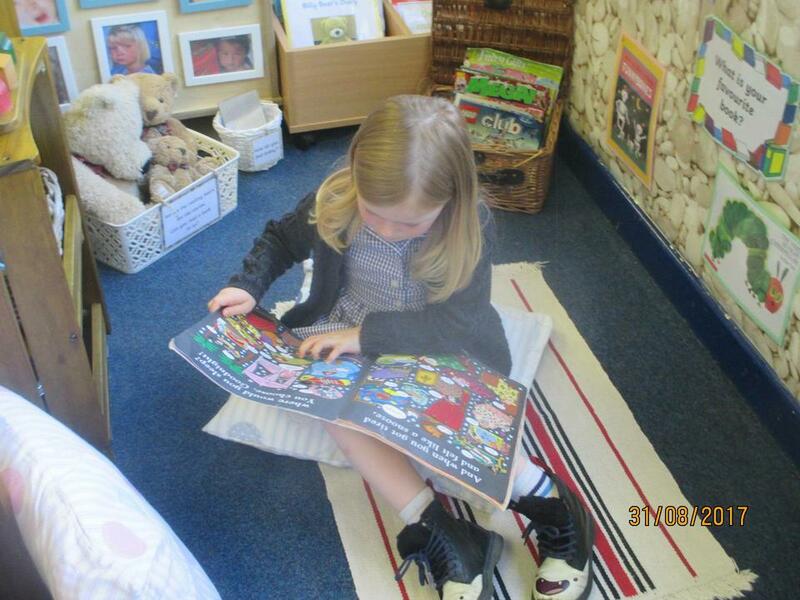 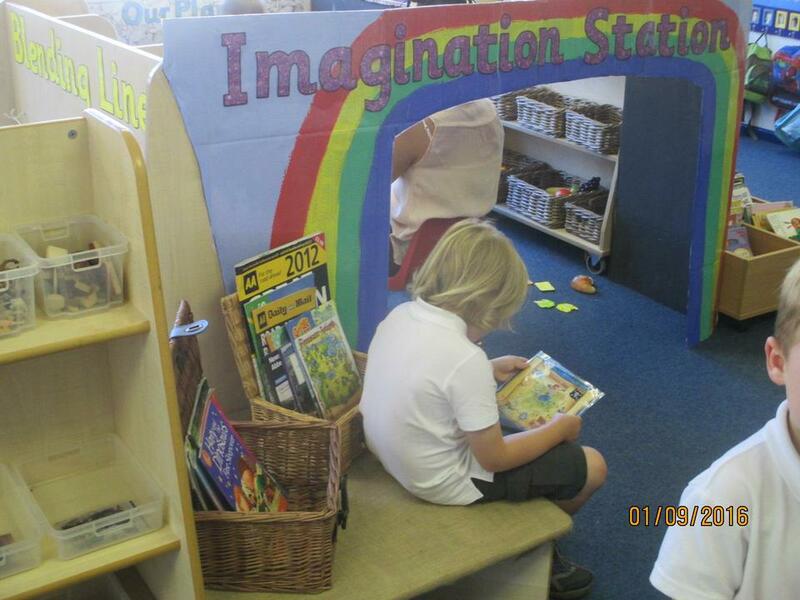 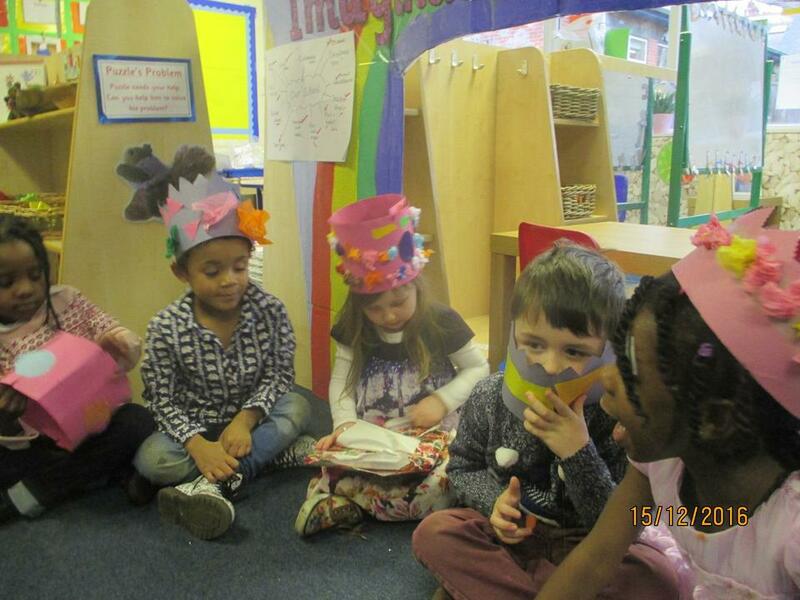 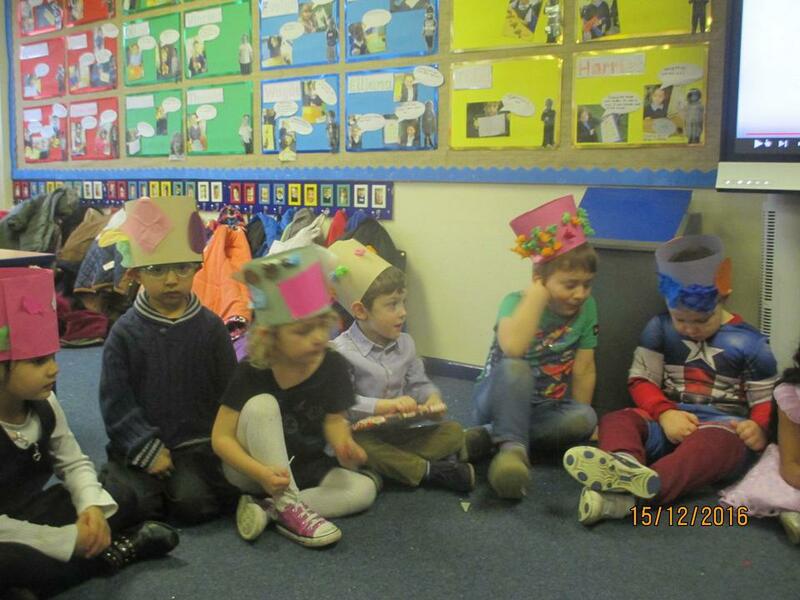 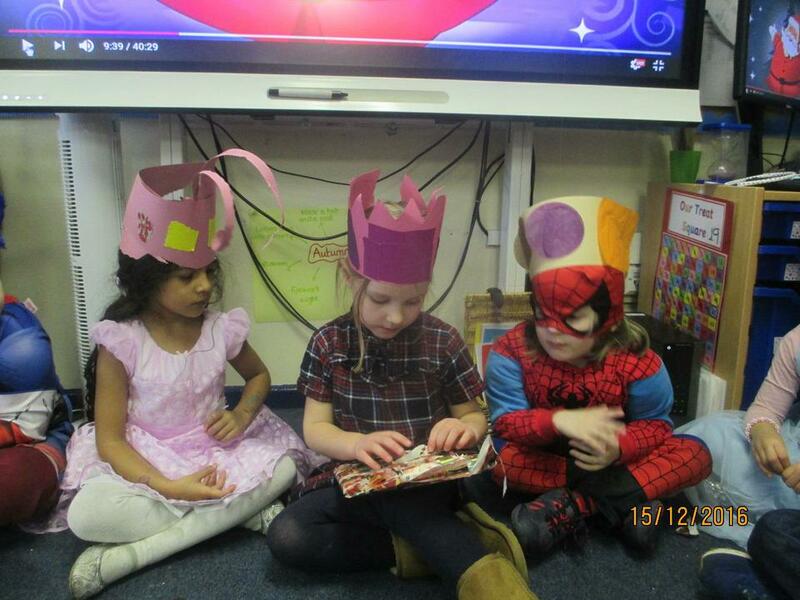 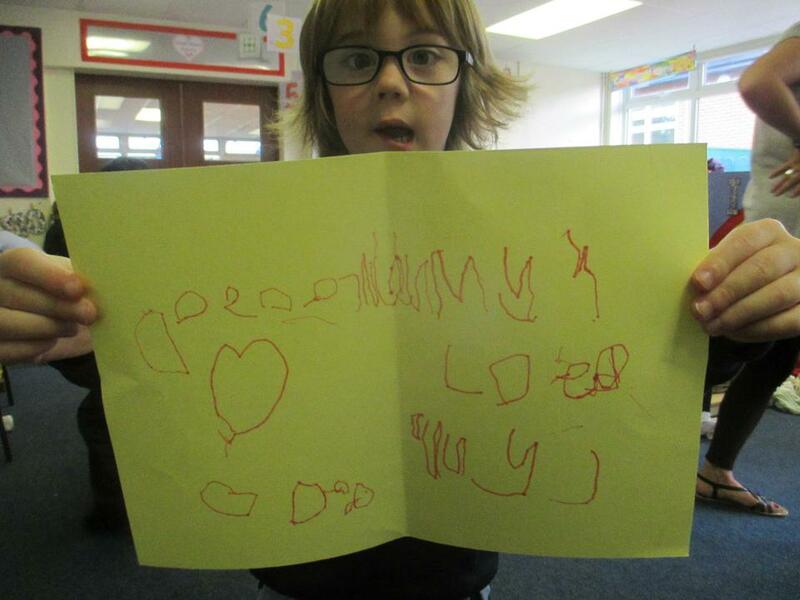 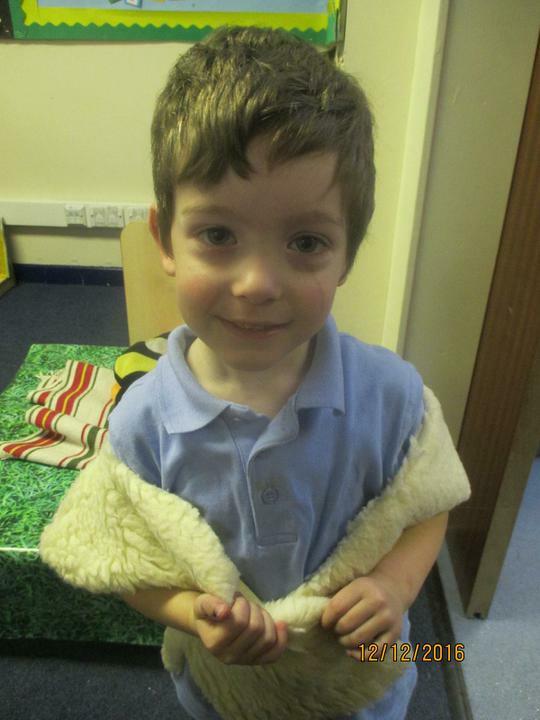 Each week we would like a parent/carer to come in and read a story to the children (you can choose which one!). 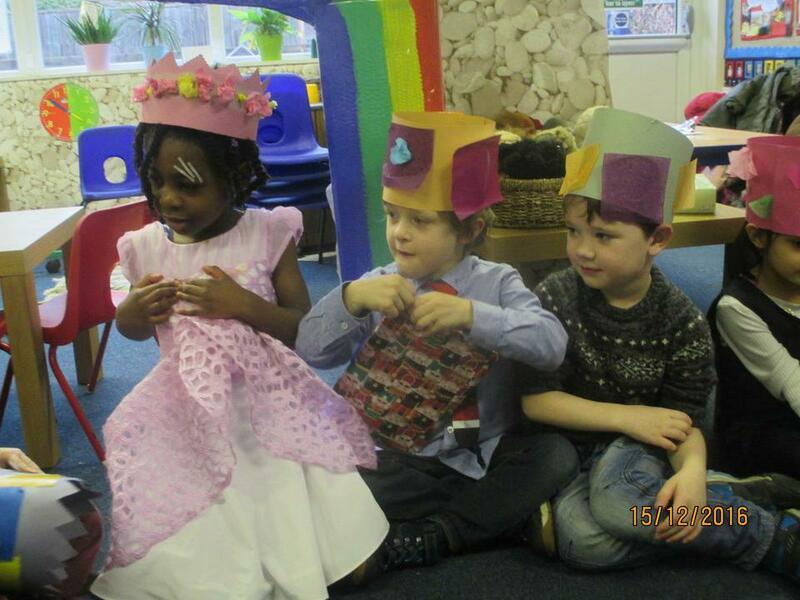 The children will not be told which grown up is coming each week. 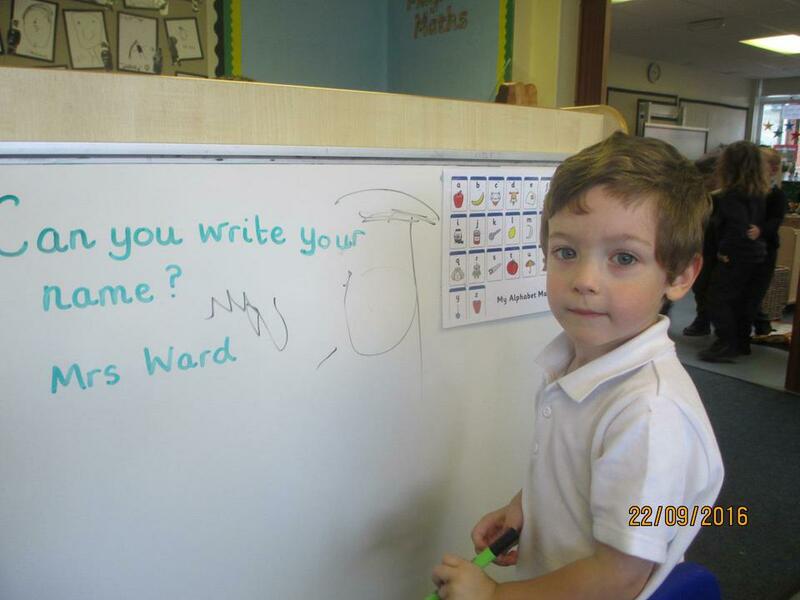 We would like to start this soon so please let us know if you would be interested. 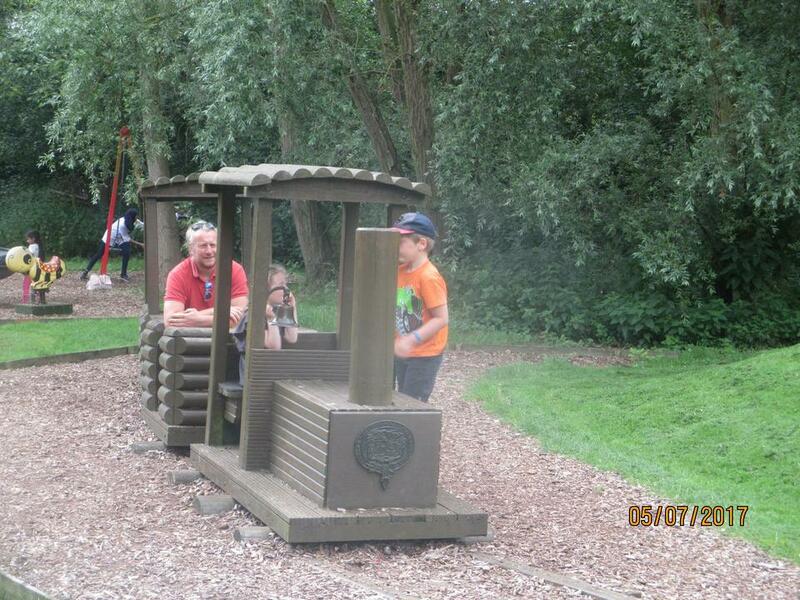 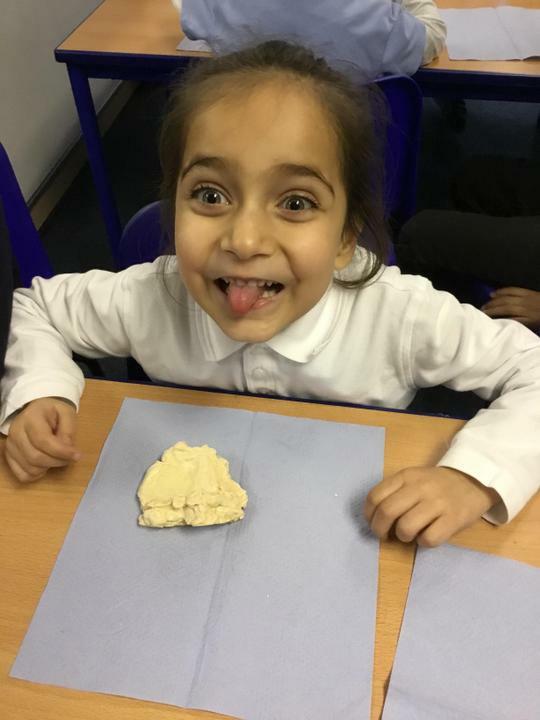 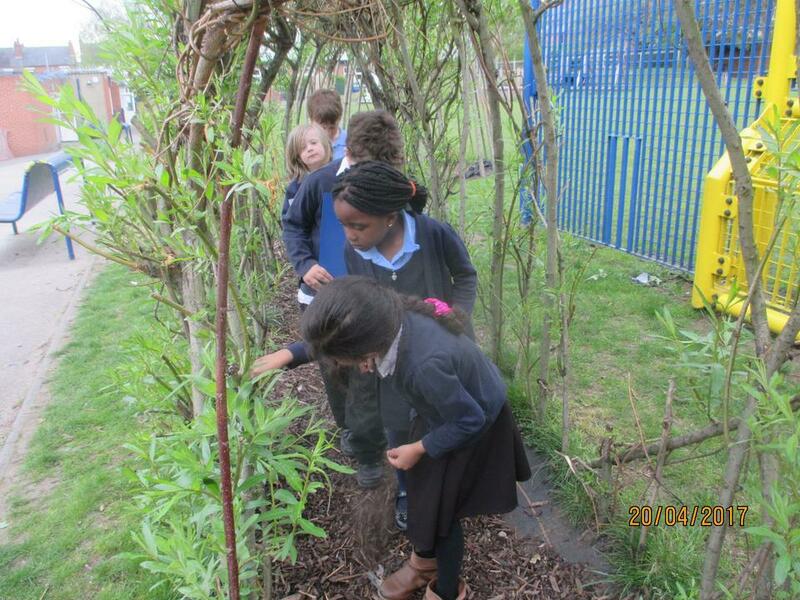 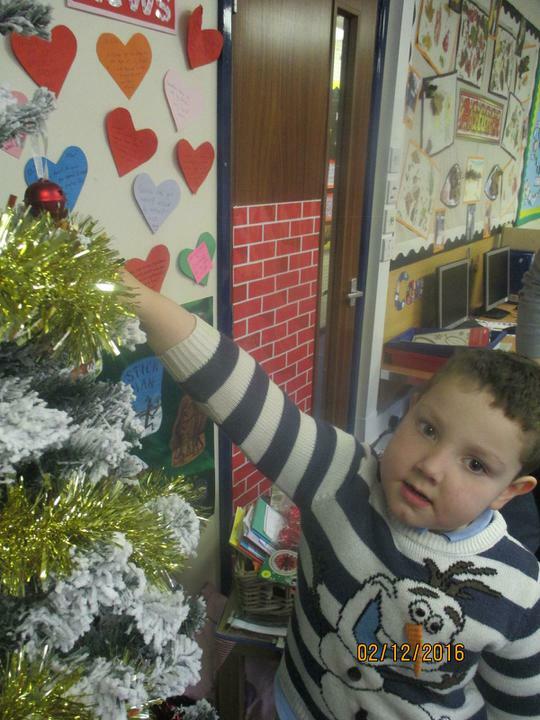 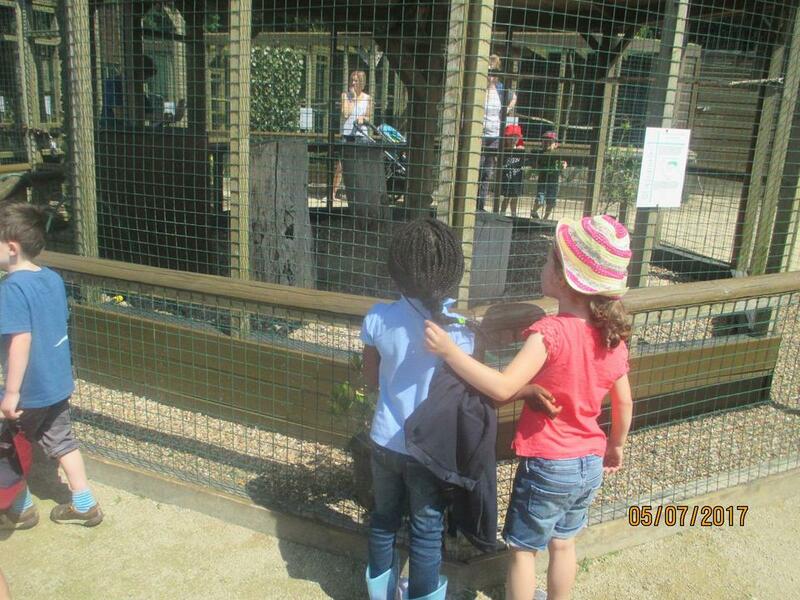 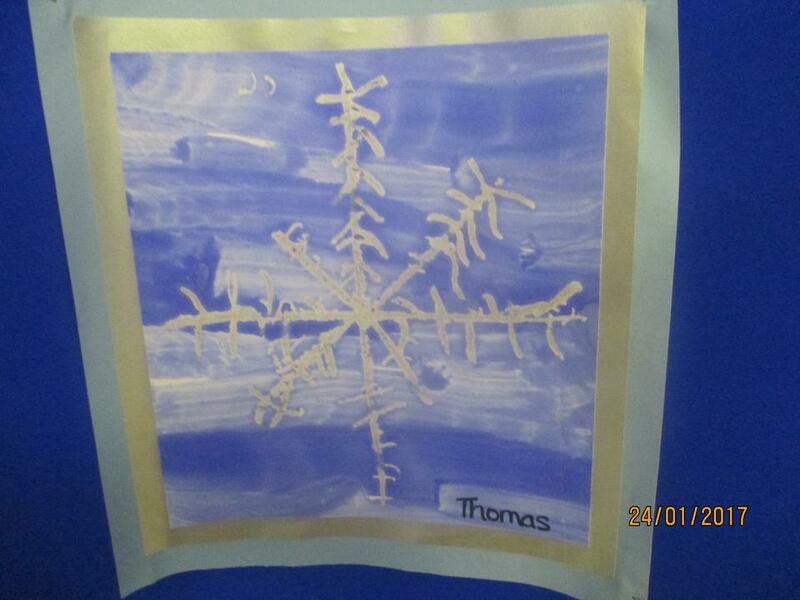 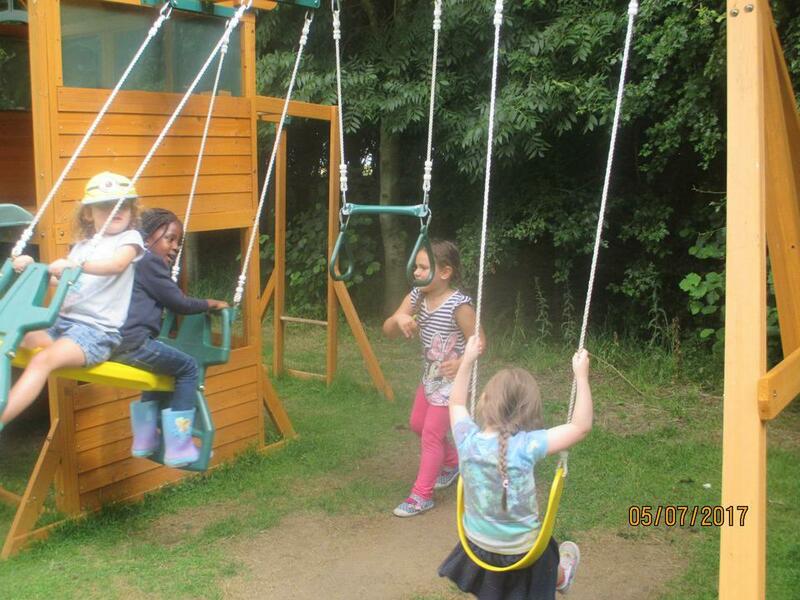 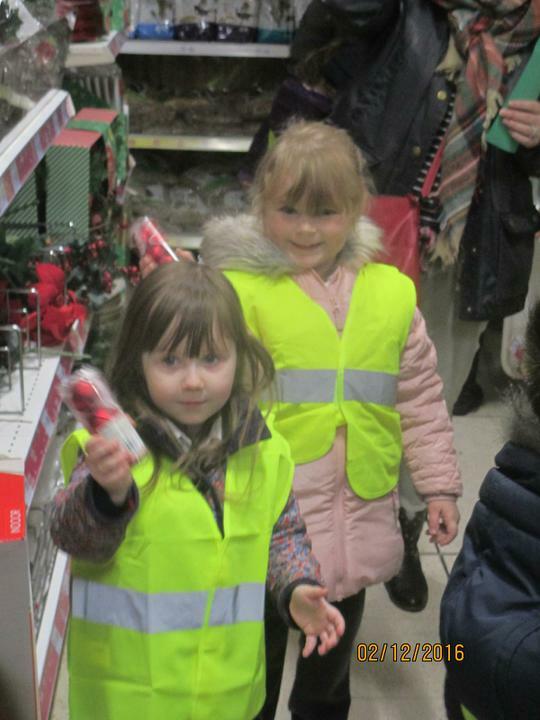 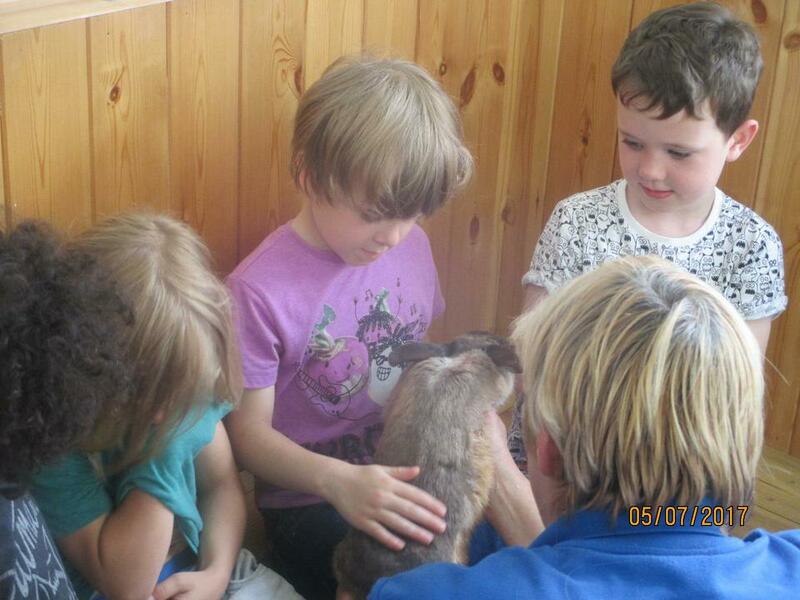 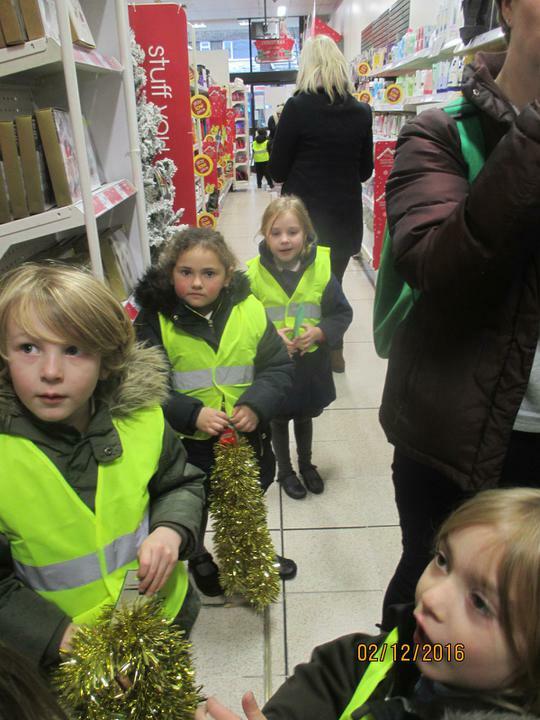 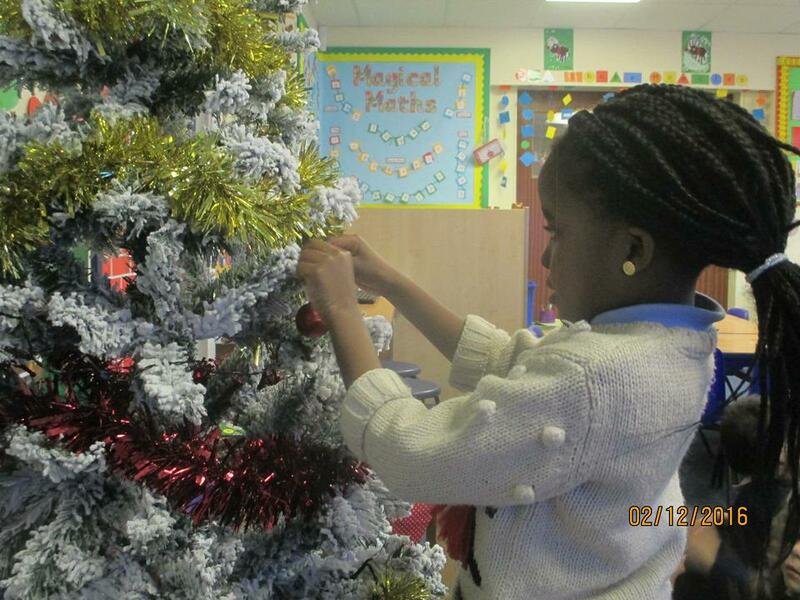 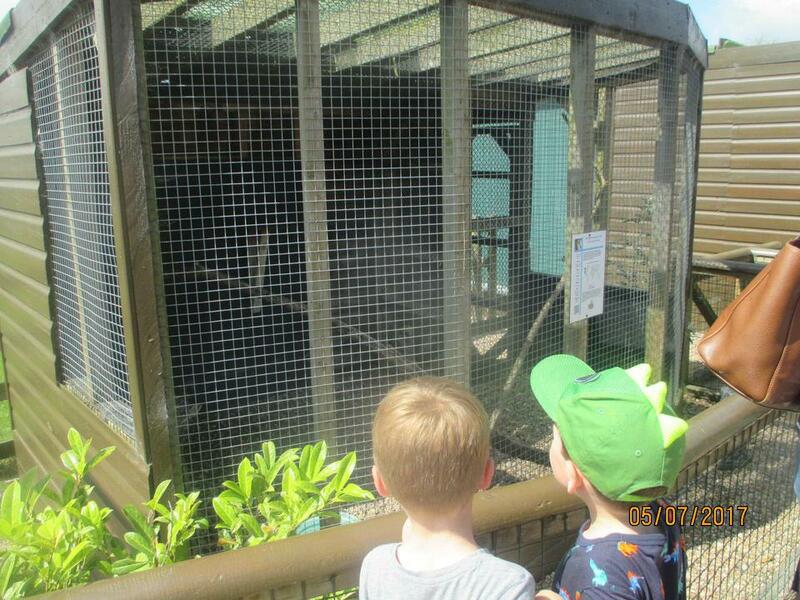 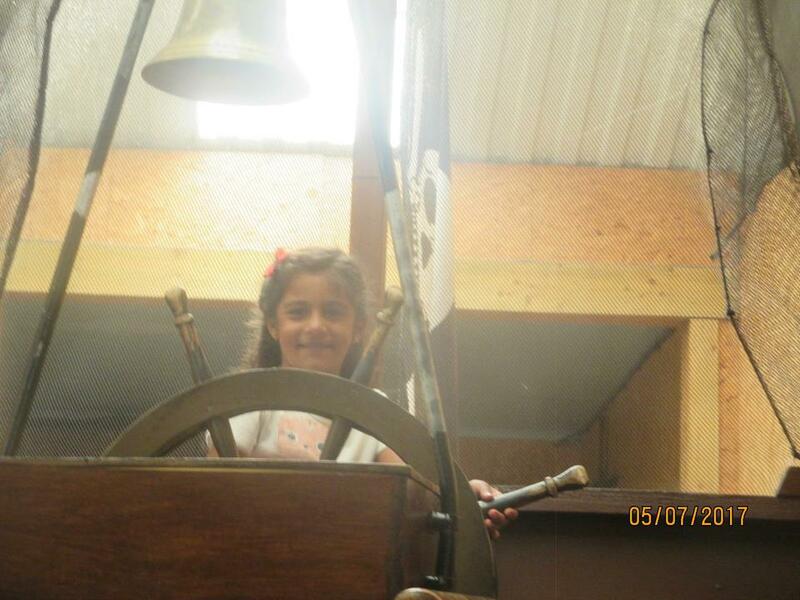 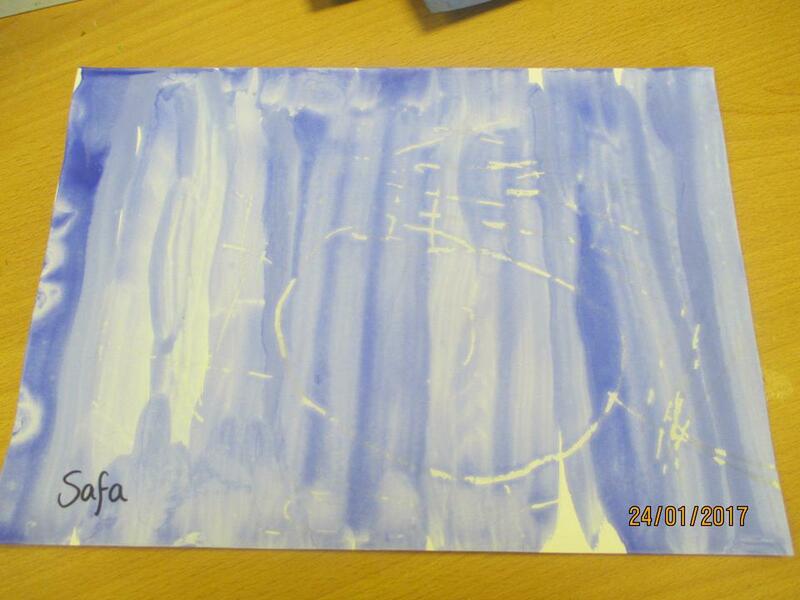 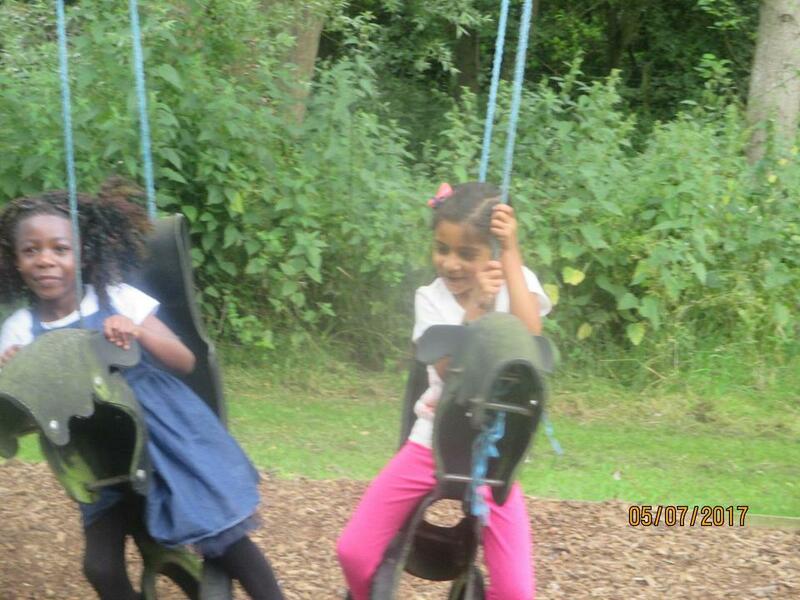 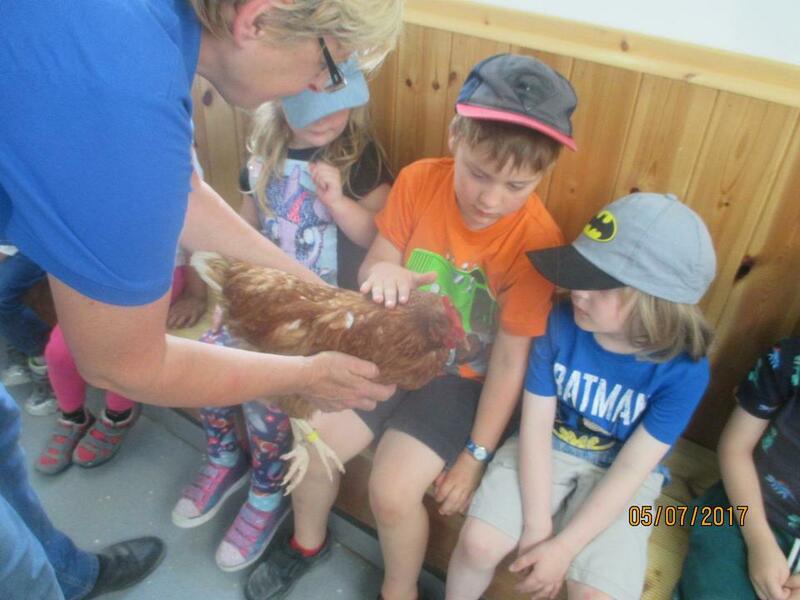 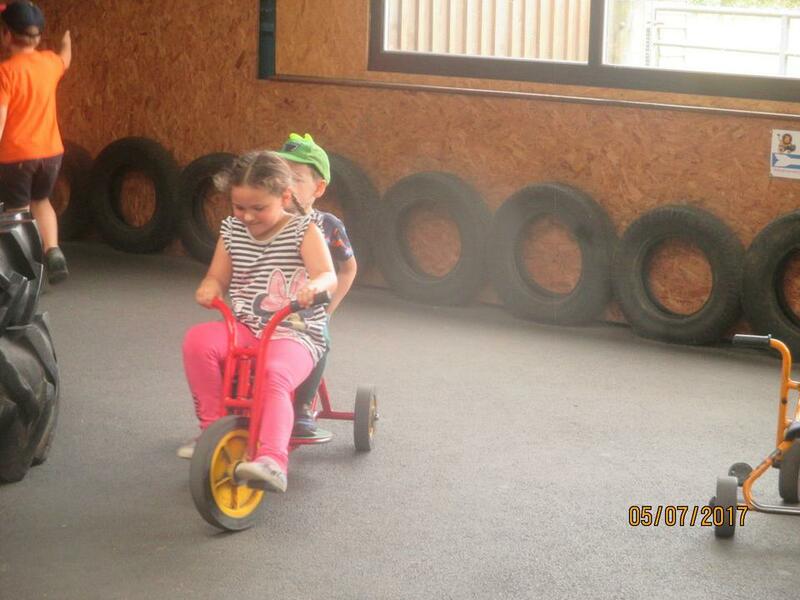 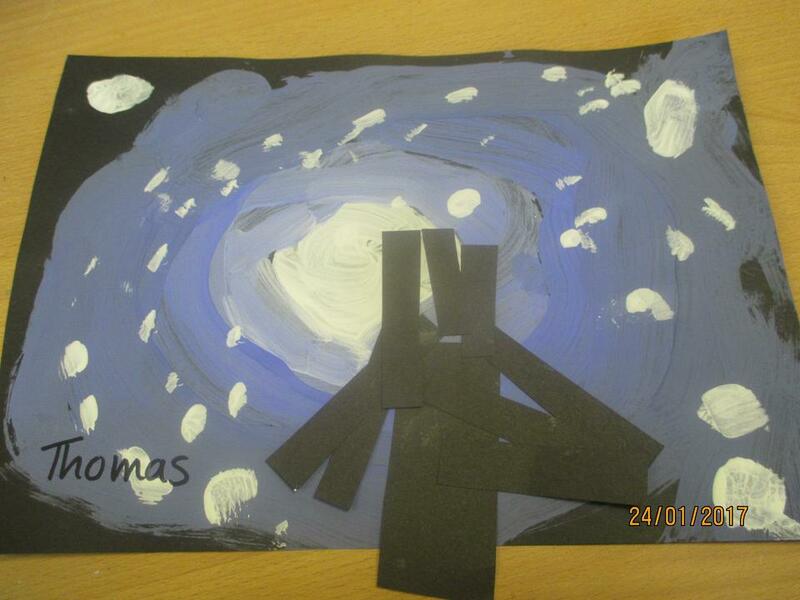 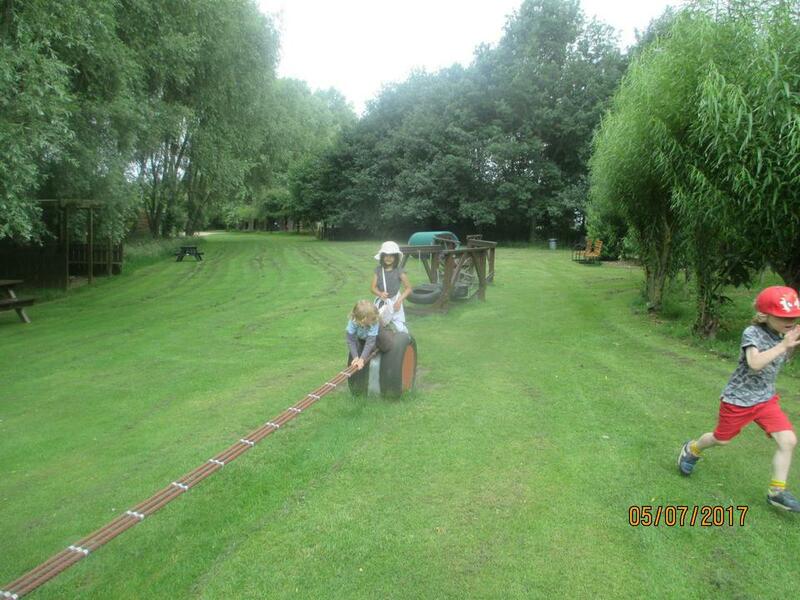 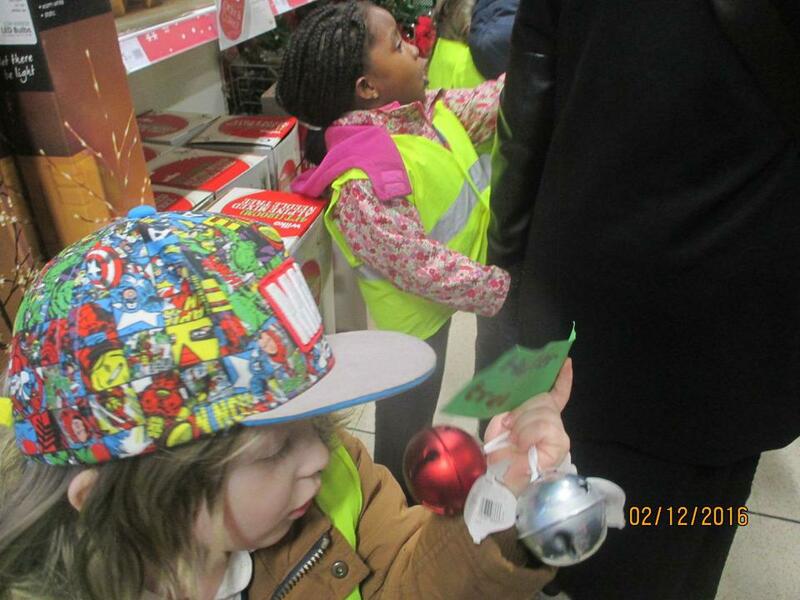 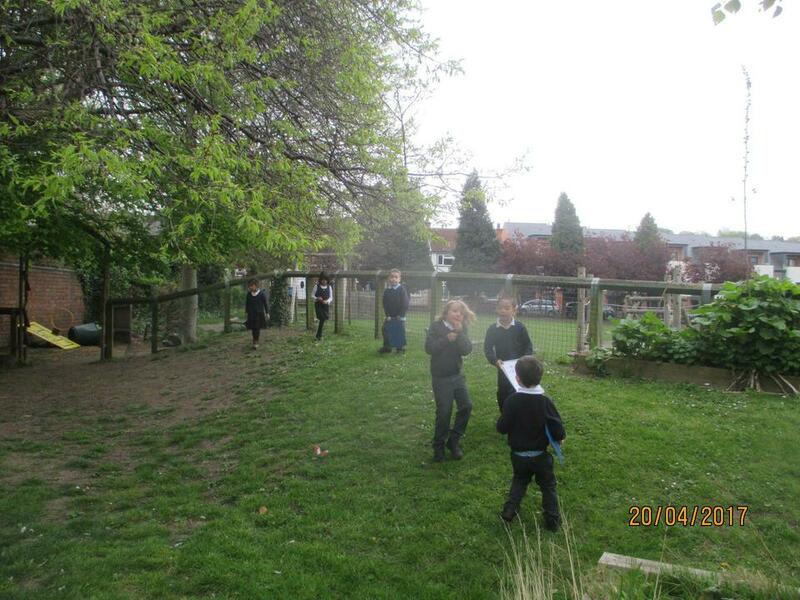 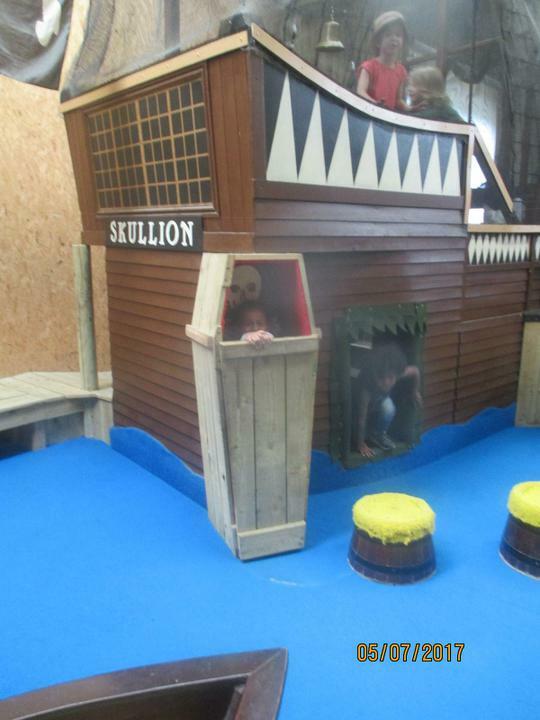 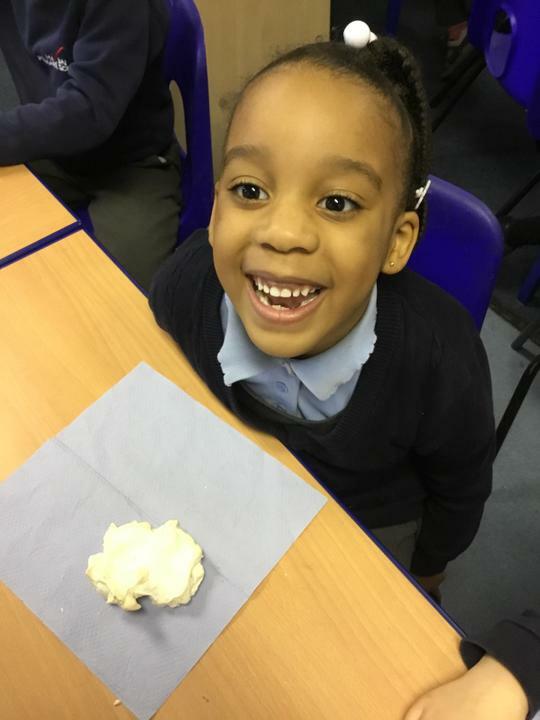 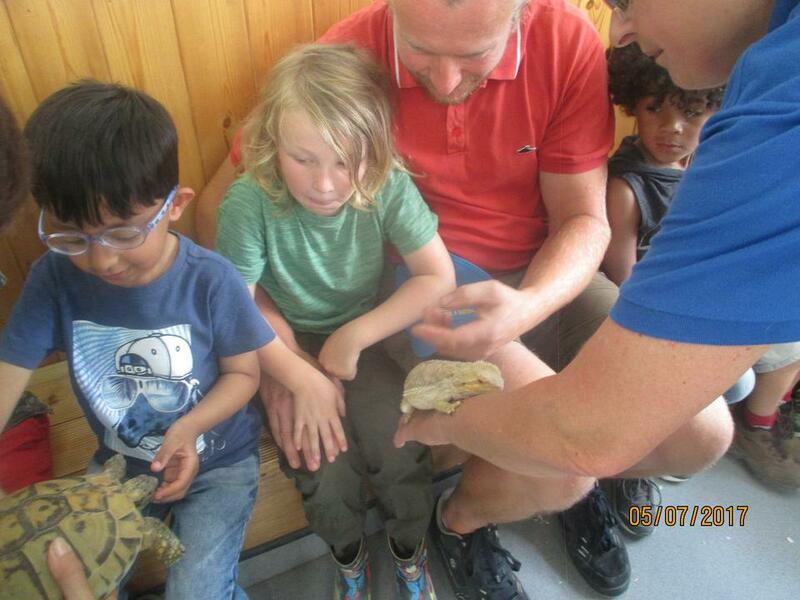 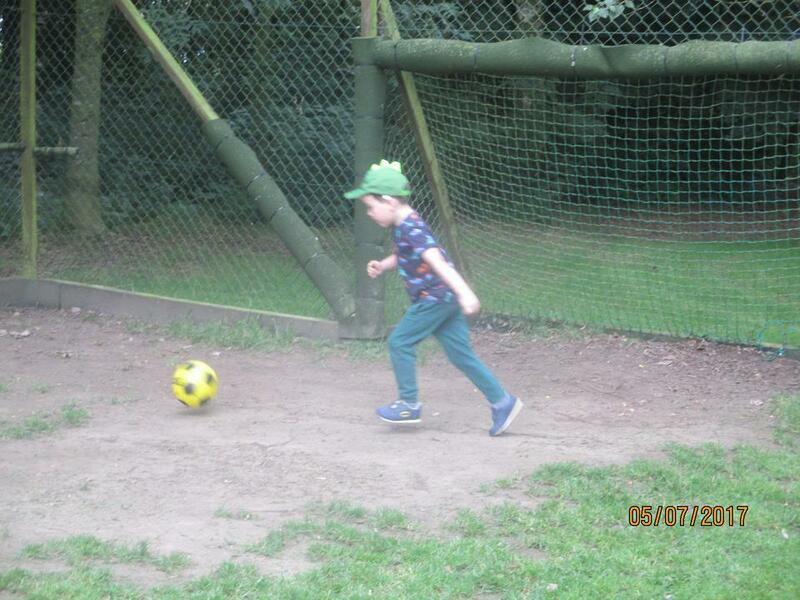 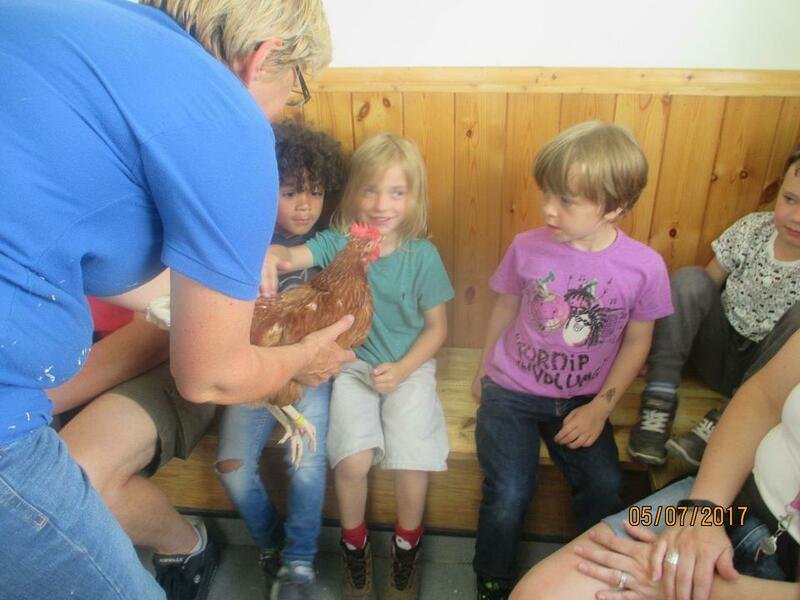 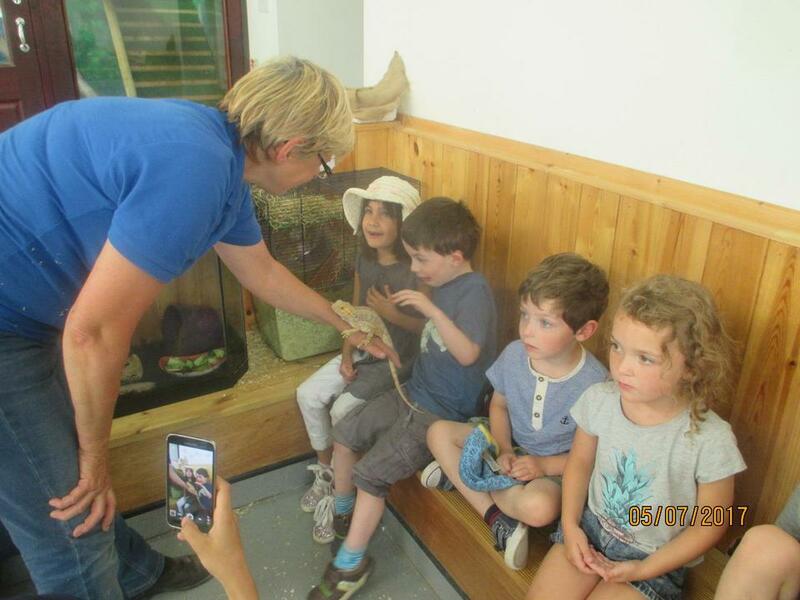 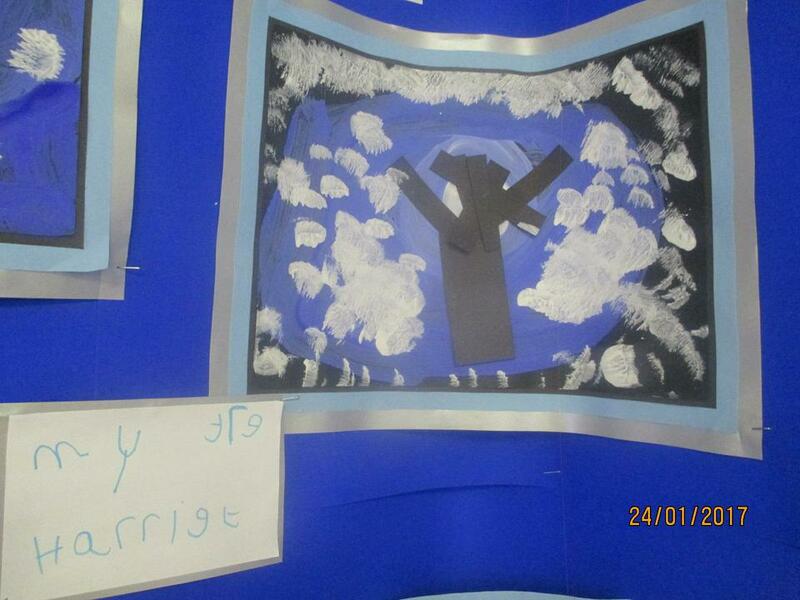 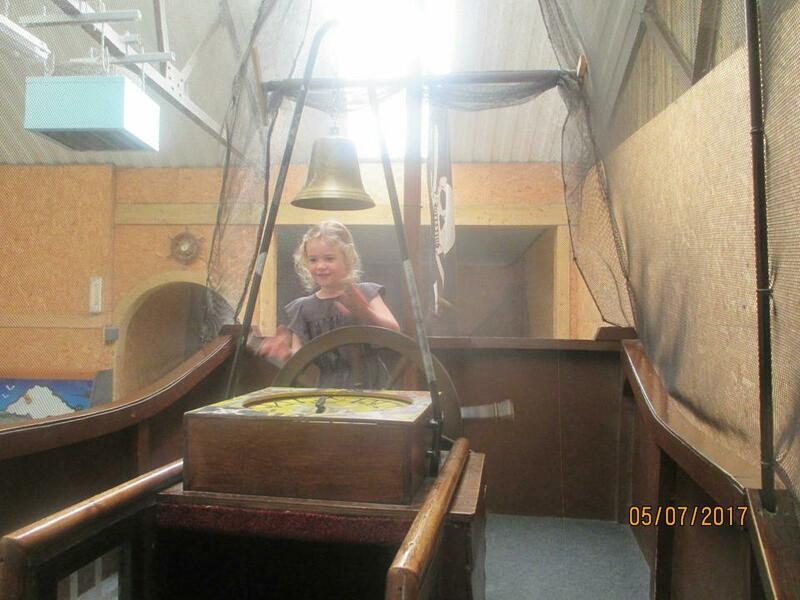 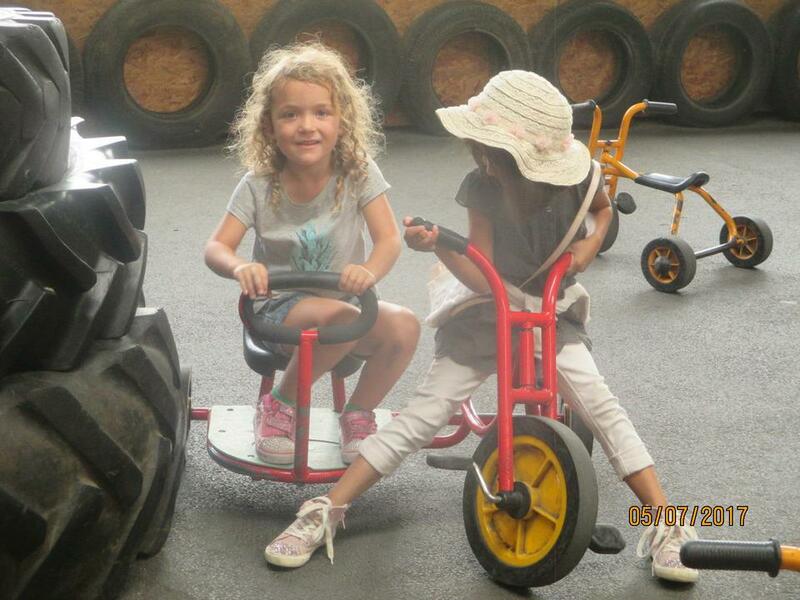 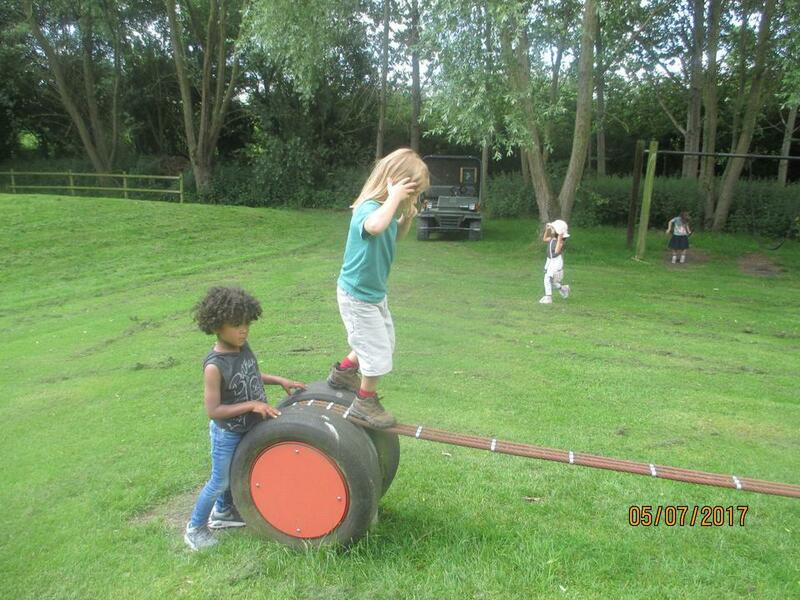 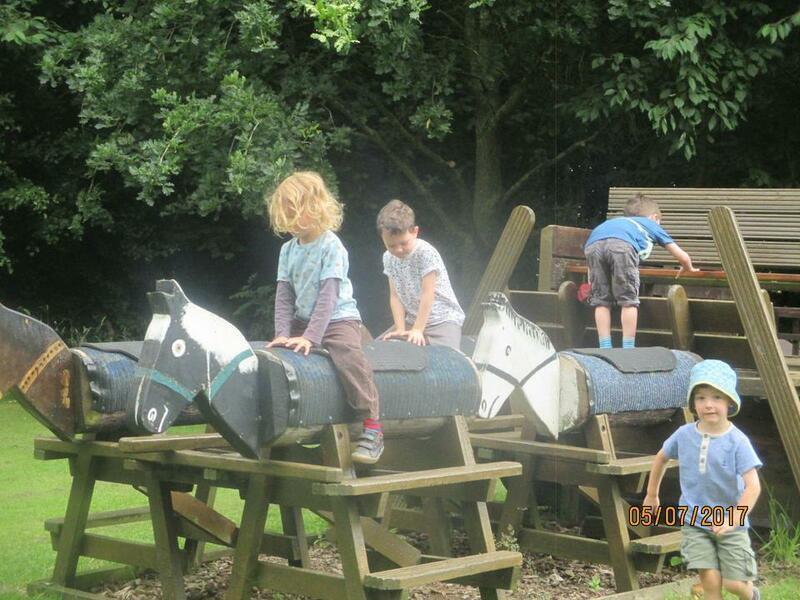 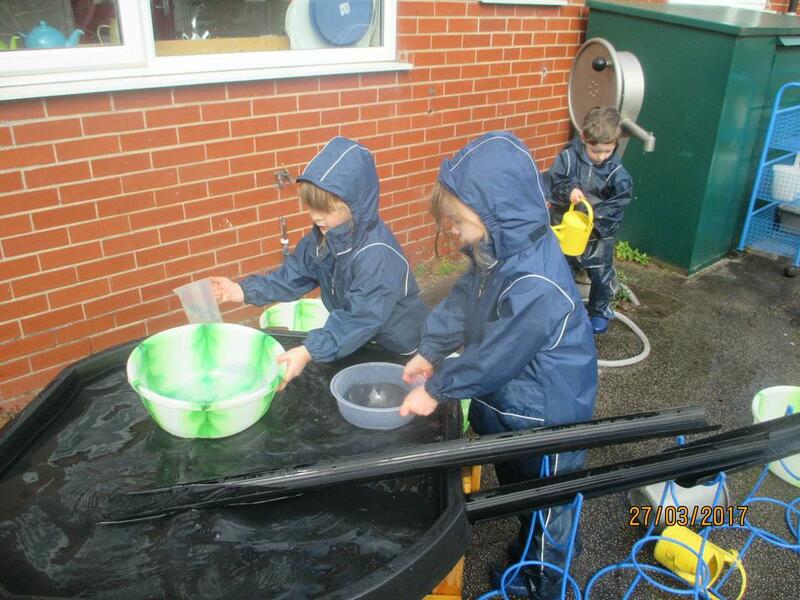 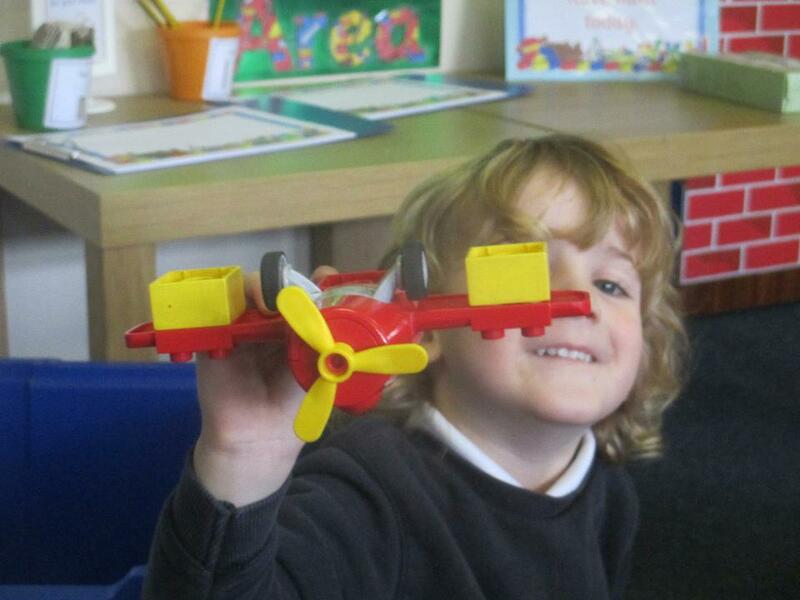 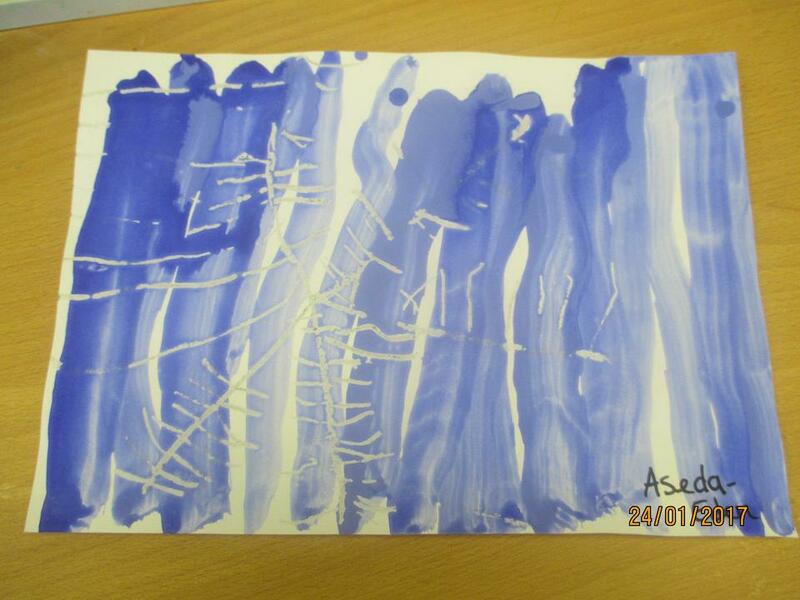 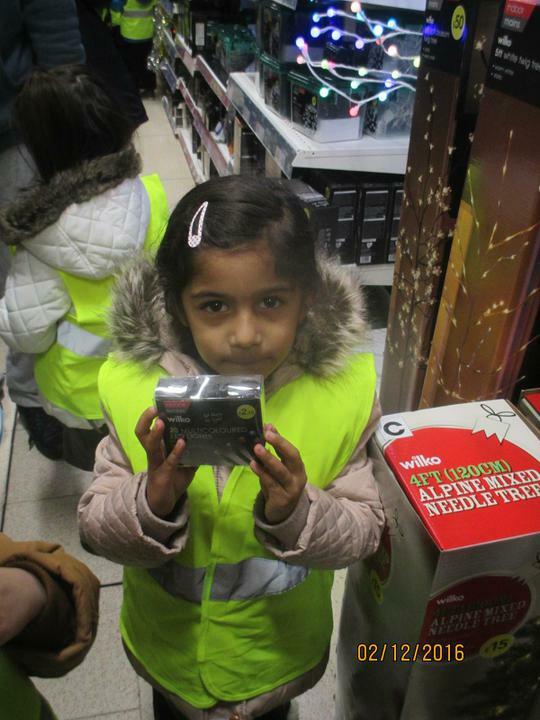 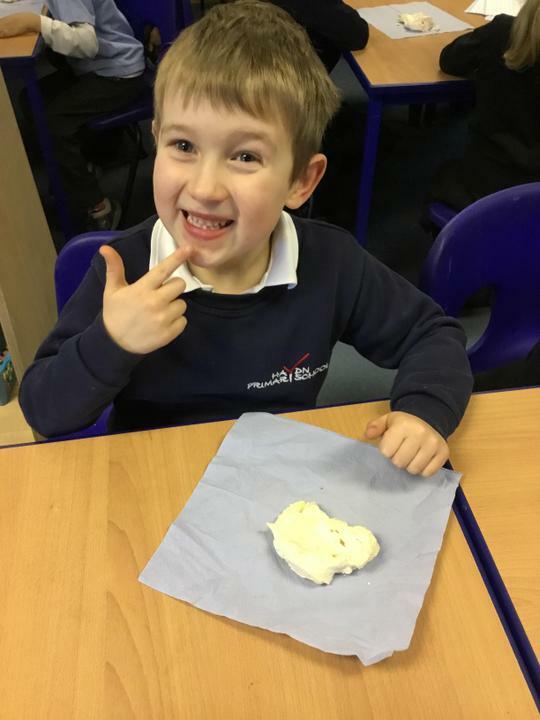 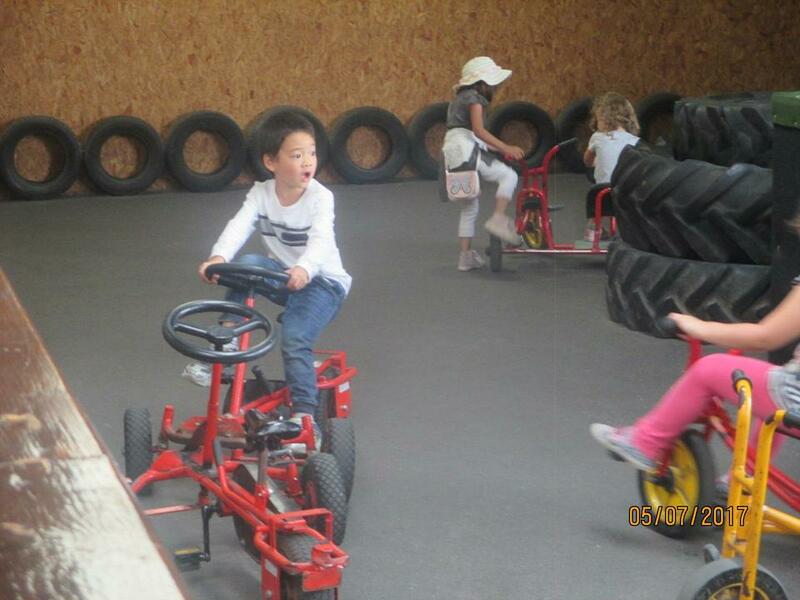 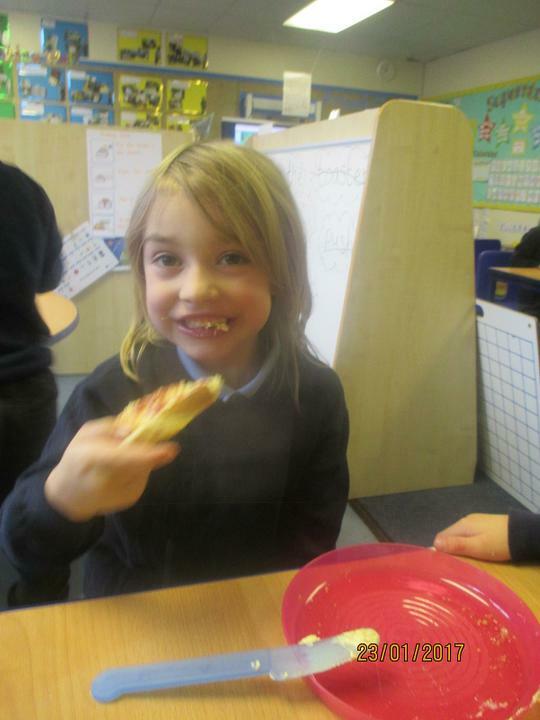 Below are a few photos of some of the activities that we have been doing so far this term. 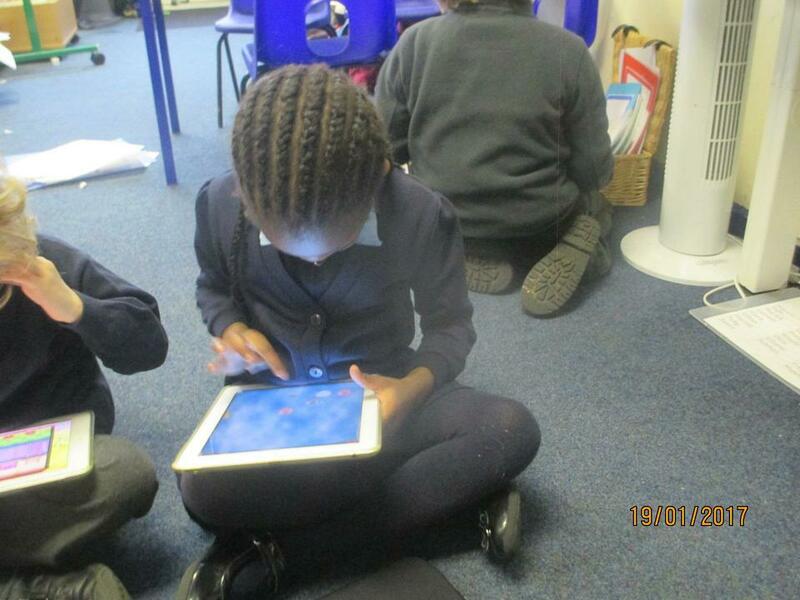 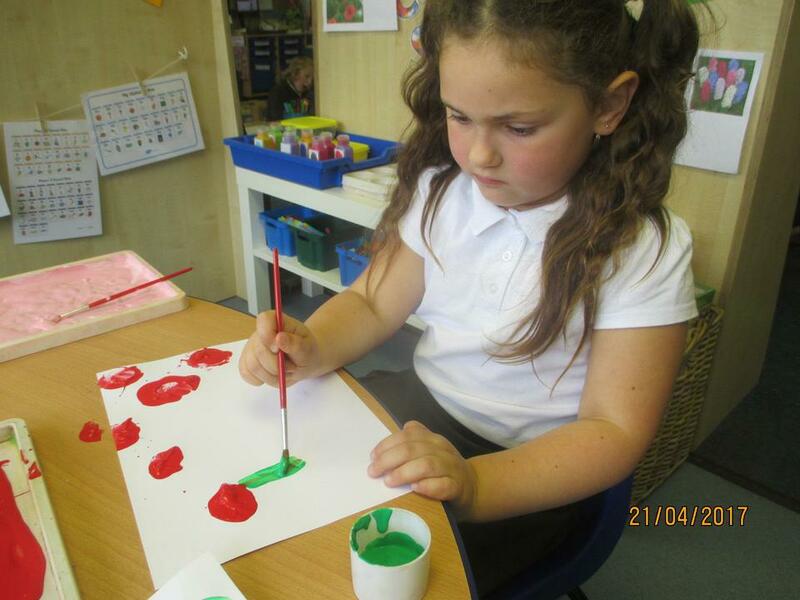 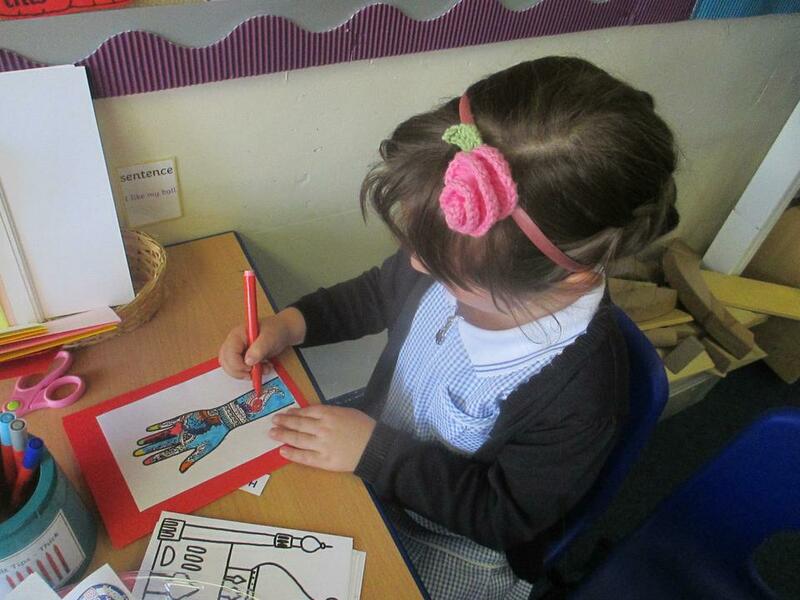 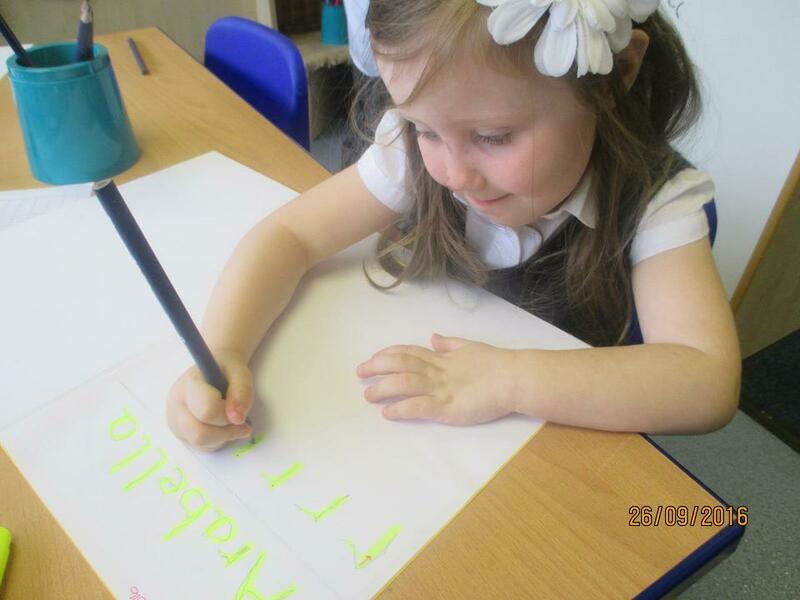 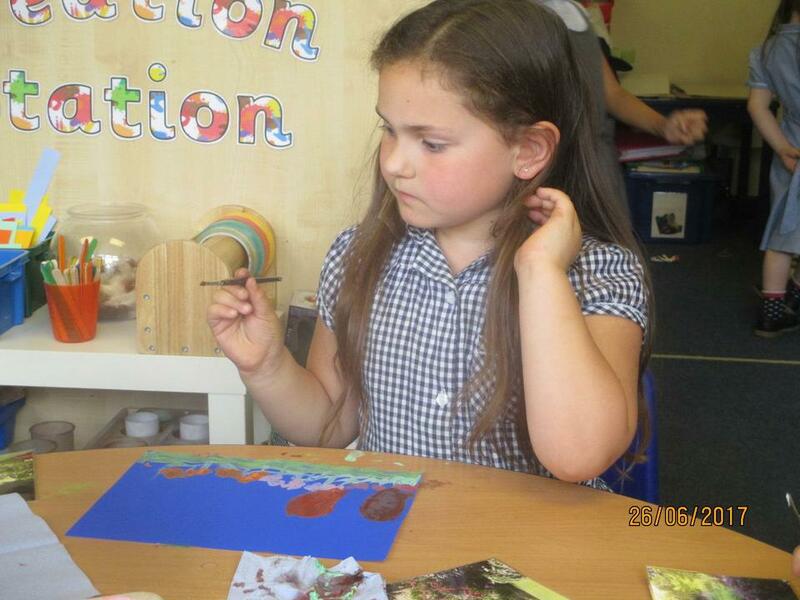 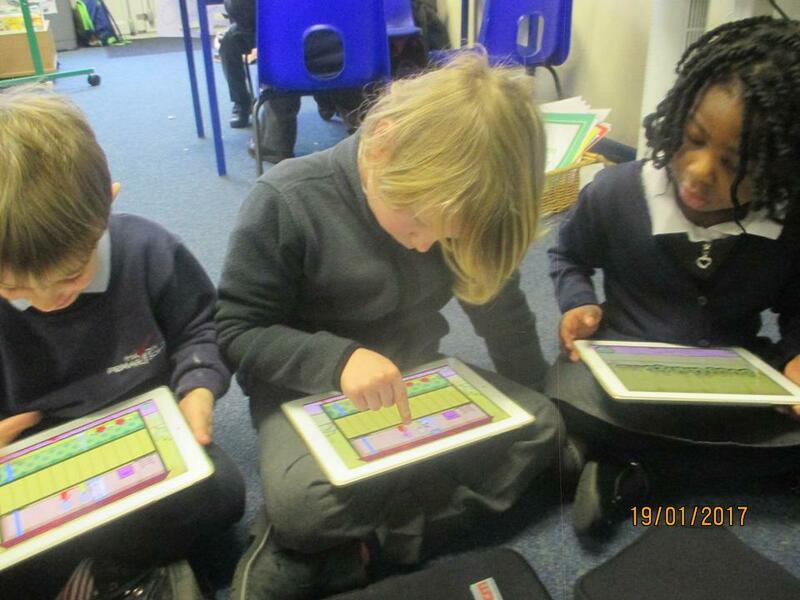 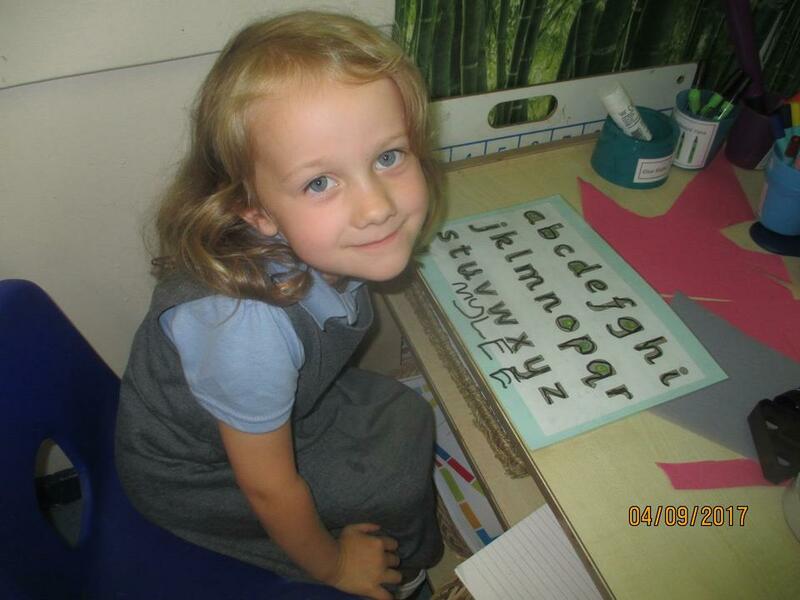 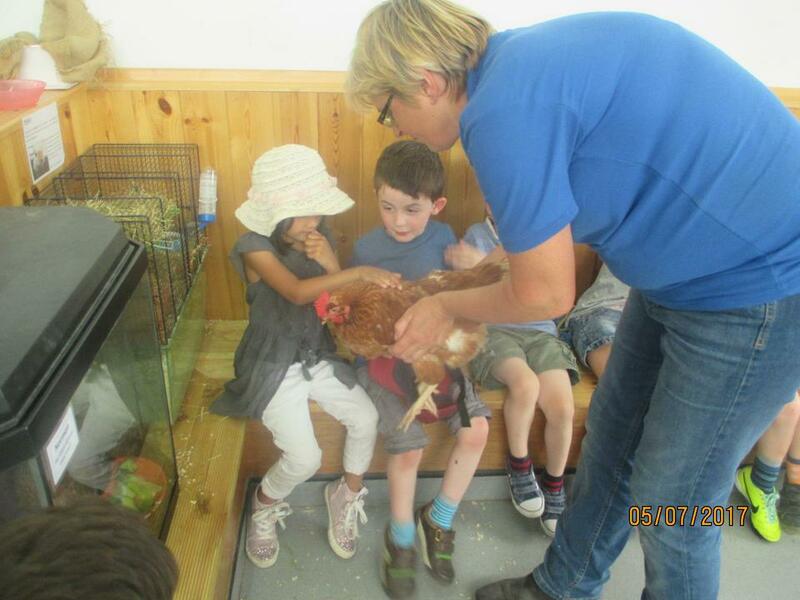 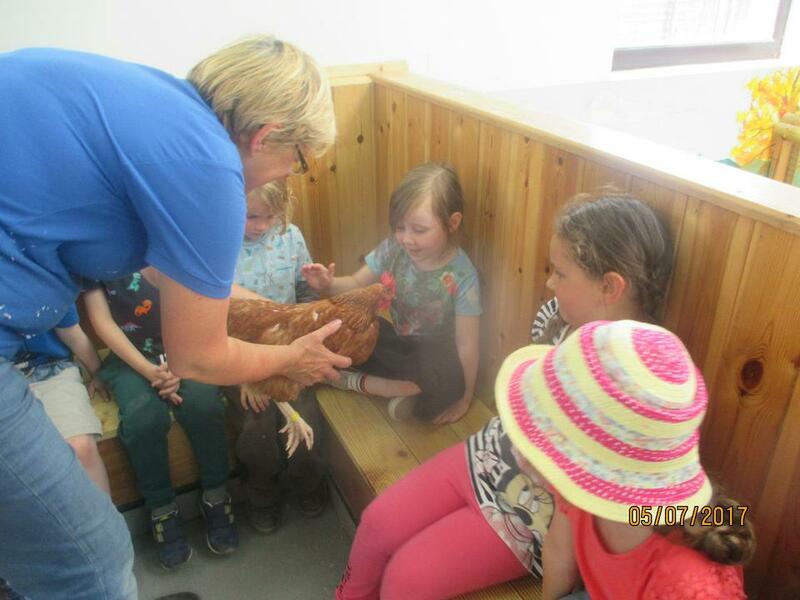 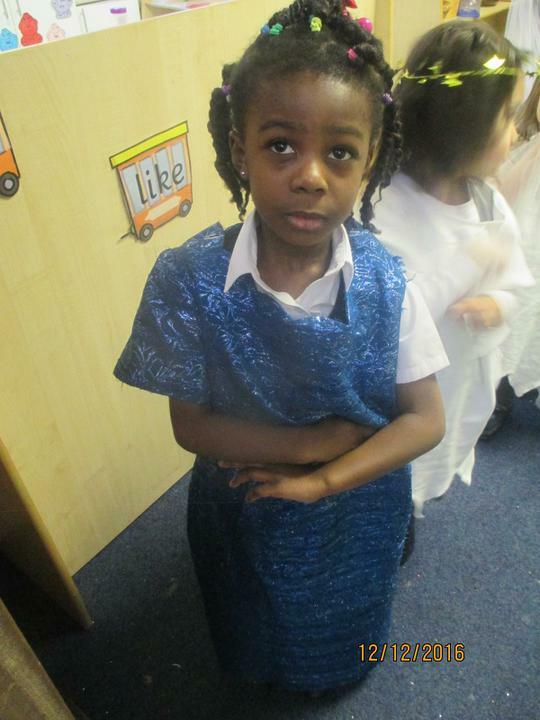 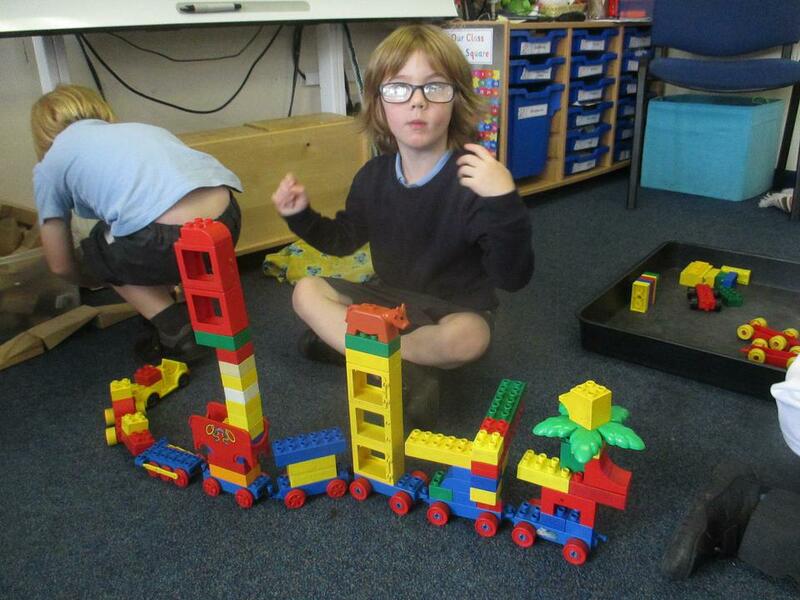 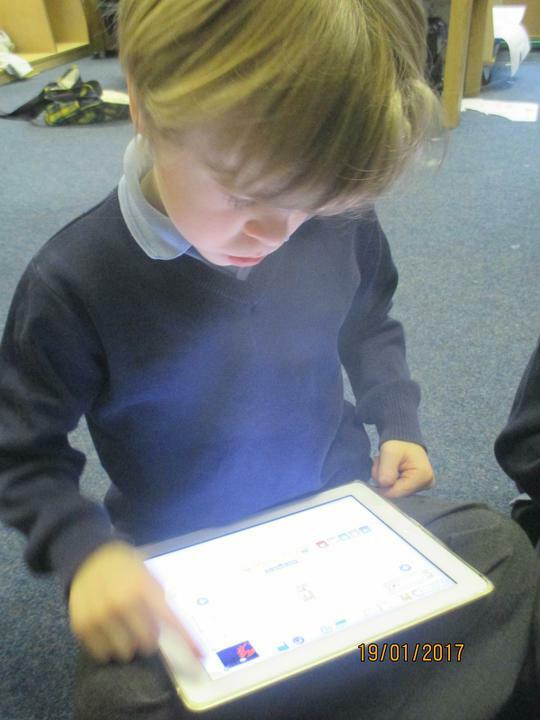 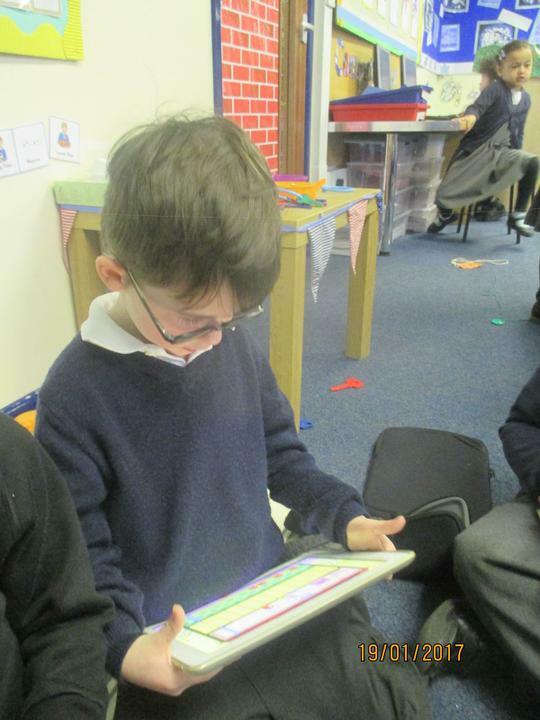 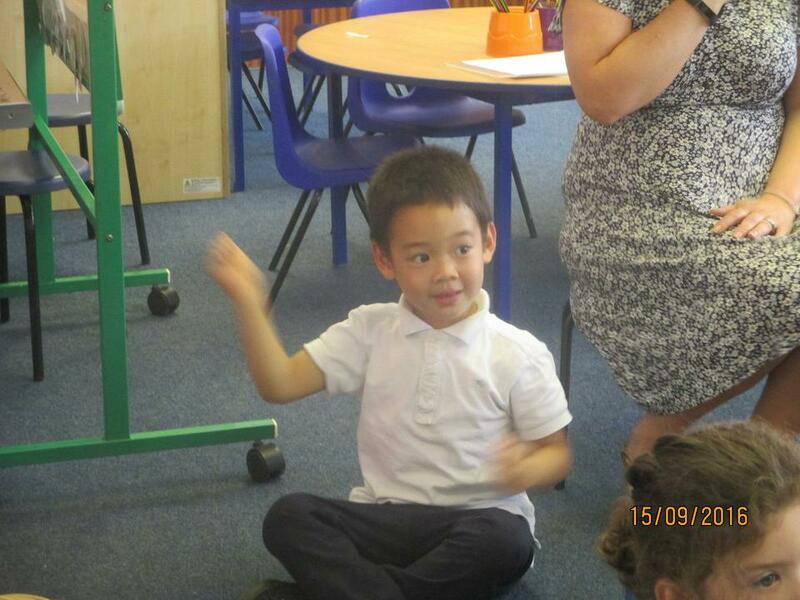 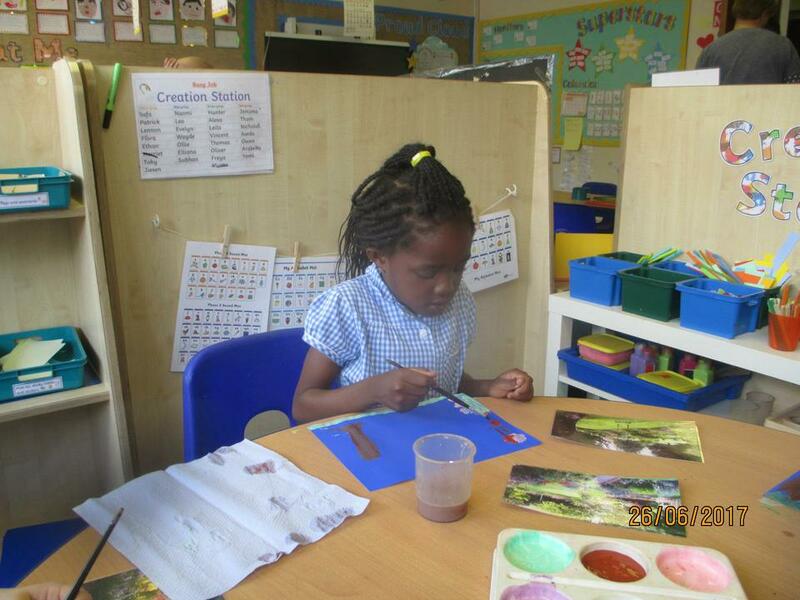 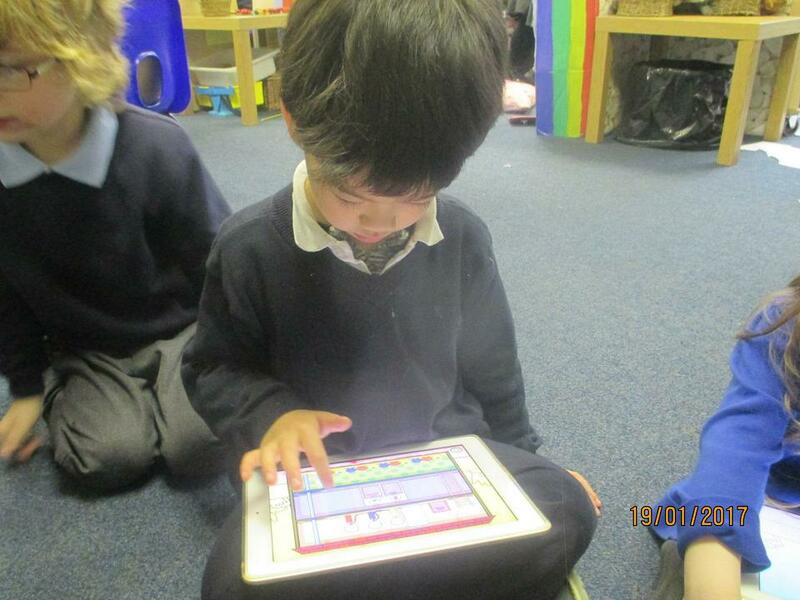 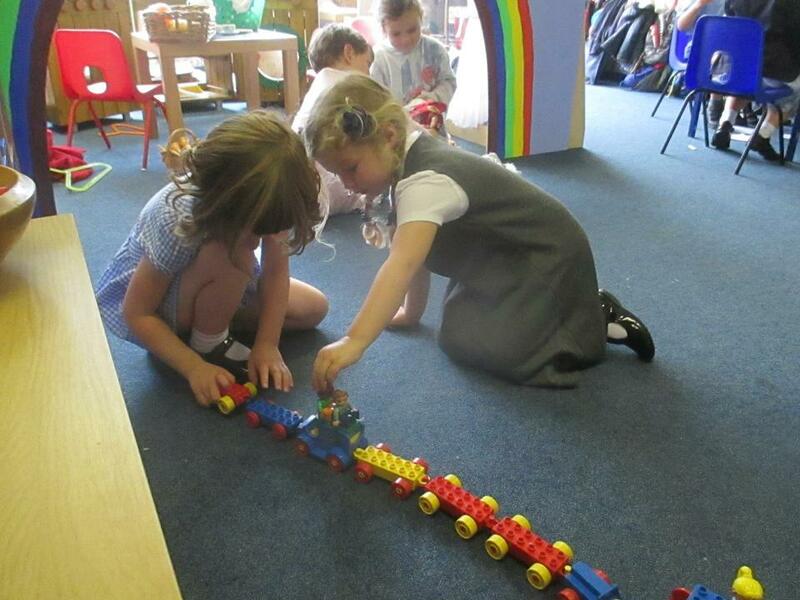 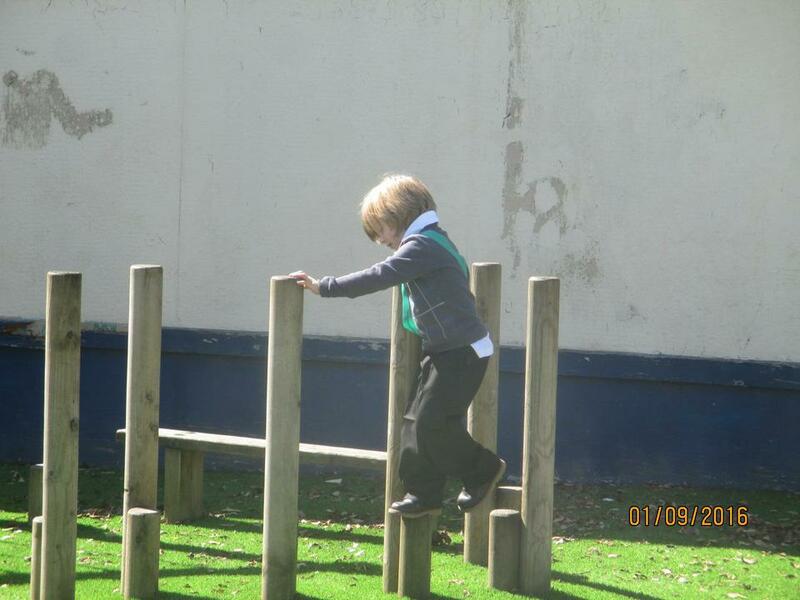 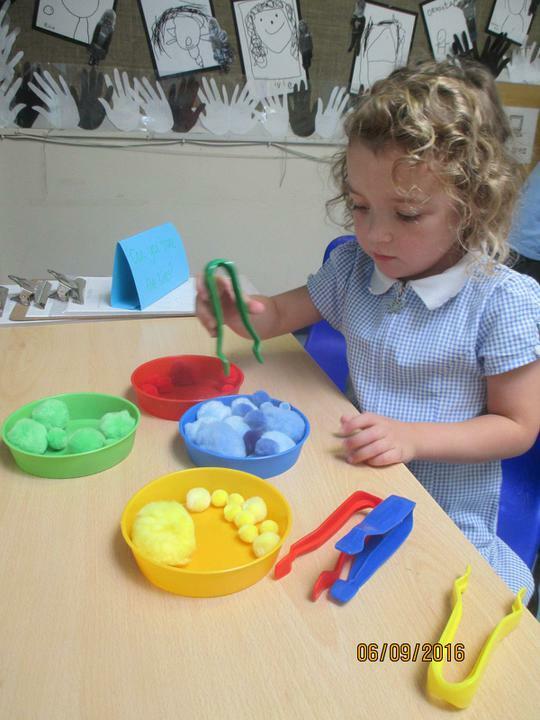 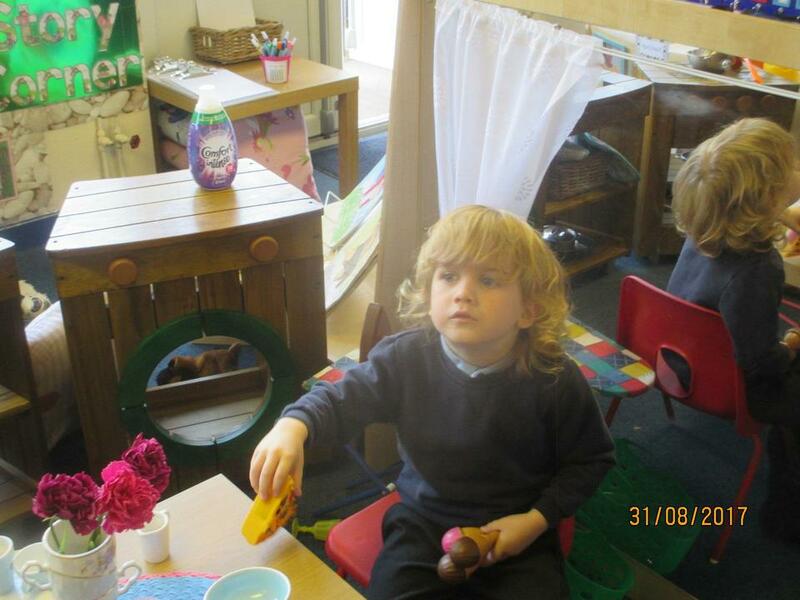 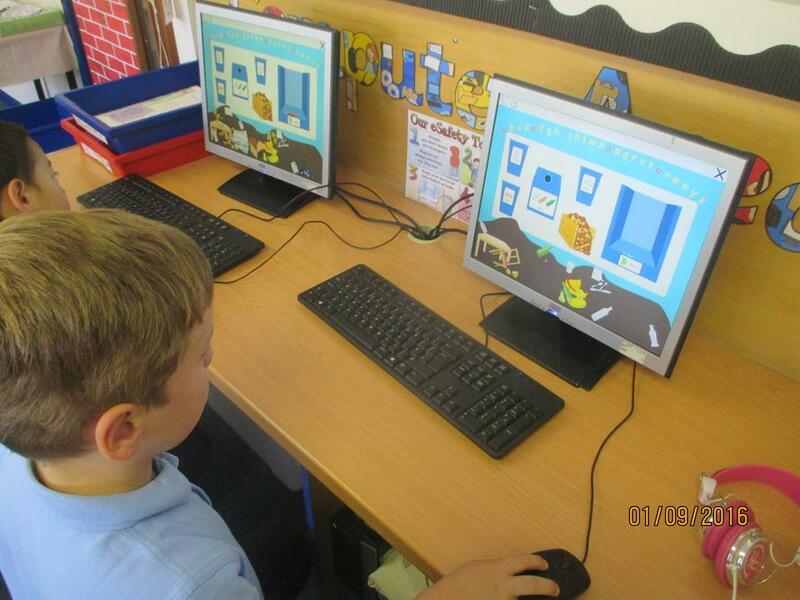 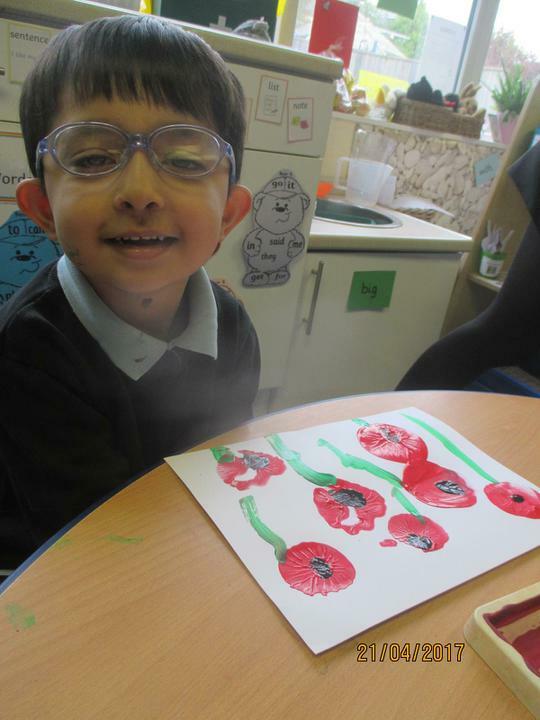 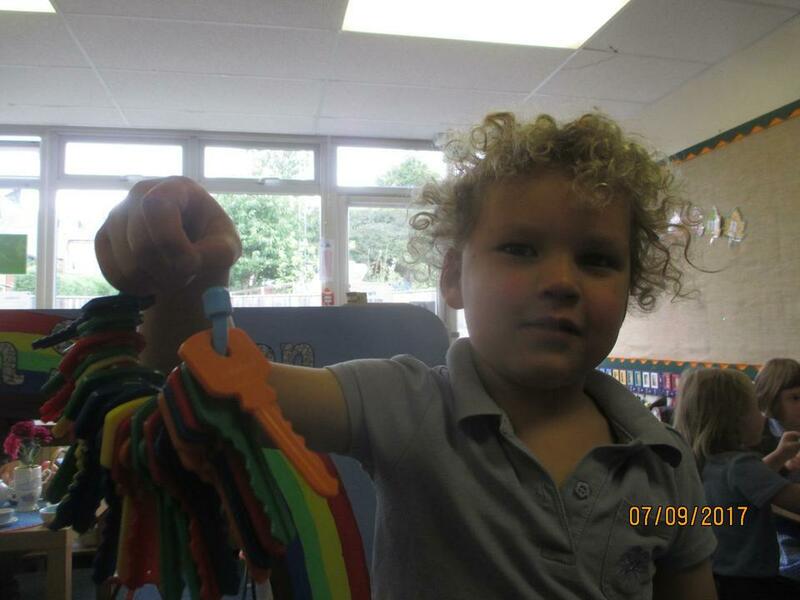 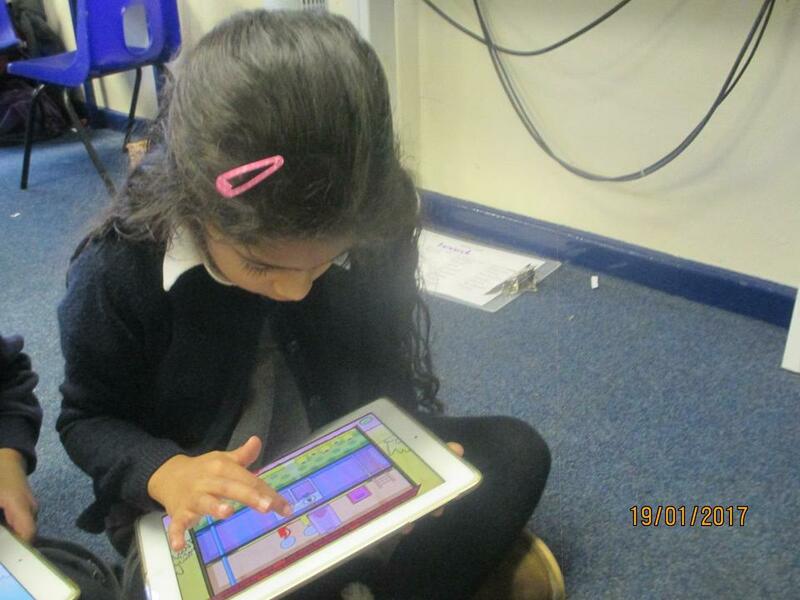 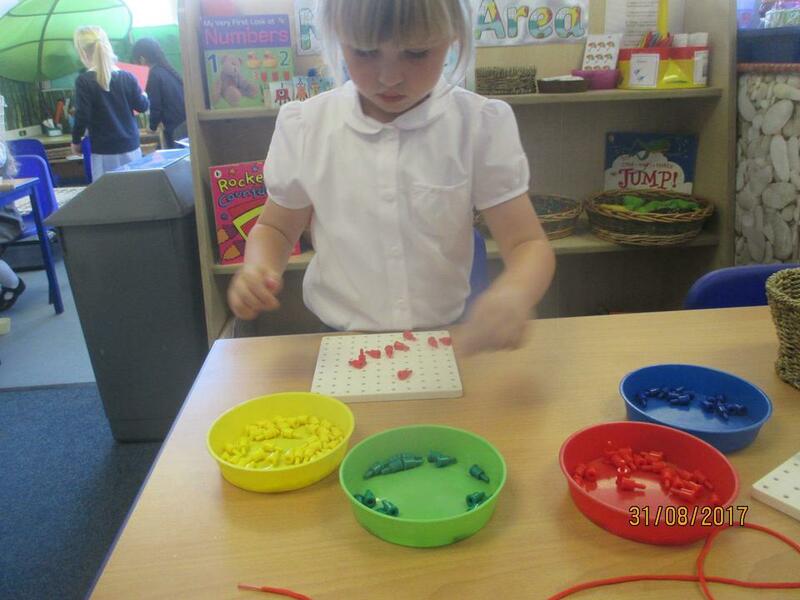 The children have settled back into school really well and they are very enthusiastic about learning. 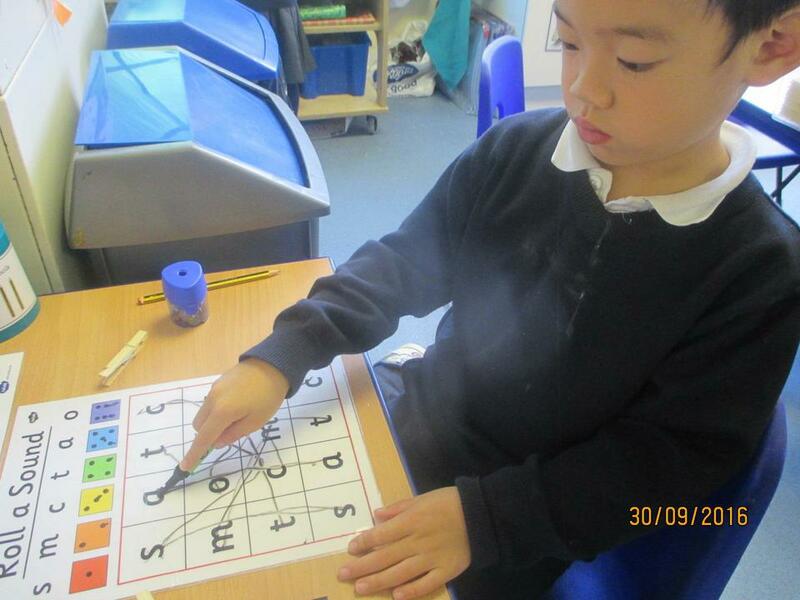 The children have been working hard as a class to try and reach number 75 on their treat square. 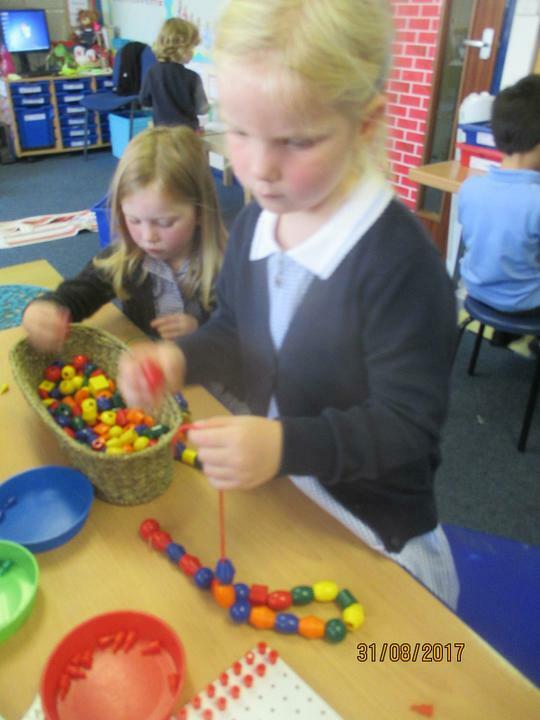 We are currently on number 70 so very soon they will be receiving their next treat. 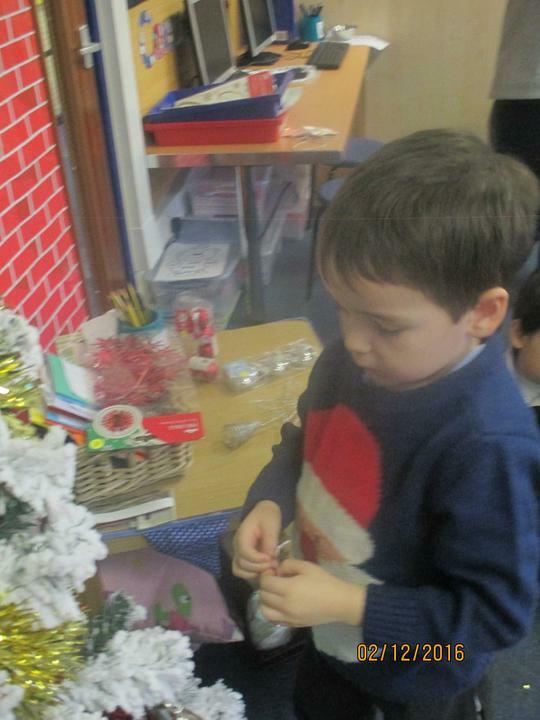 I wonder what it will be! 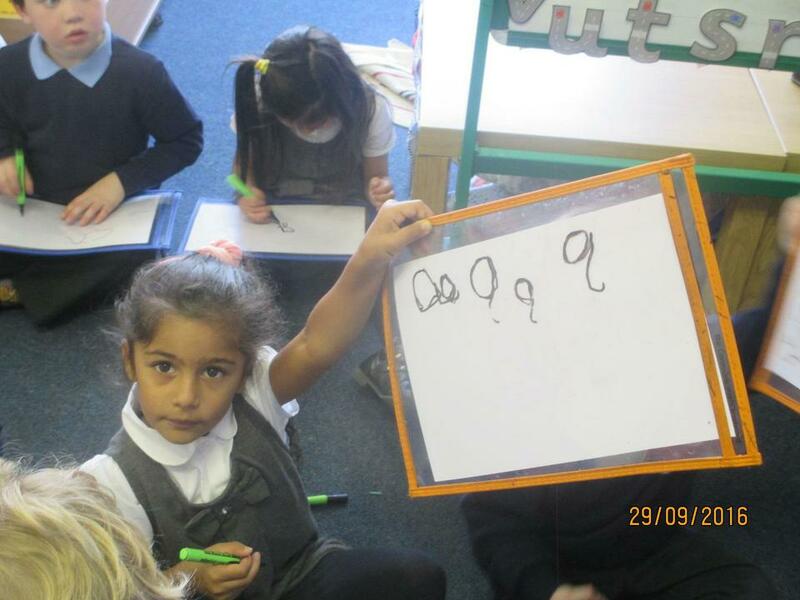 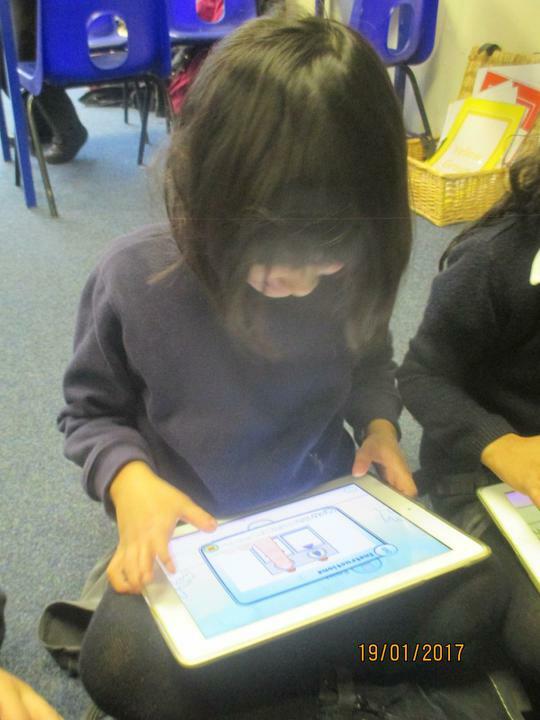 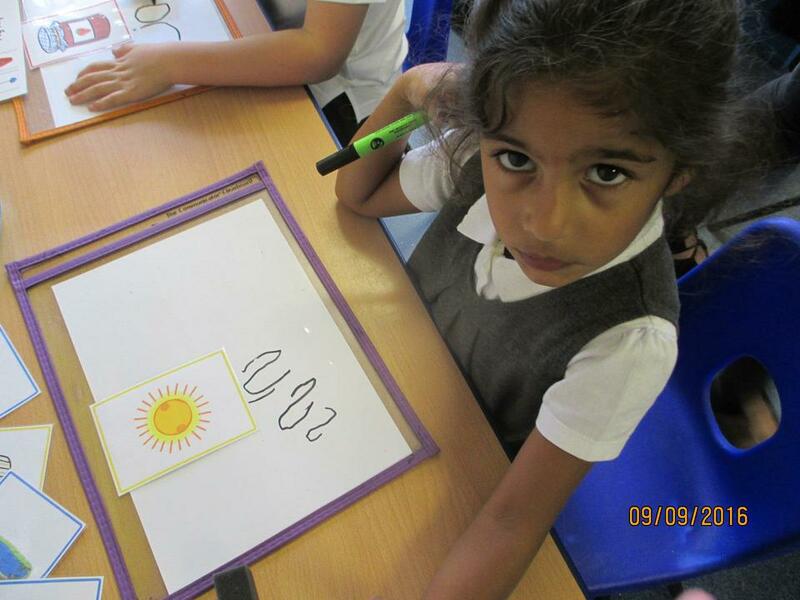 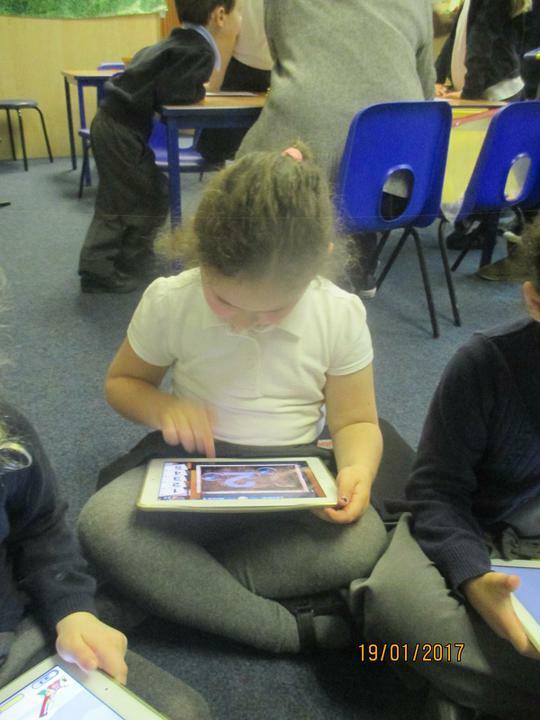 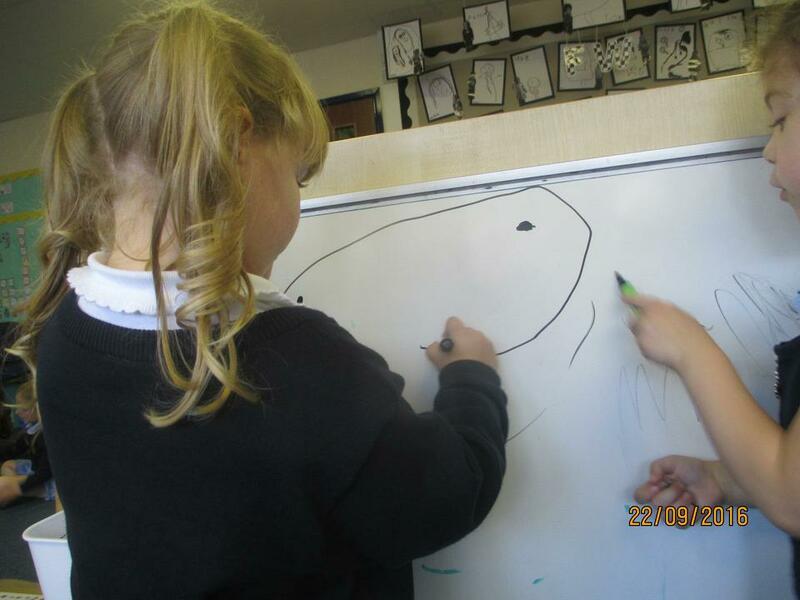 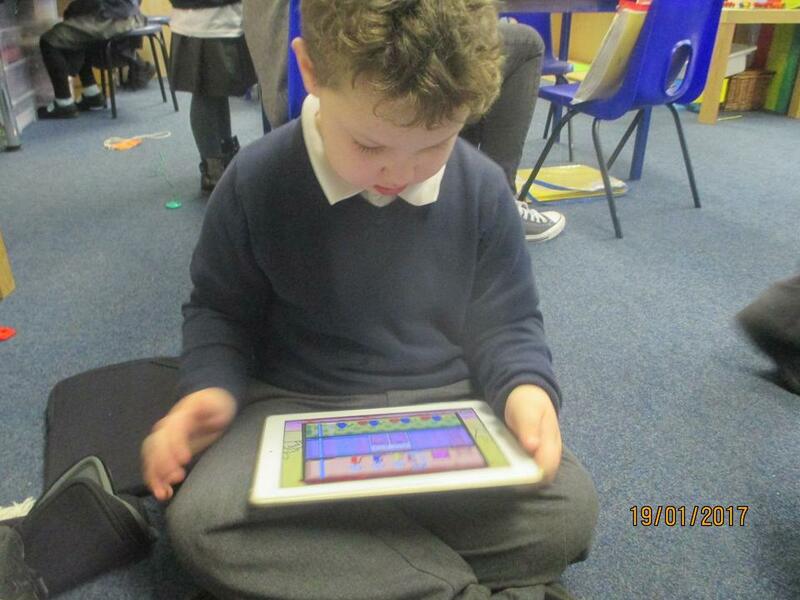 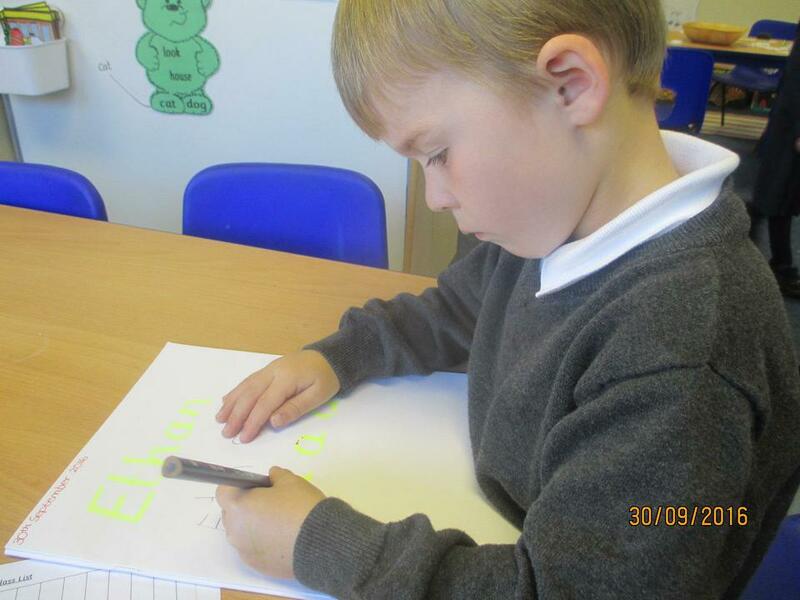 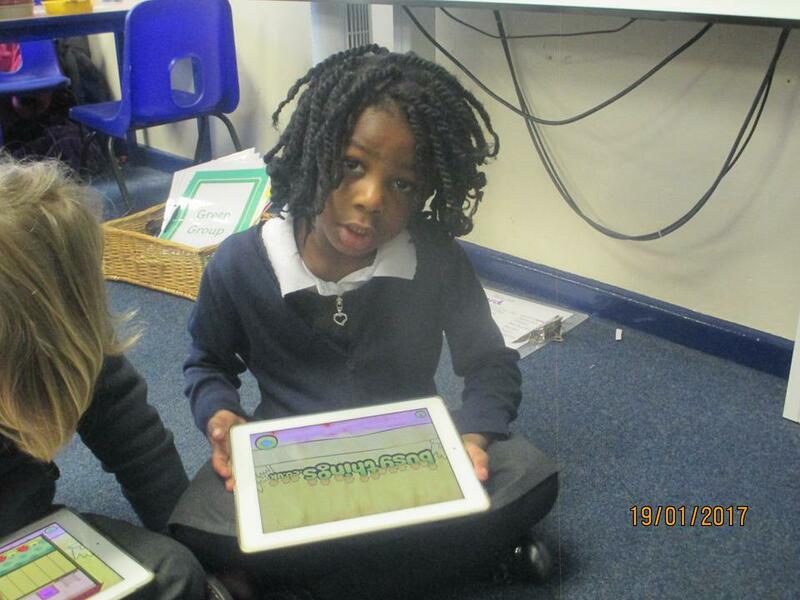 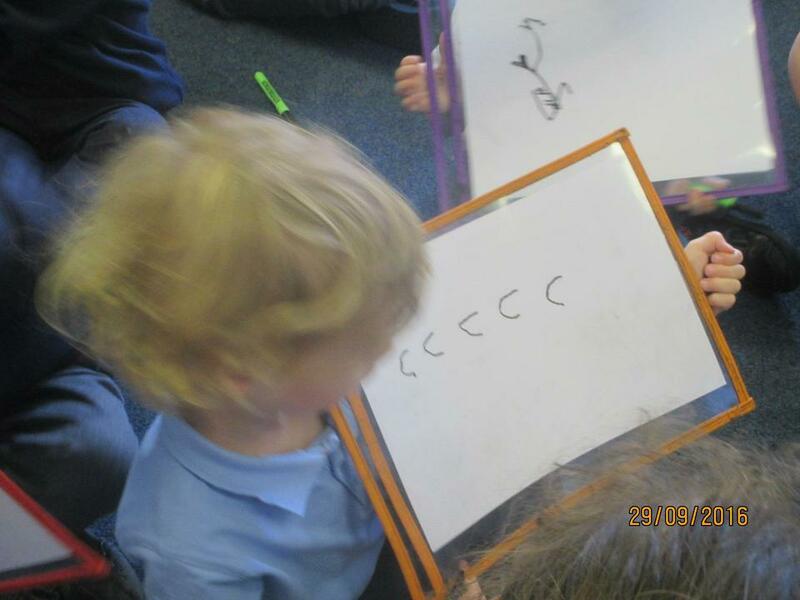 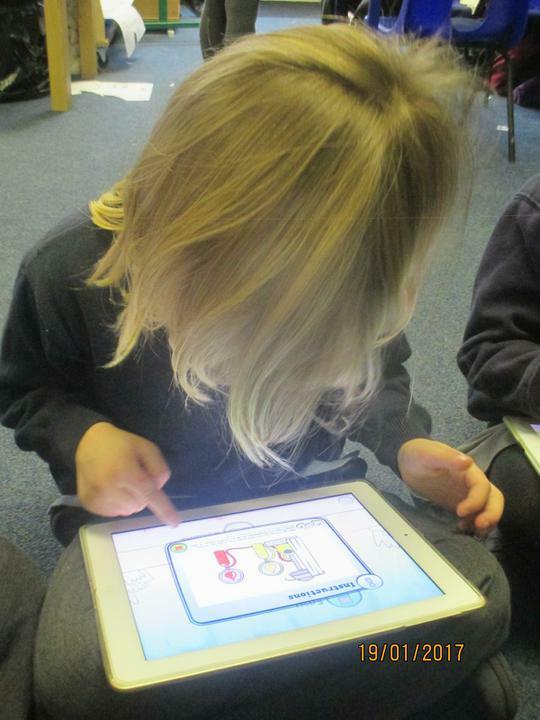 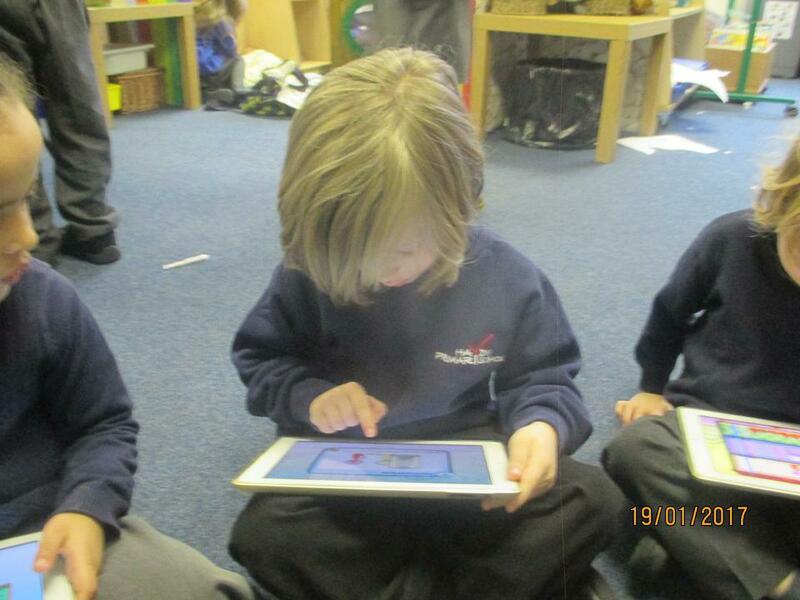 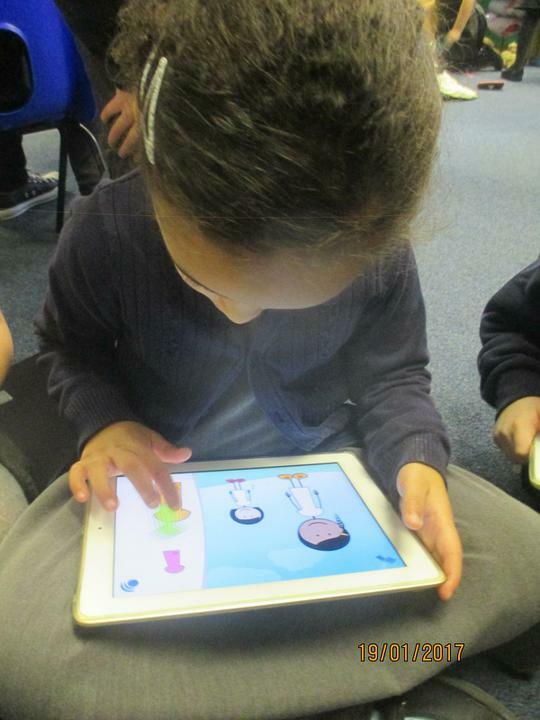 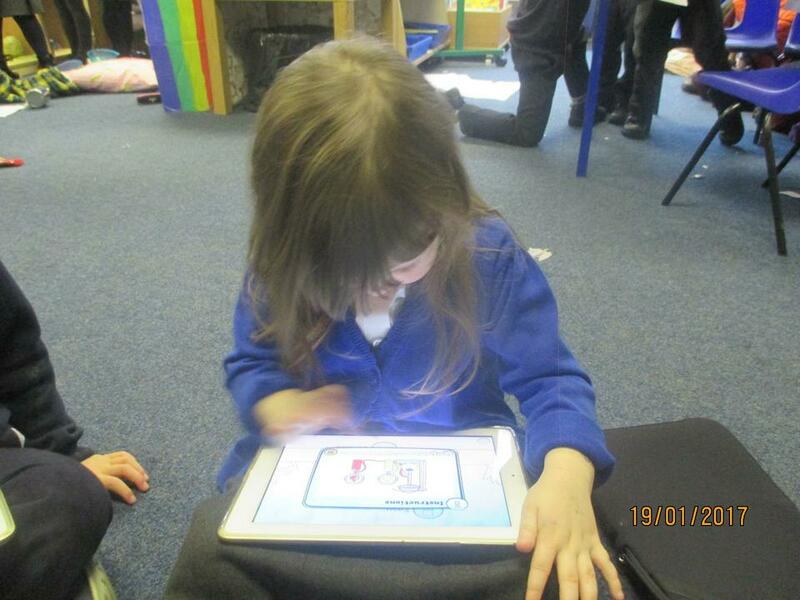 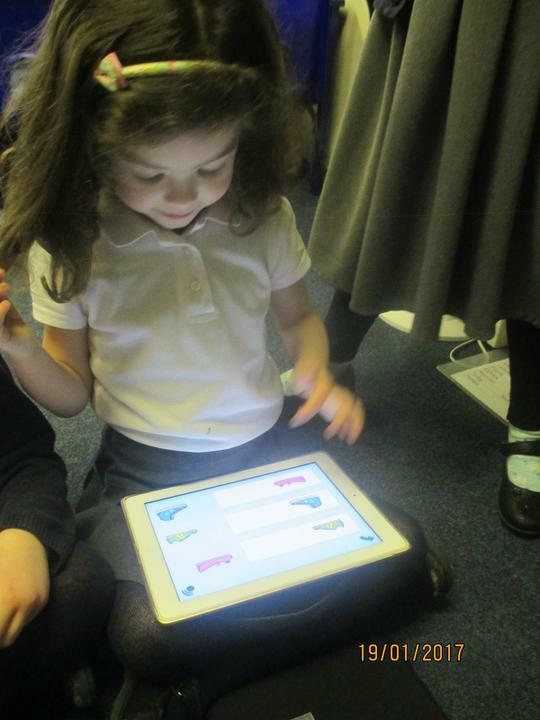 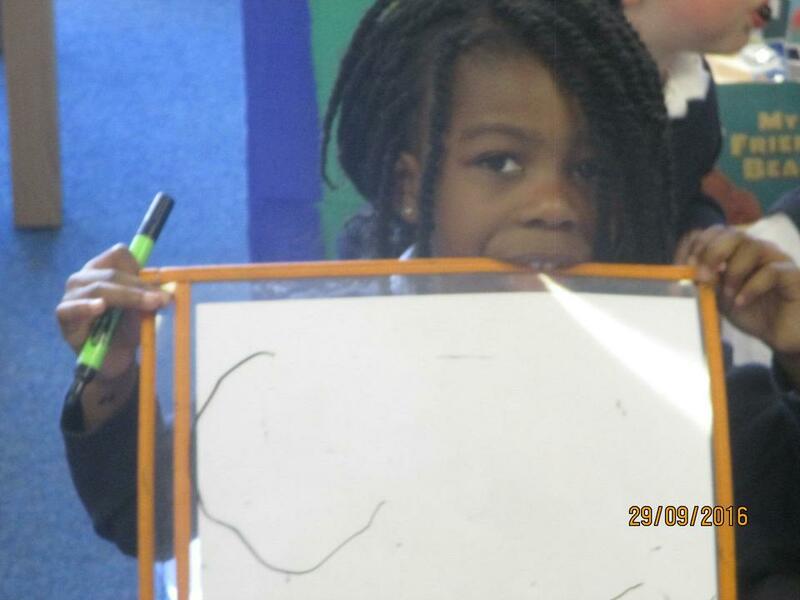 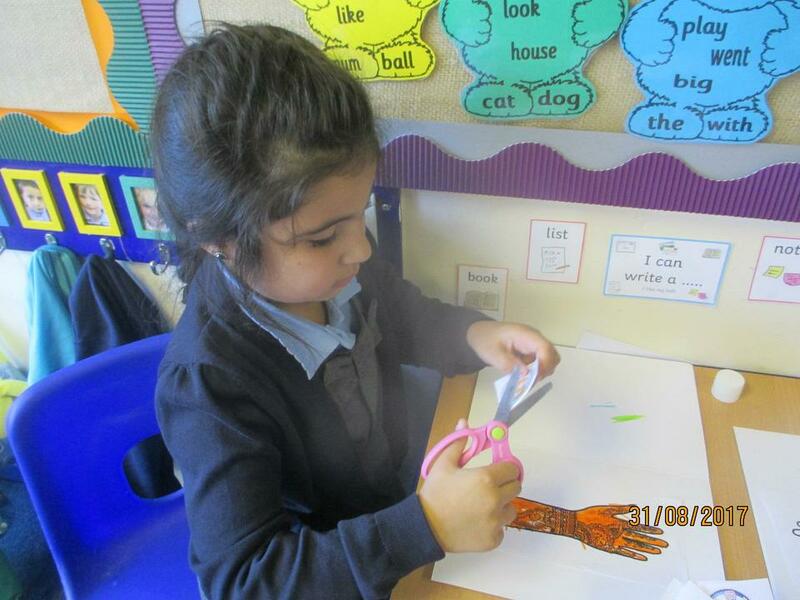 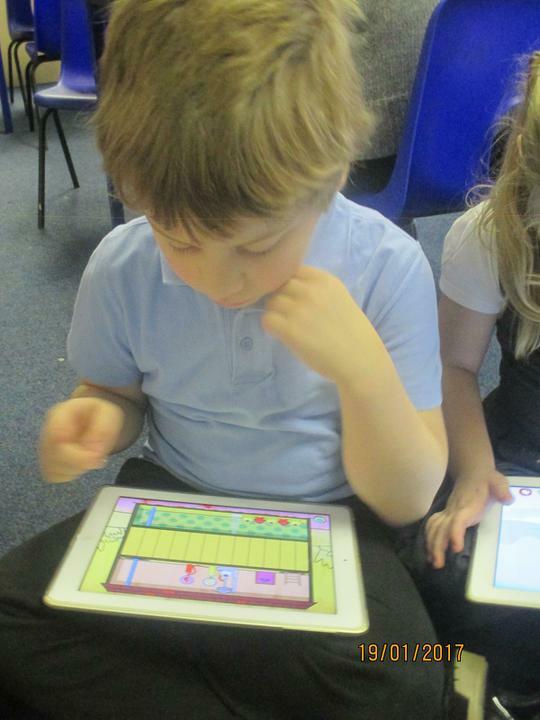 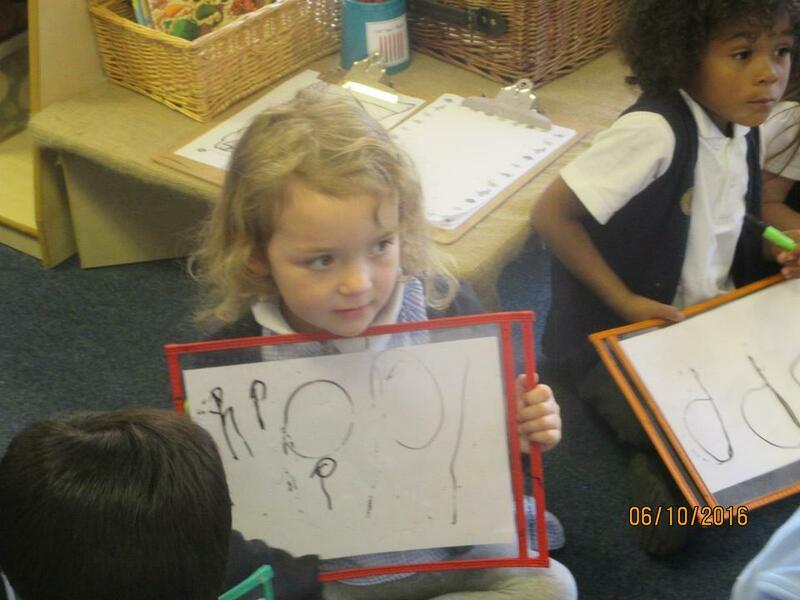 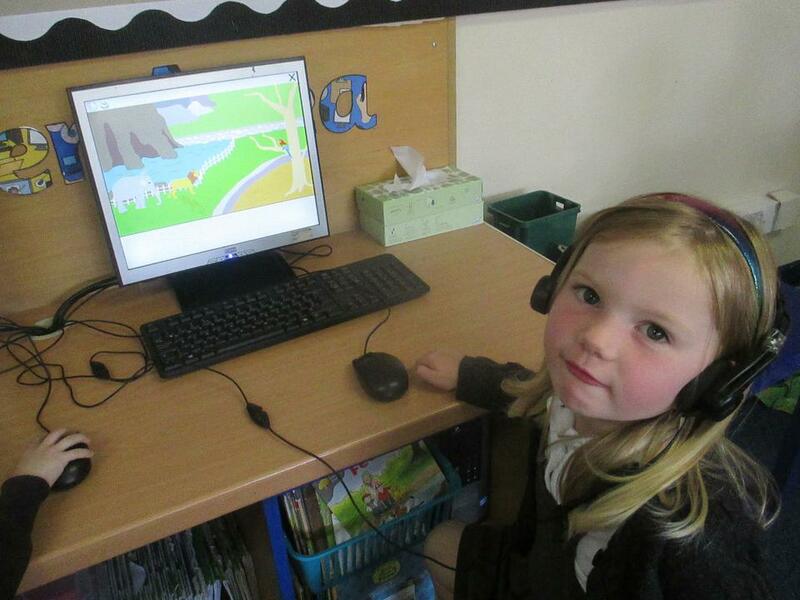 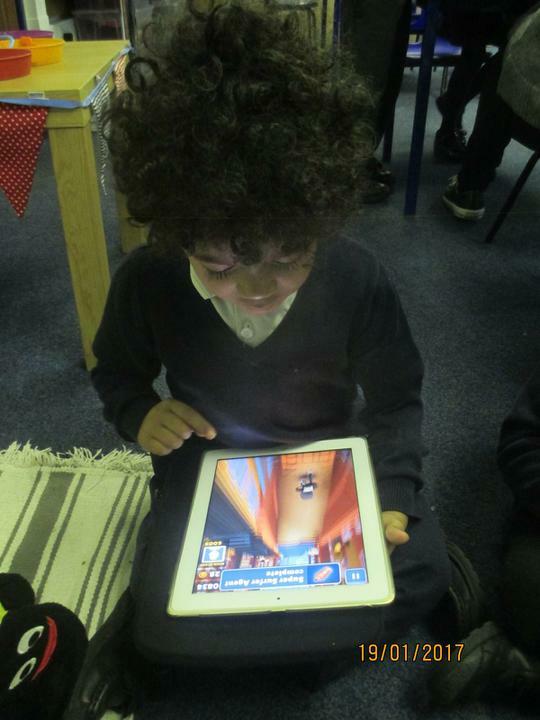 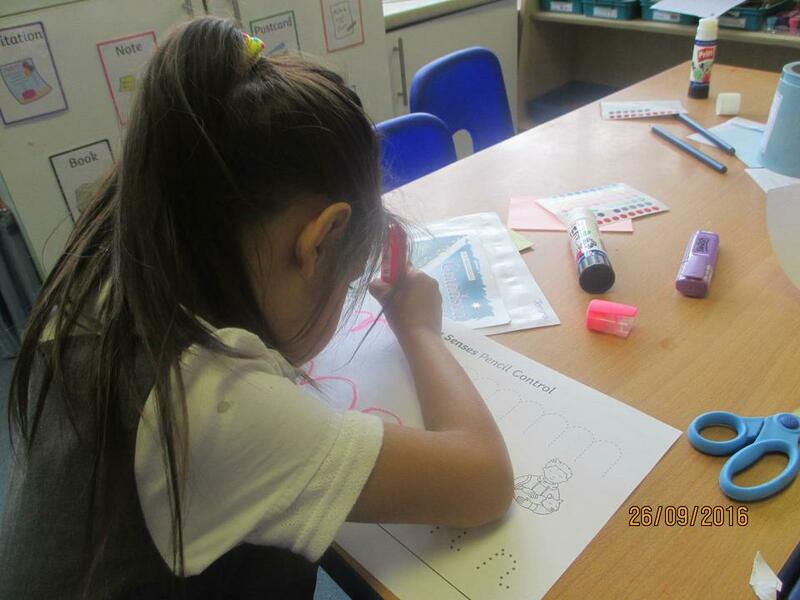 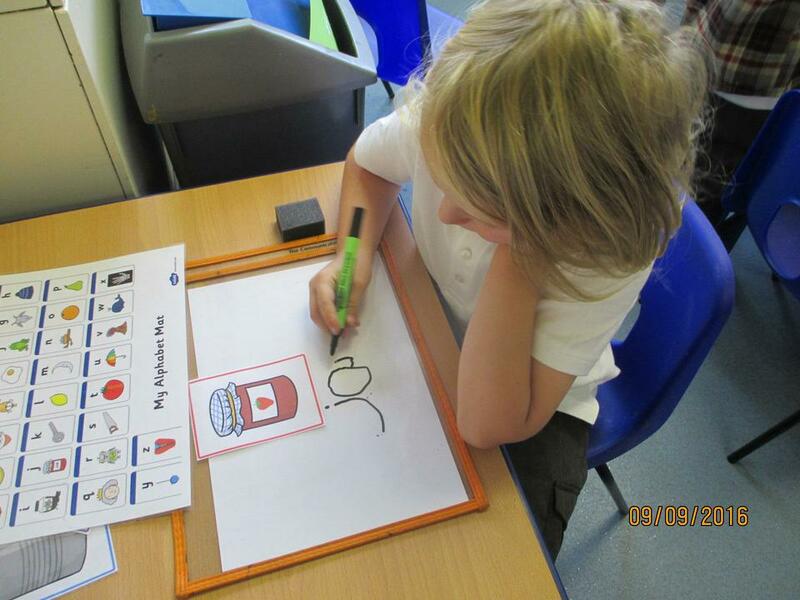 During phonics the children are learning about digraphs, they are really enjoying this new challenge. 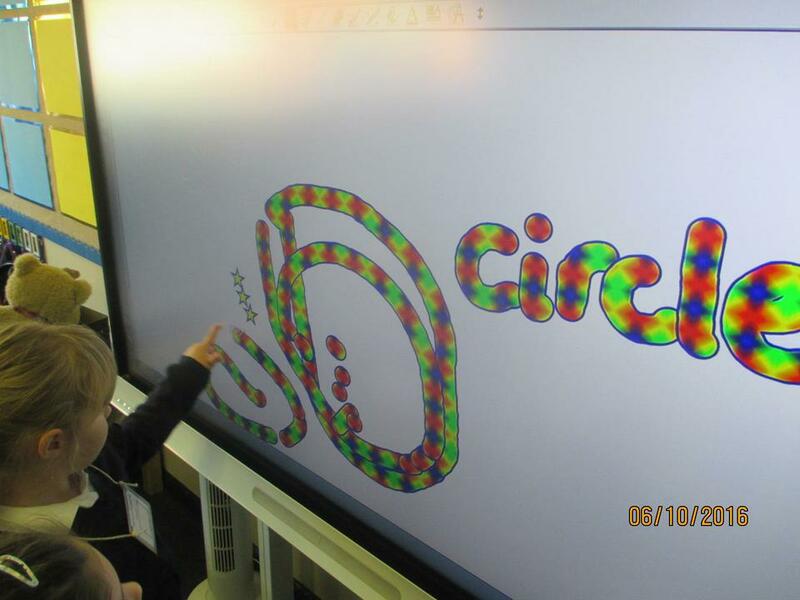 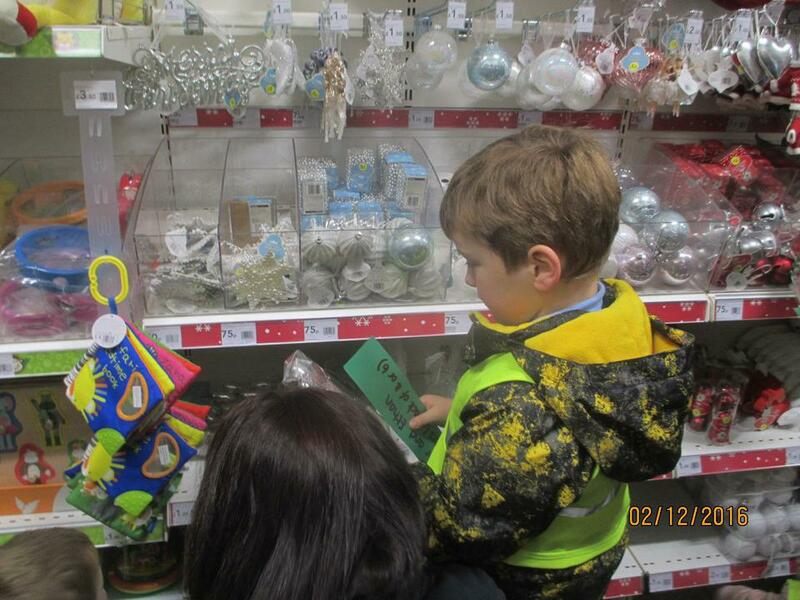 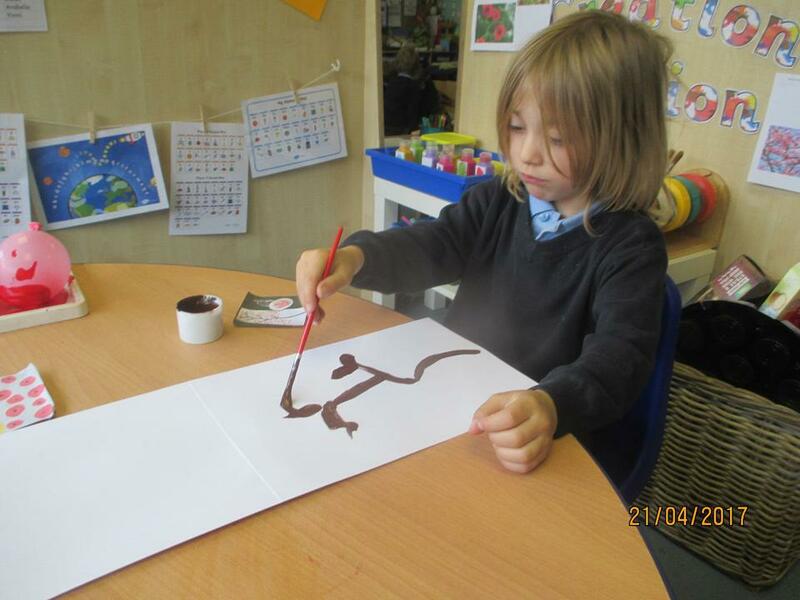 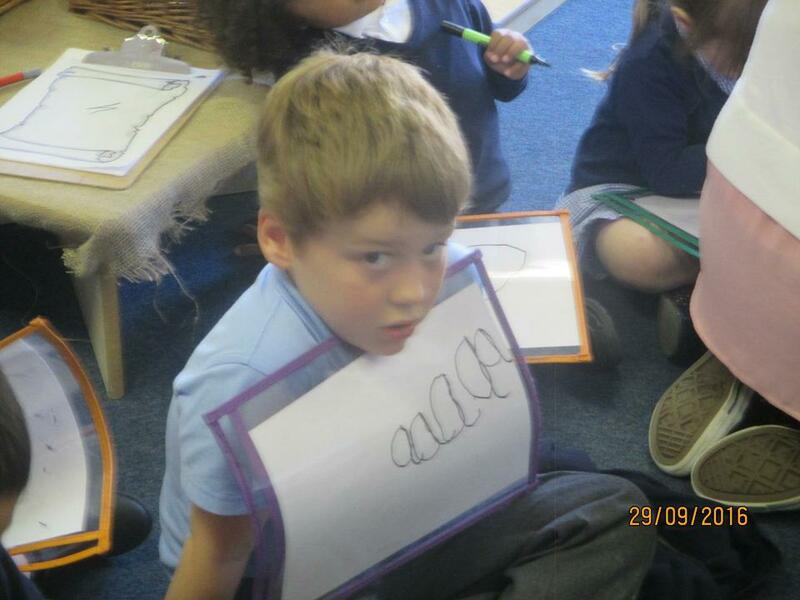 It is very amusing that every time the children see a word they have to try and spot a digraph! 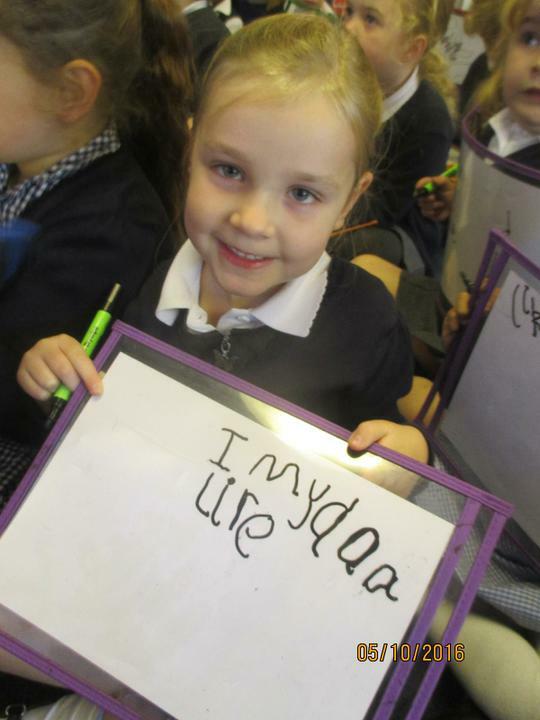 The word of this half term so far has been definitely digraph! 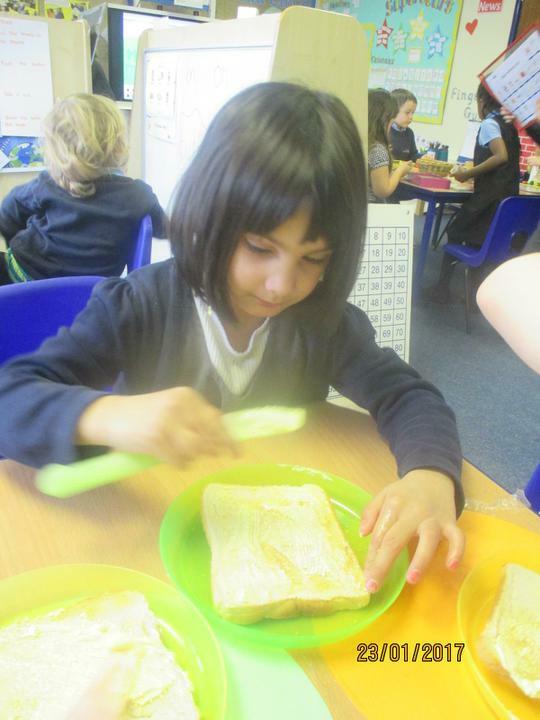 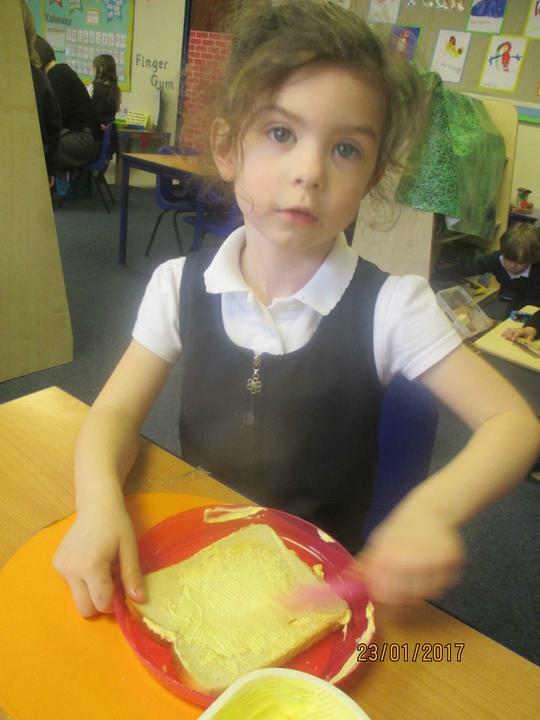 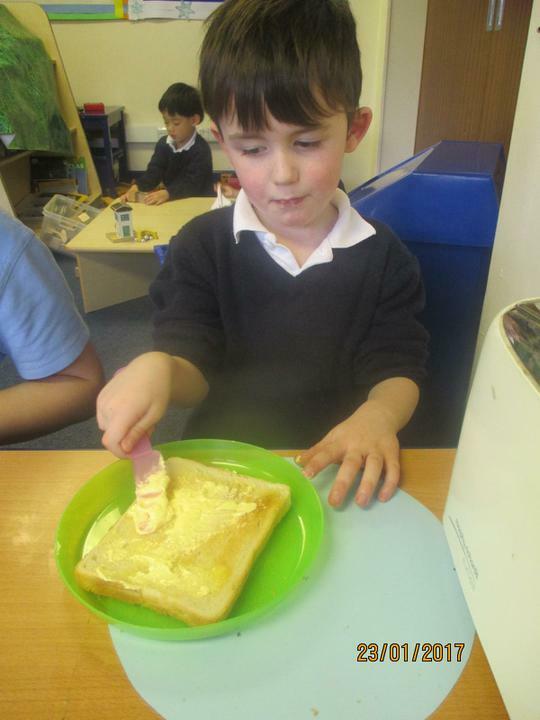 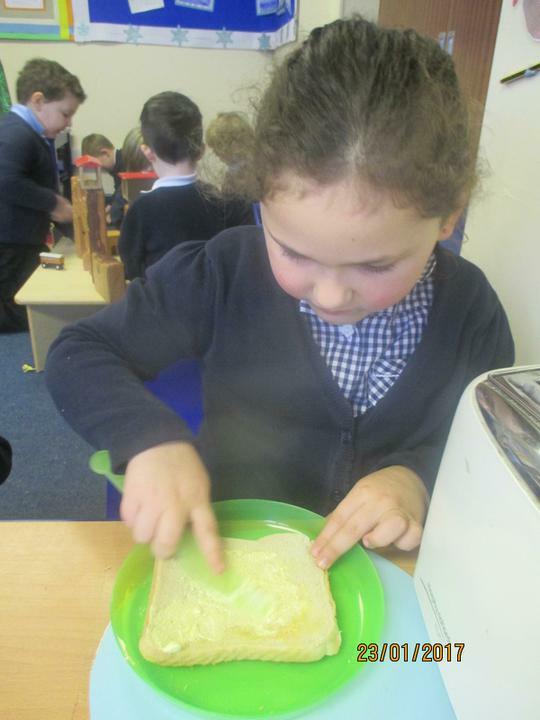 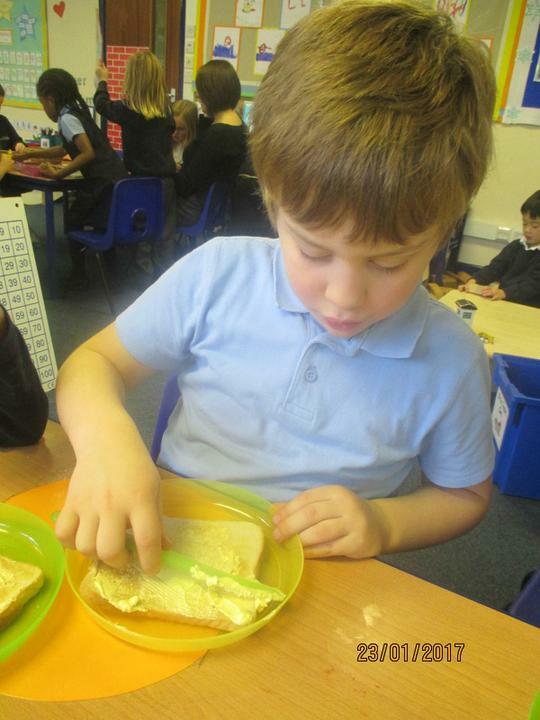 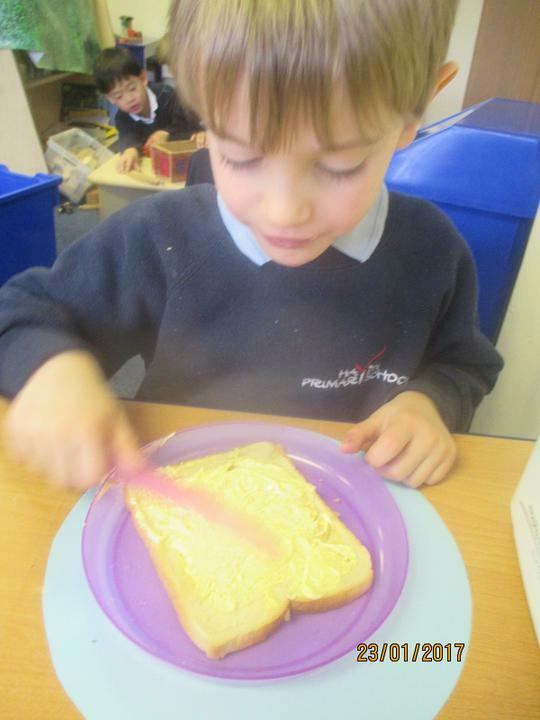 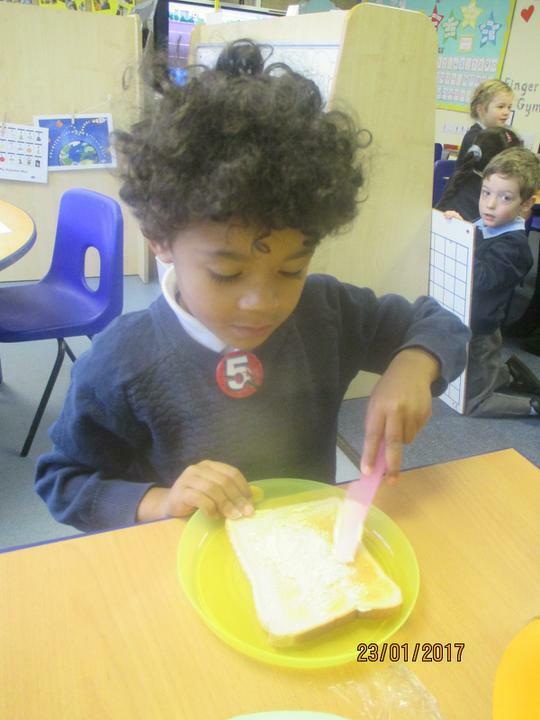 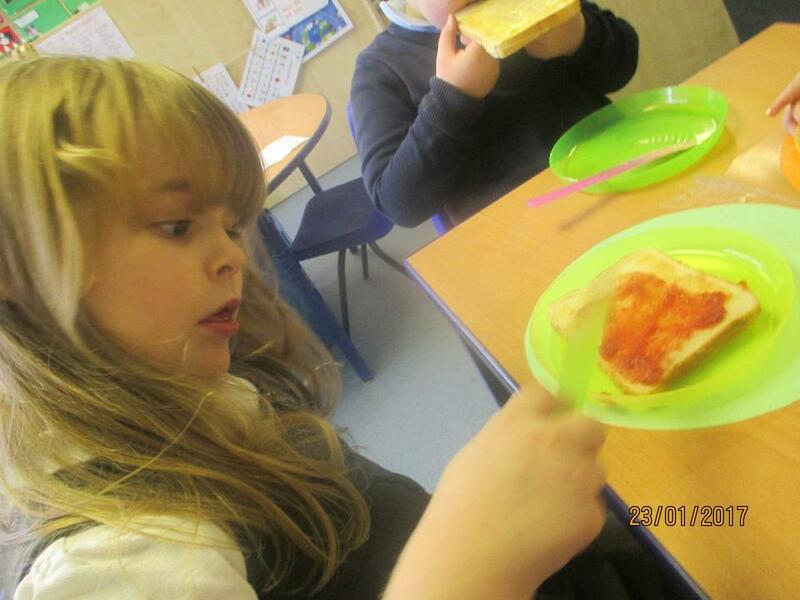 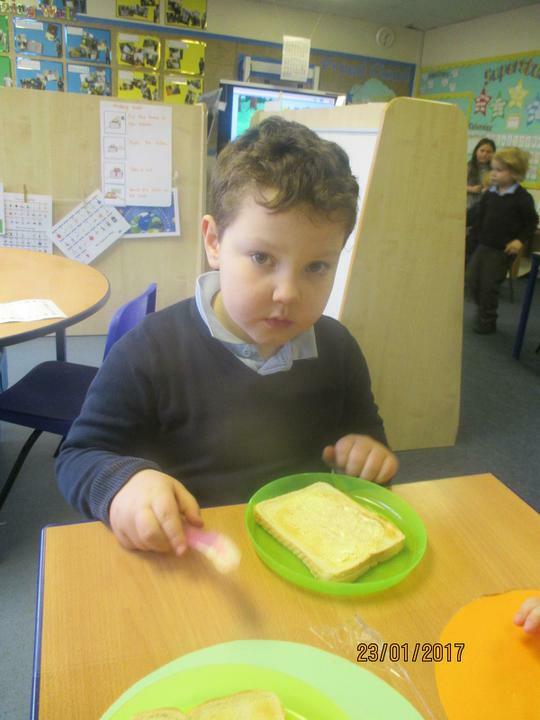 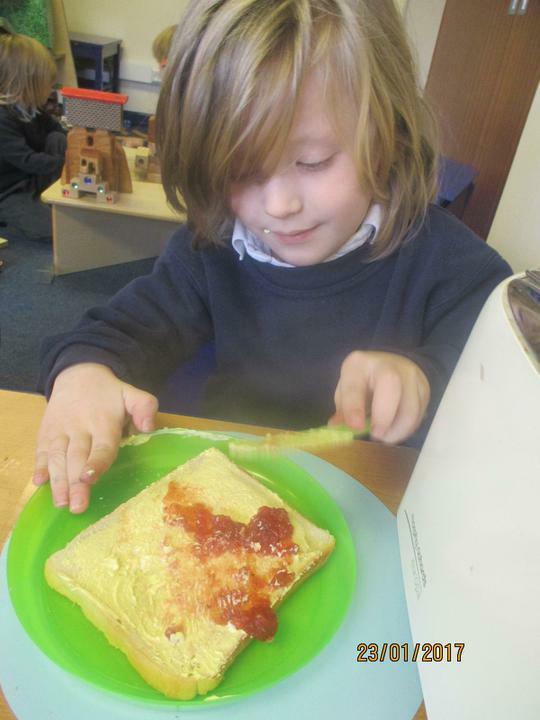 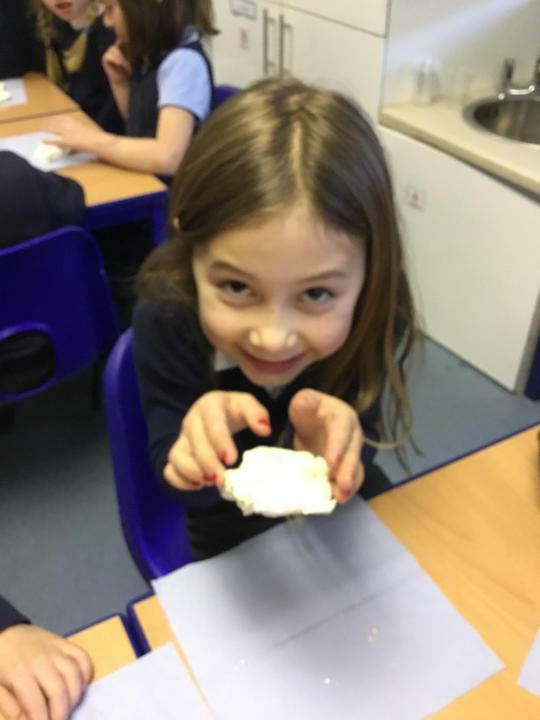 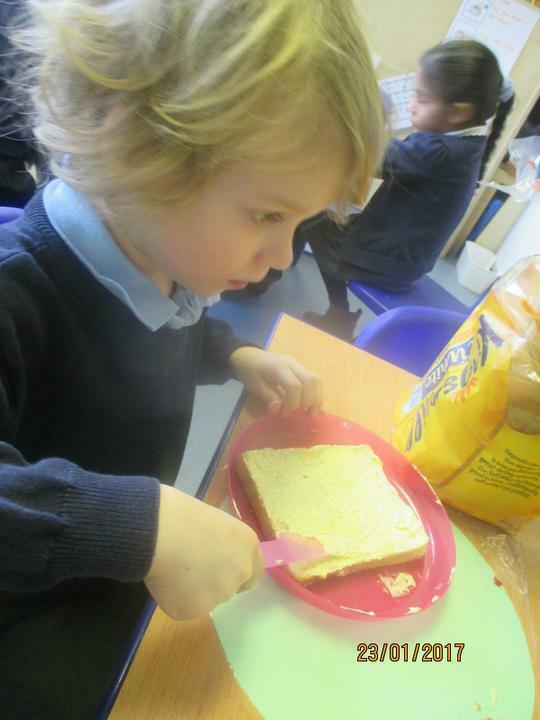 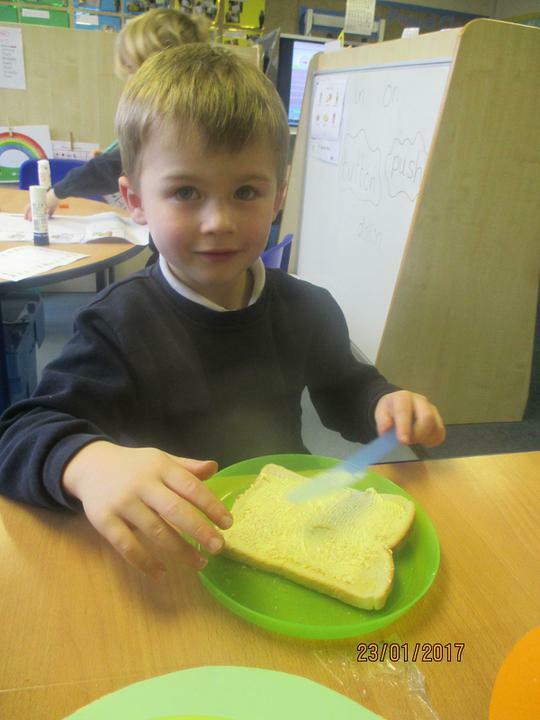 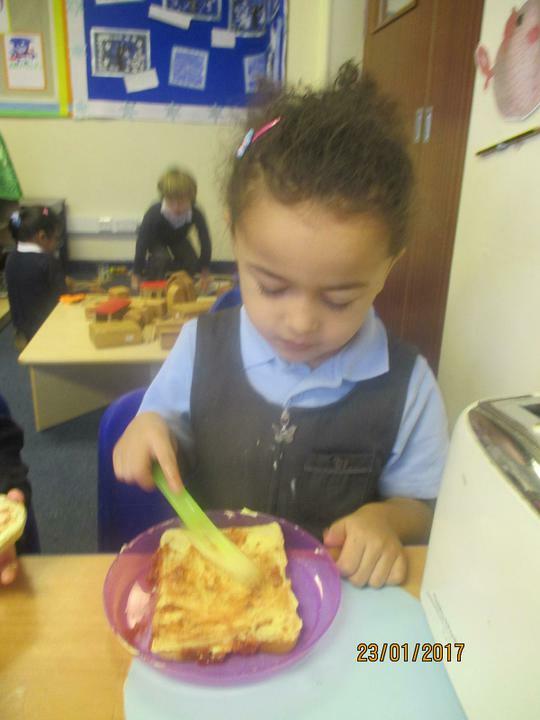 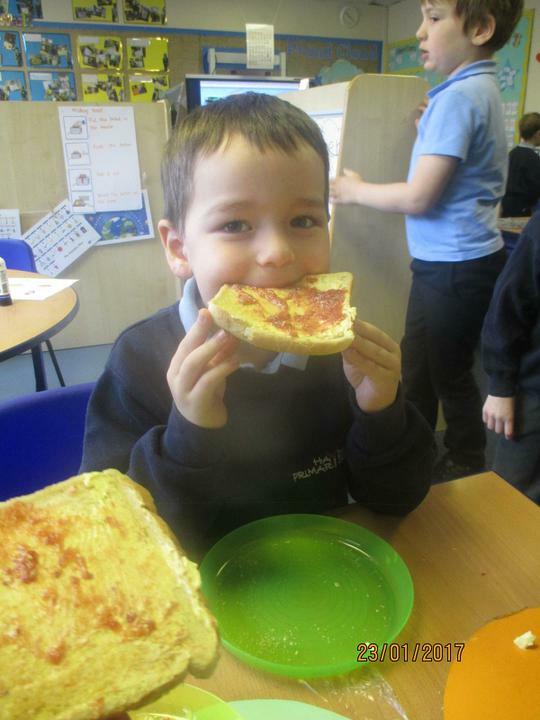 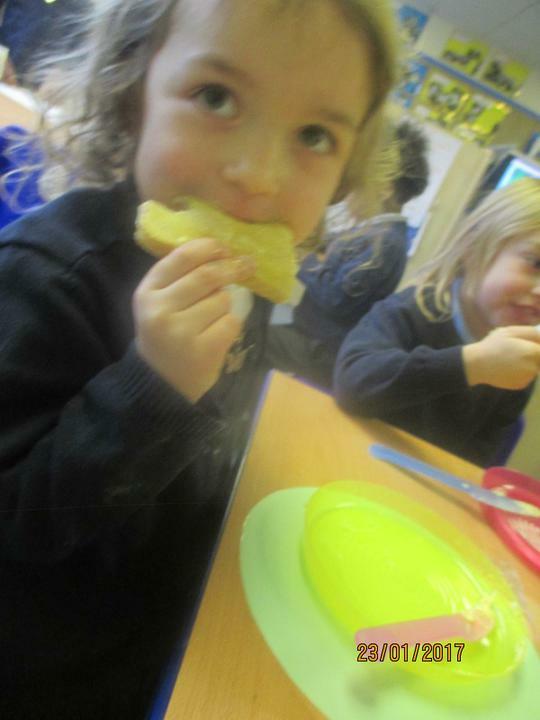 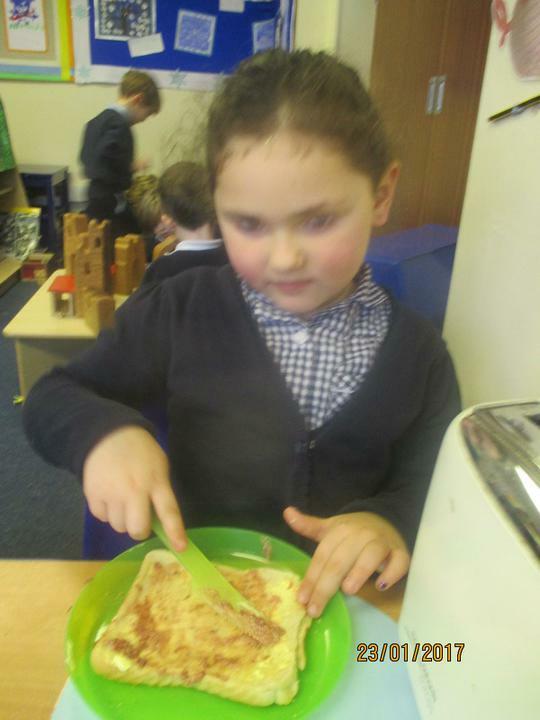 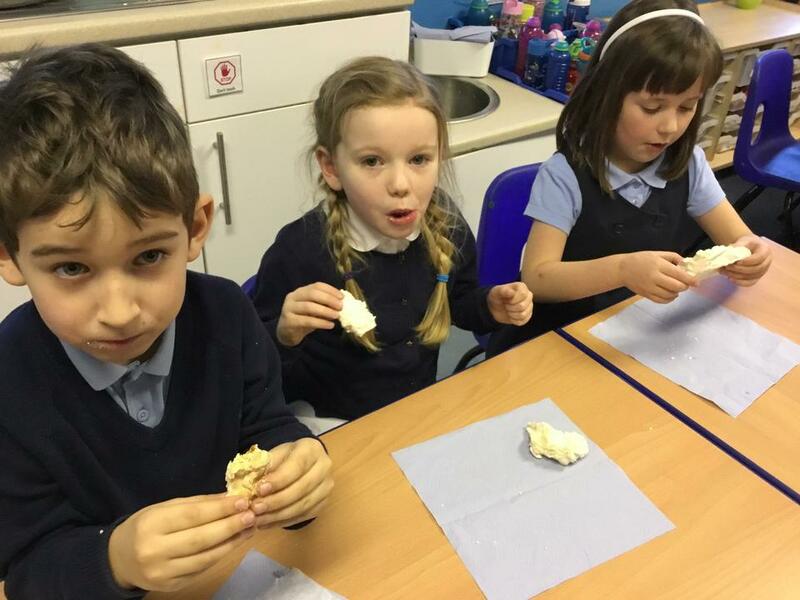 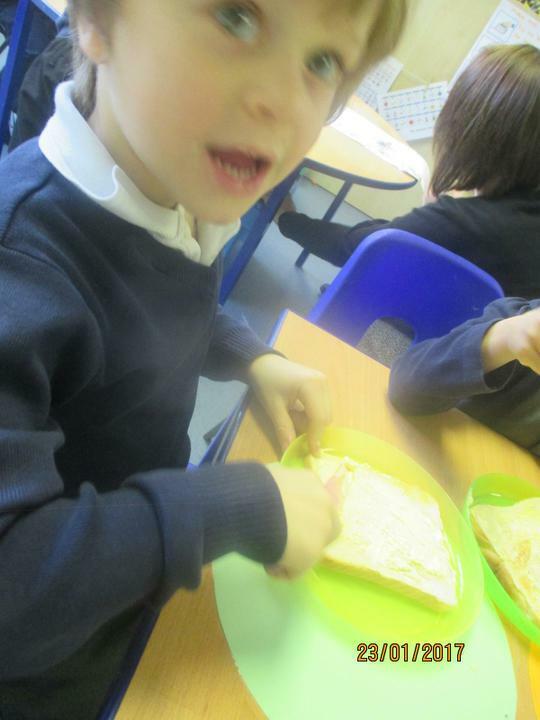 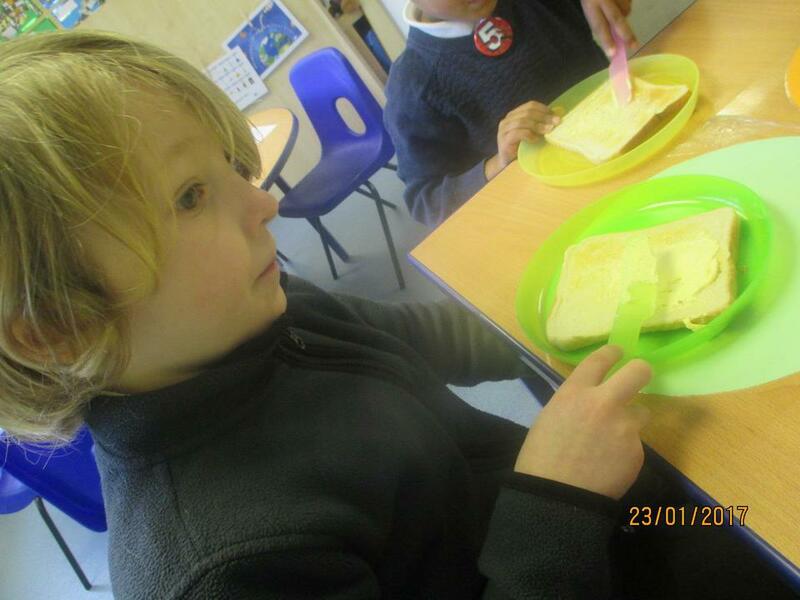 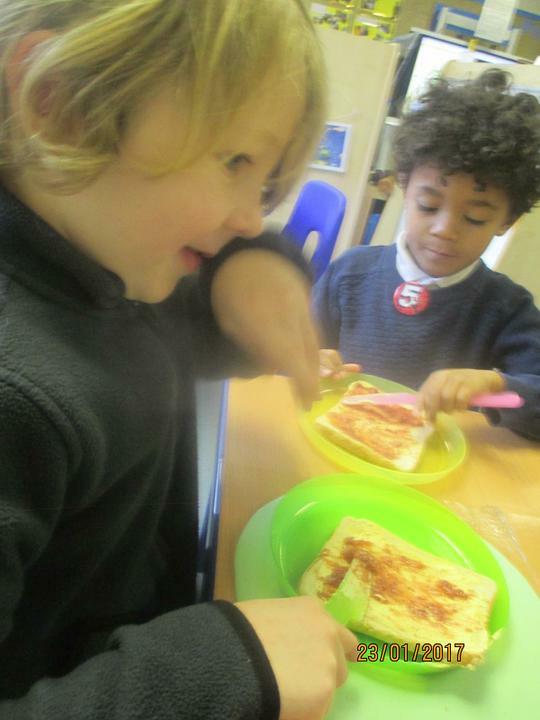 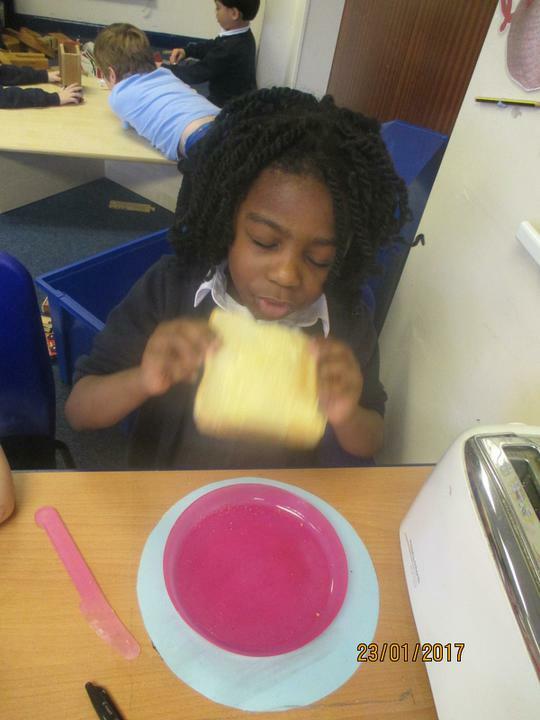 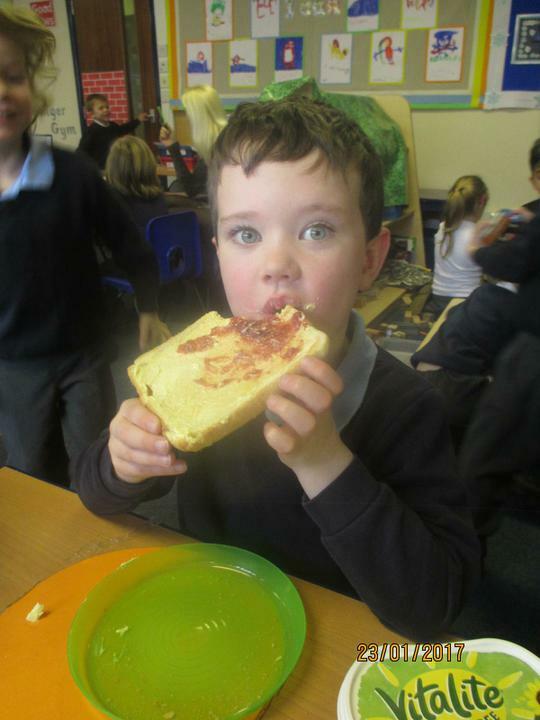 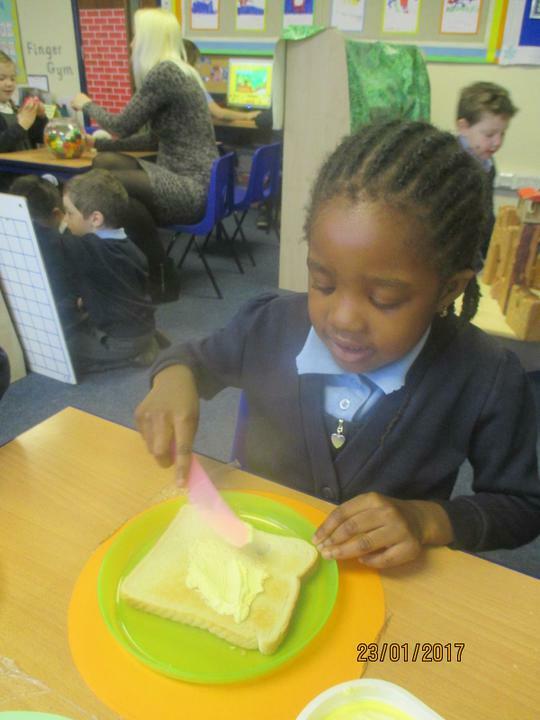 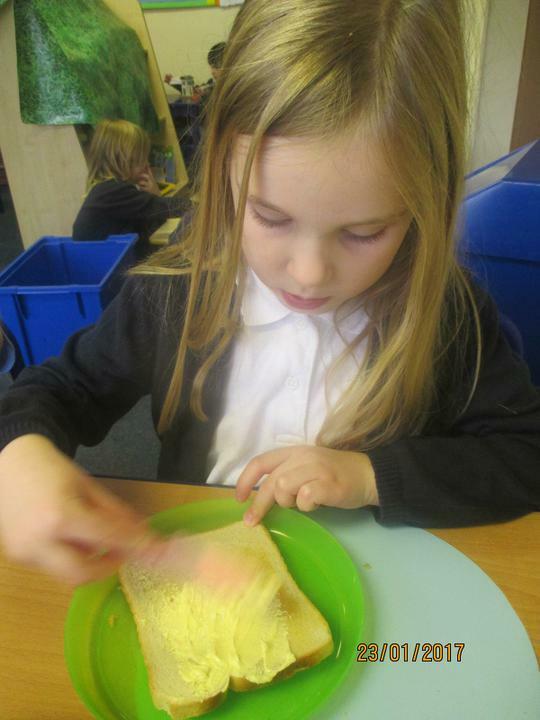 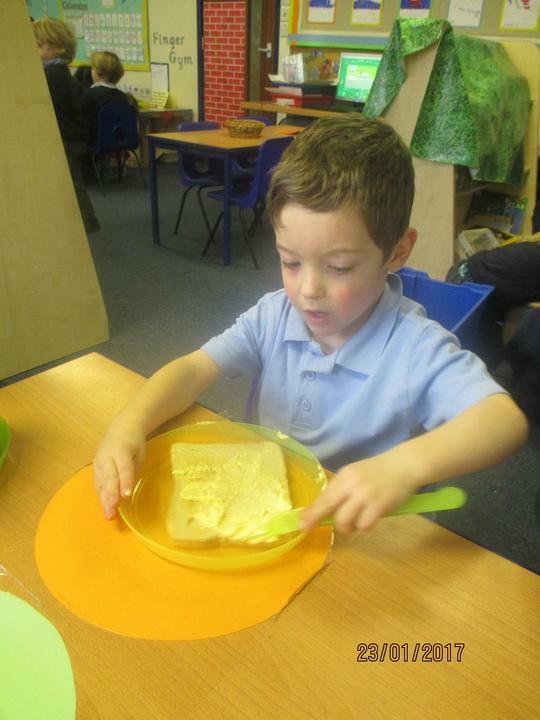 We had so much fun making toast! 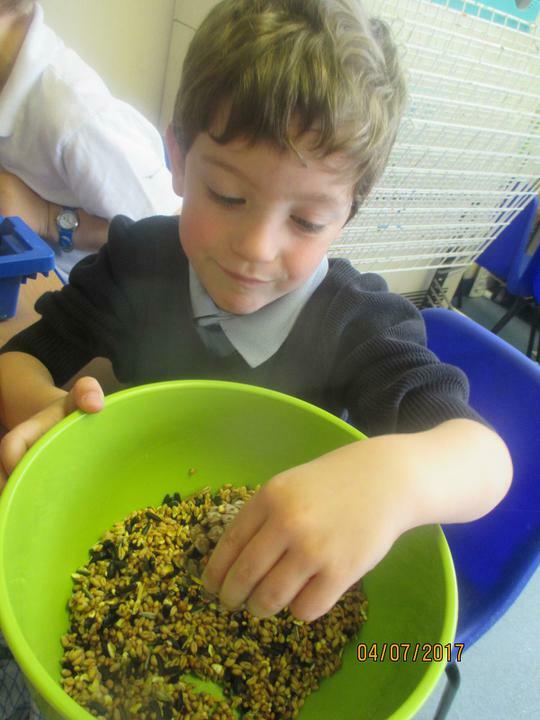 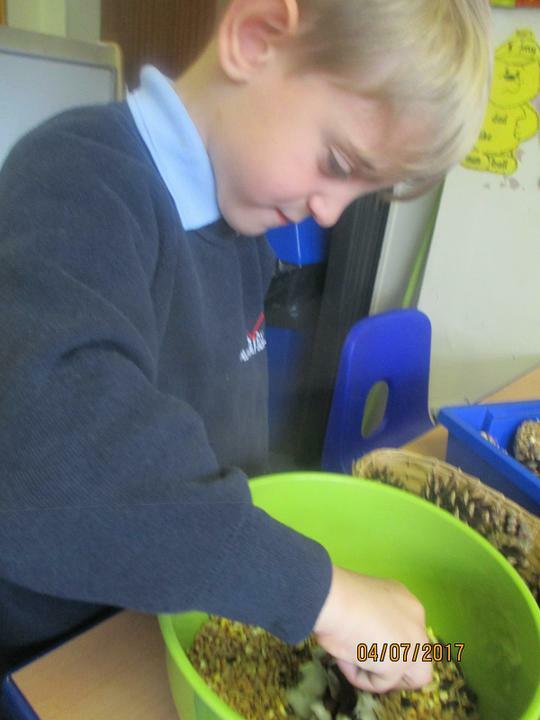 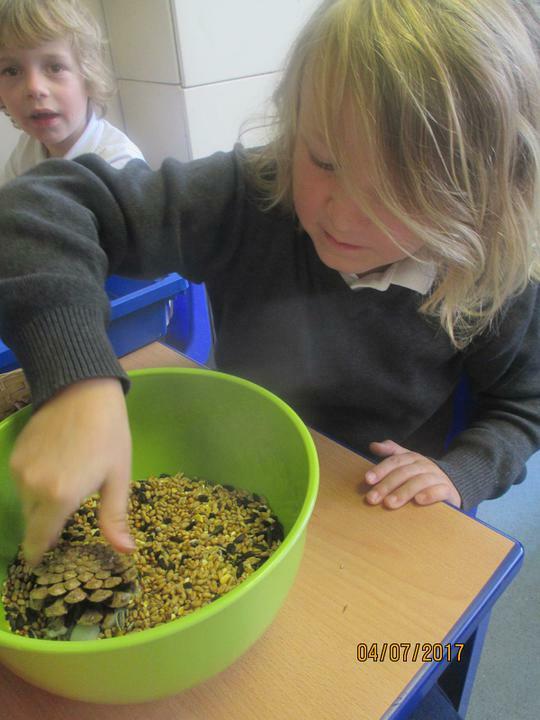 This half term we are learning about Autumn by looking at the changing environment and learning about hibernation. 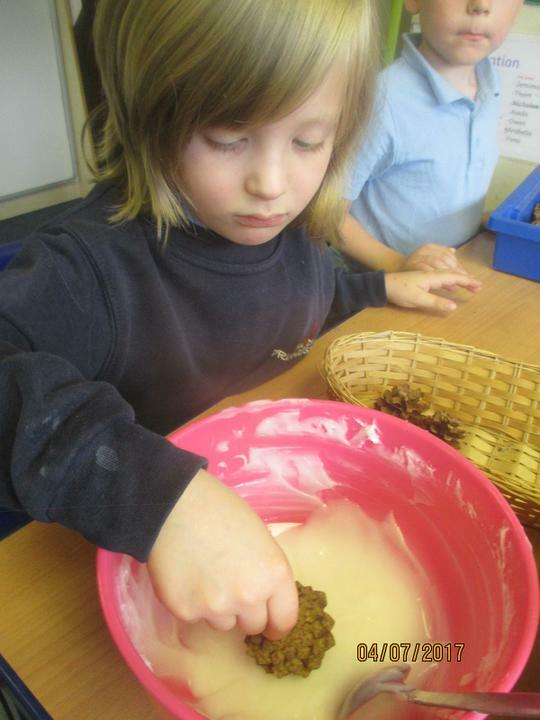 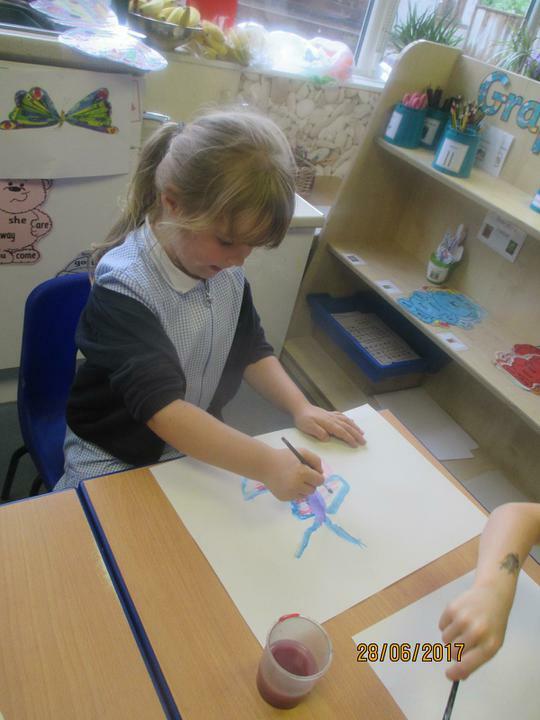 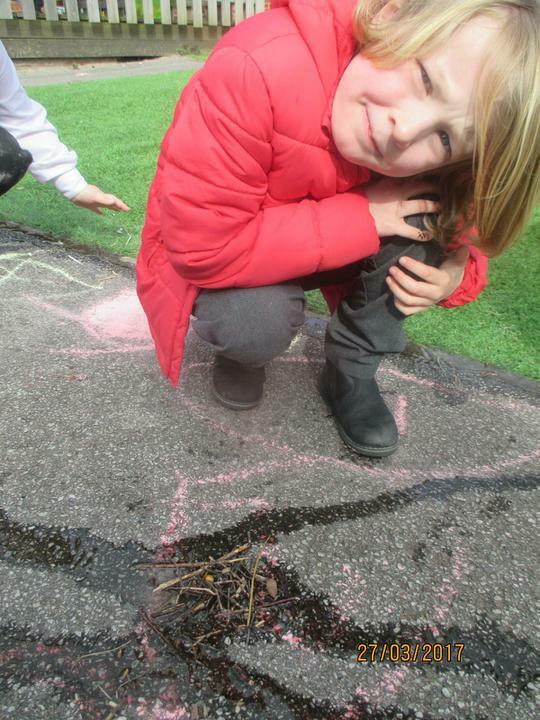 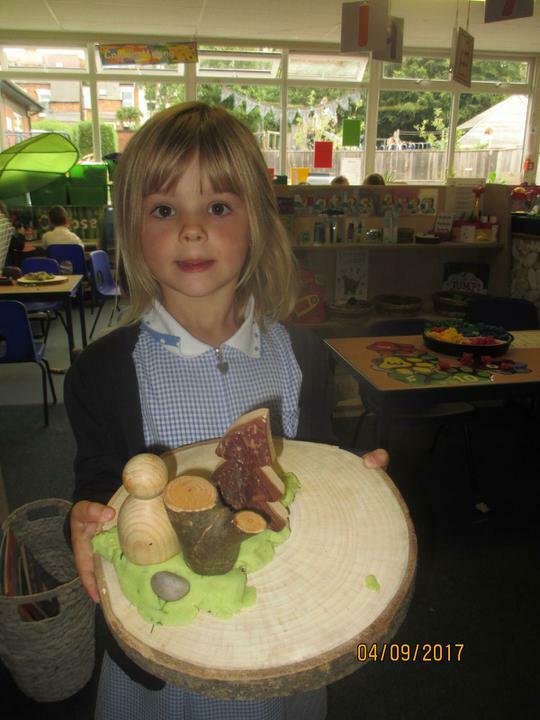 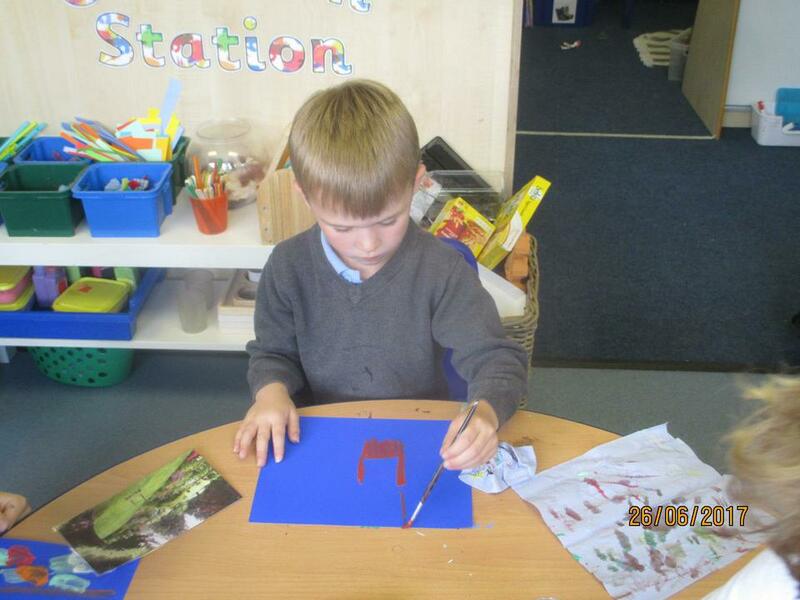 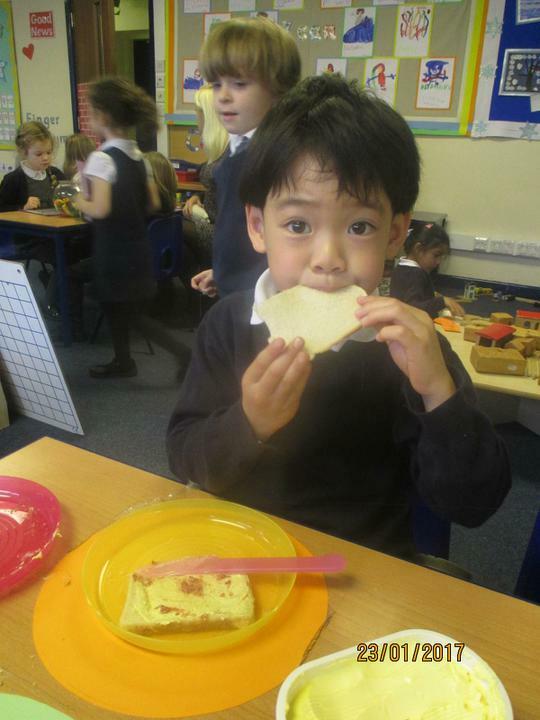 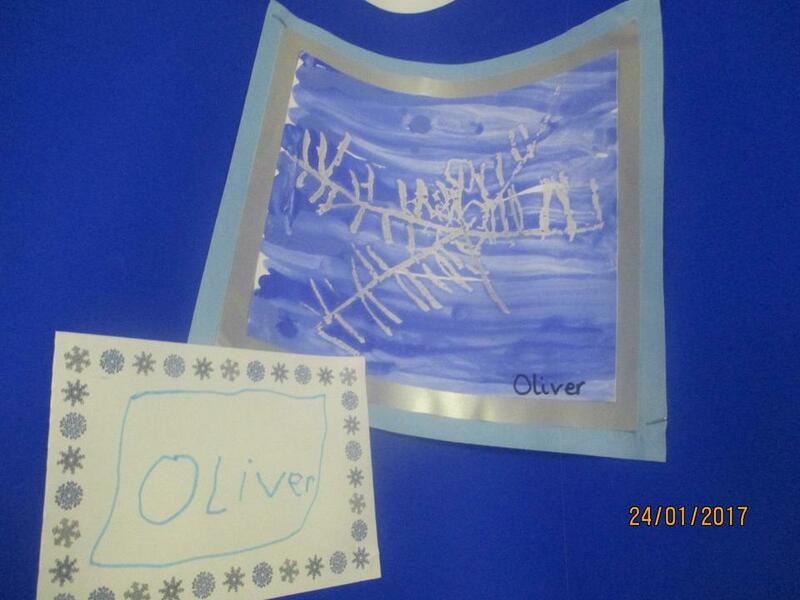 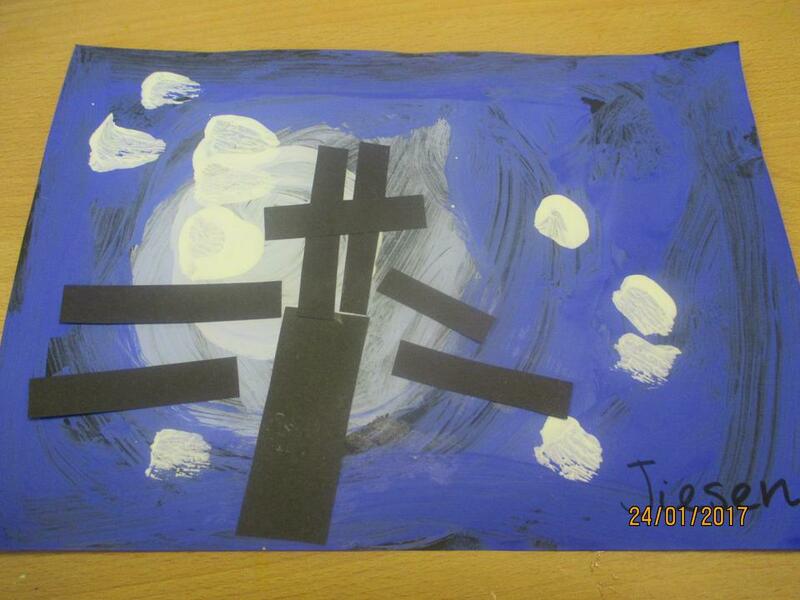 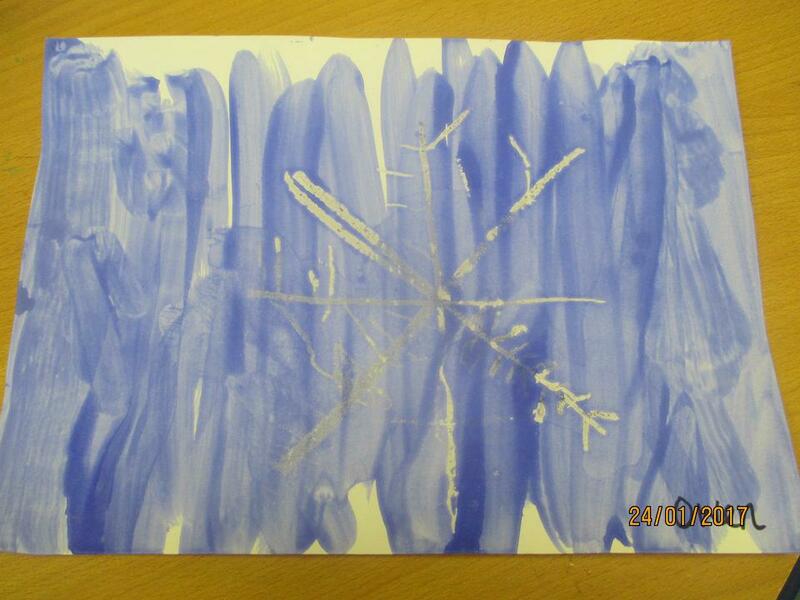 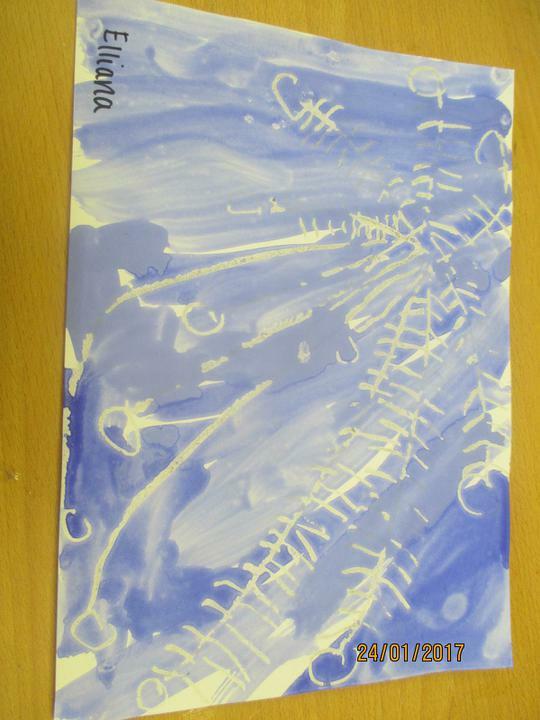 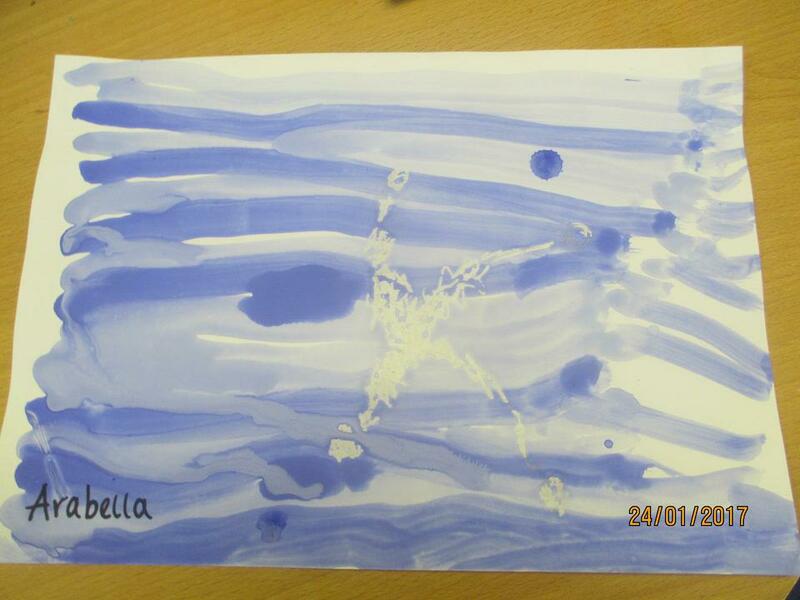 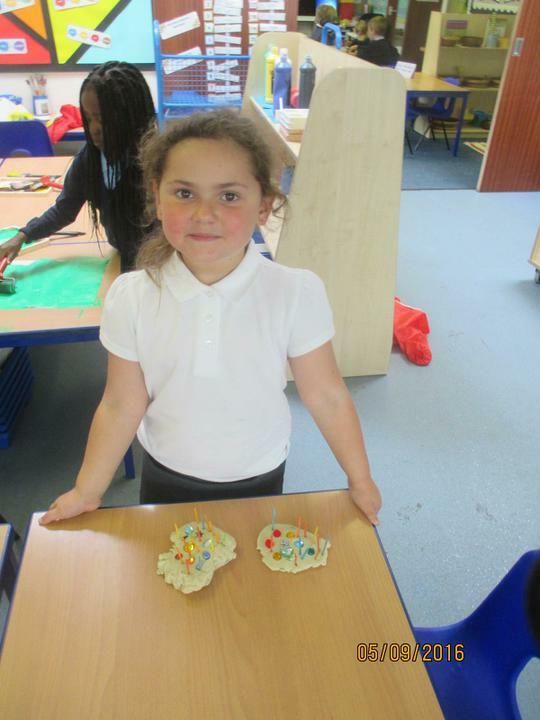 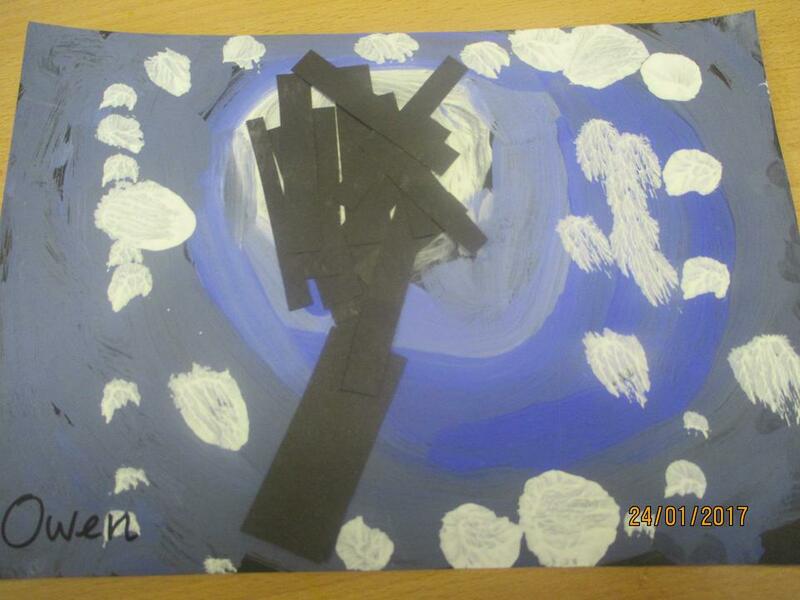 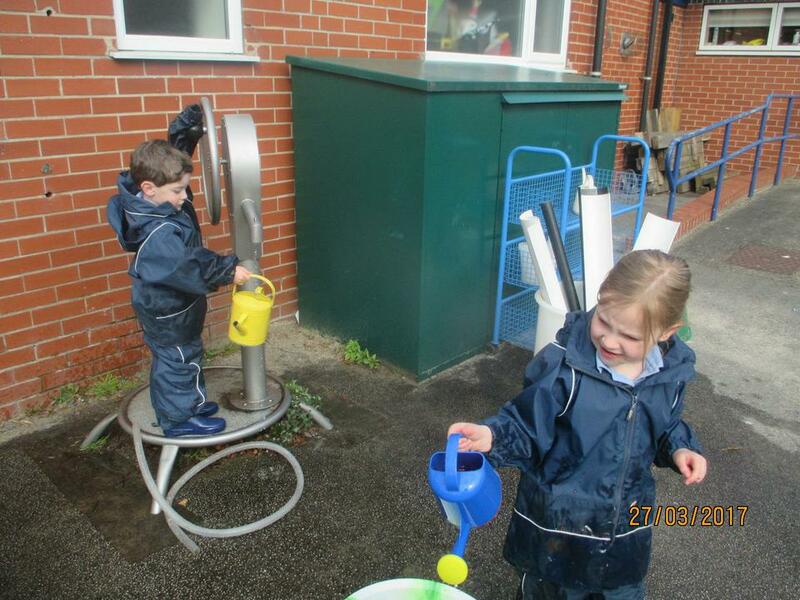 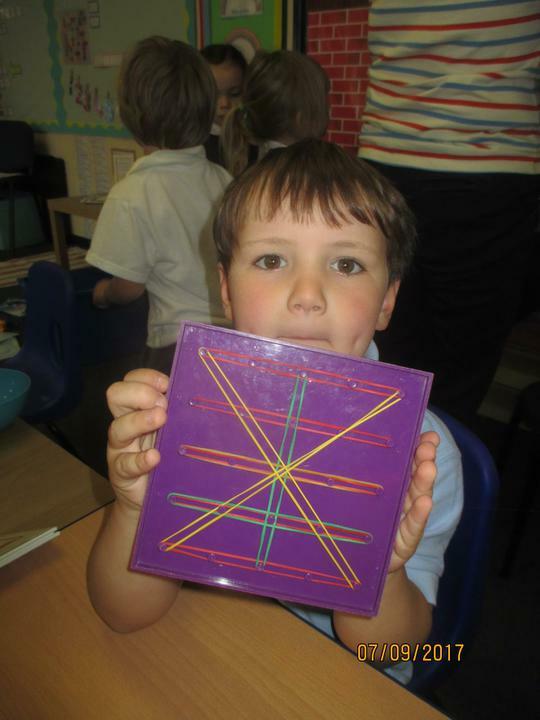 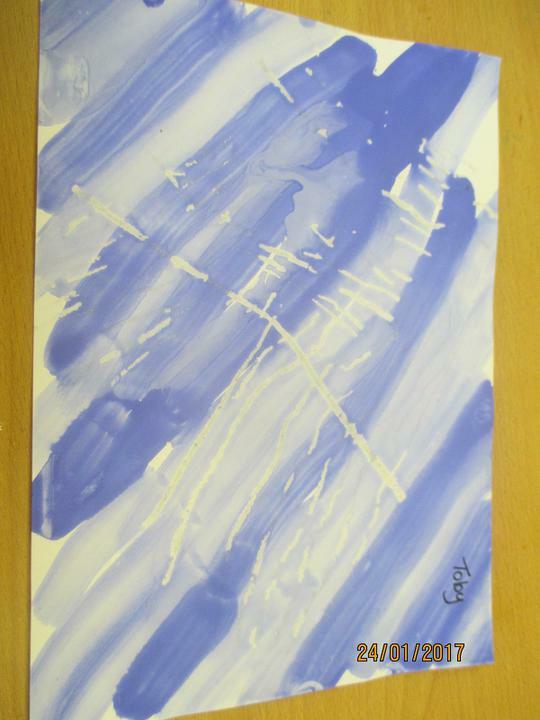 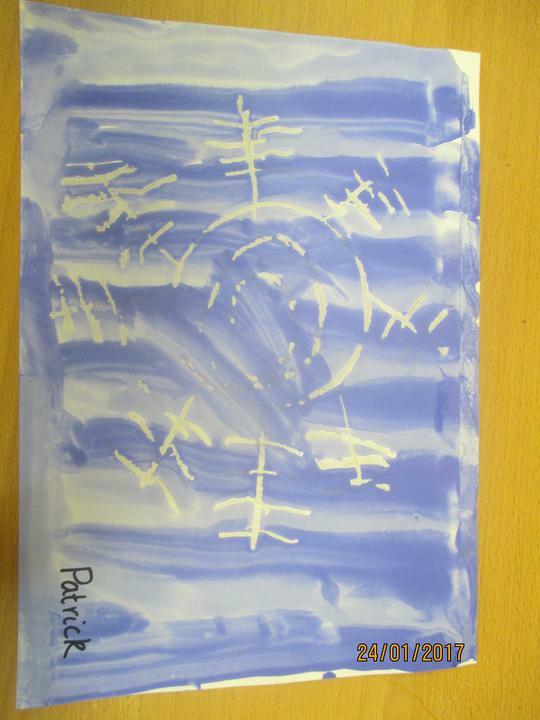 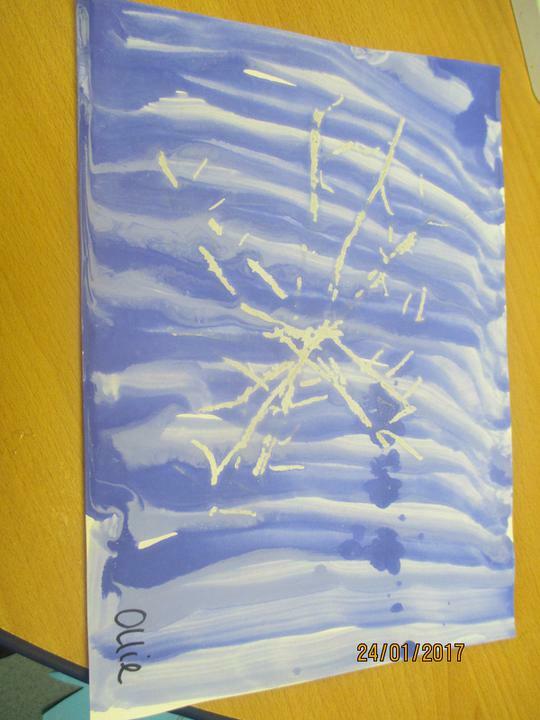 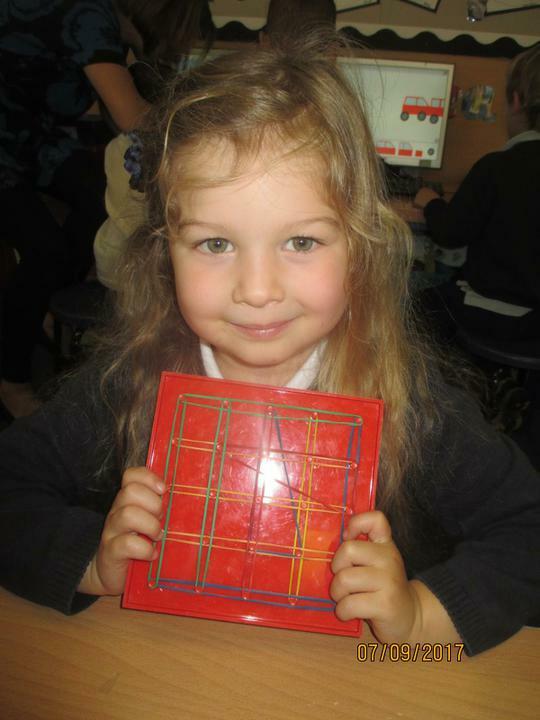 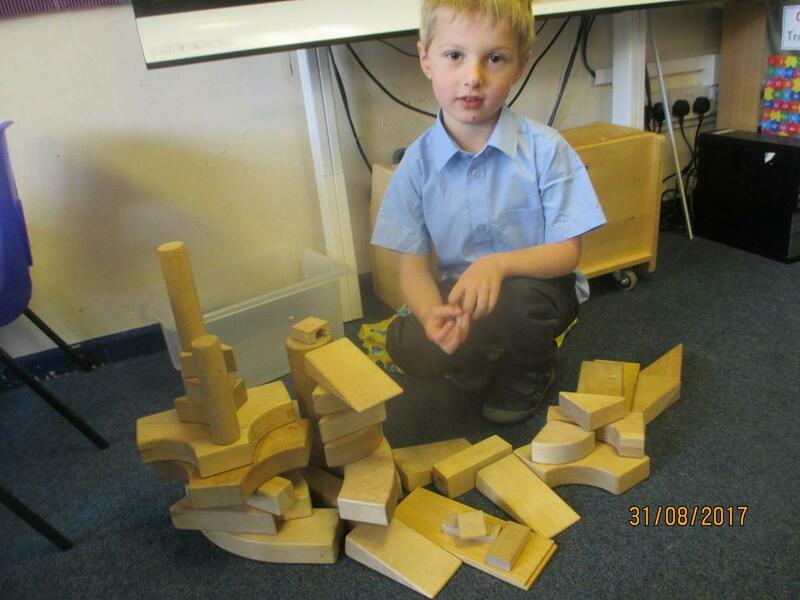 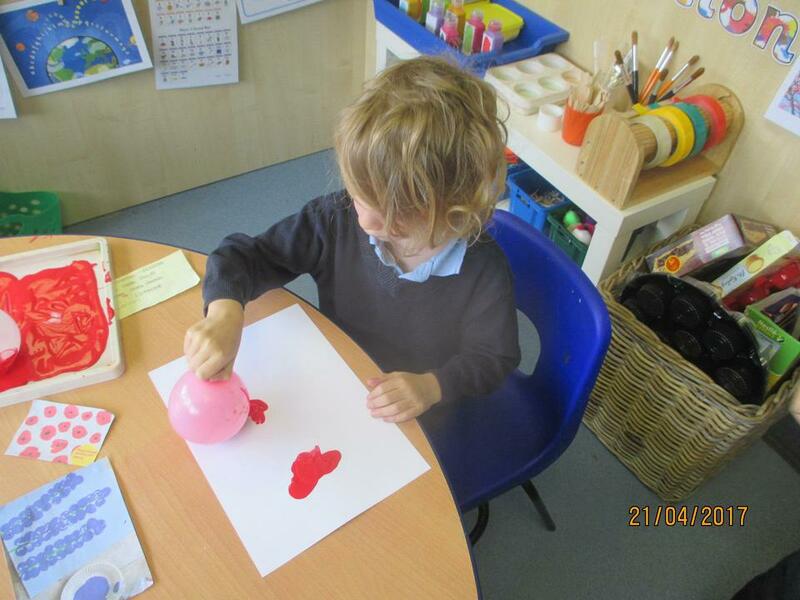 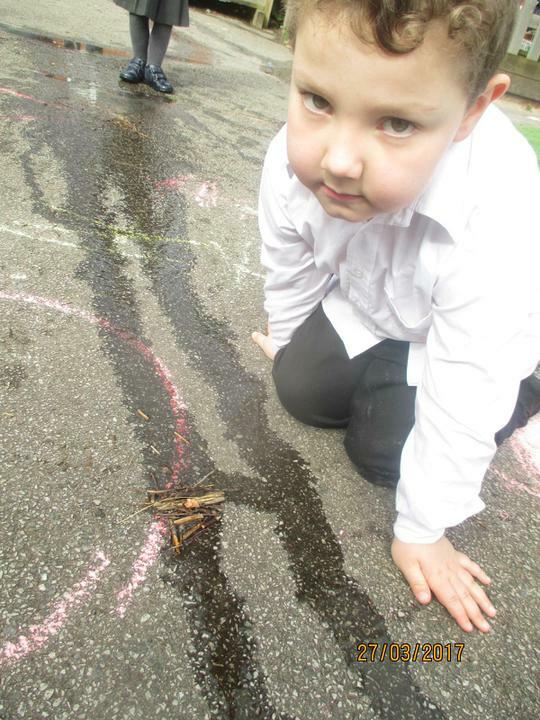 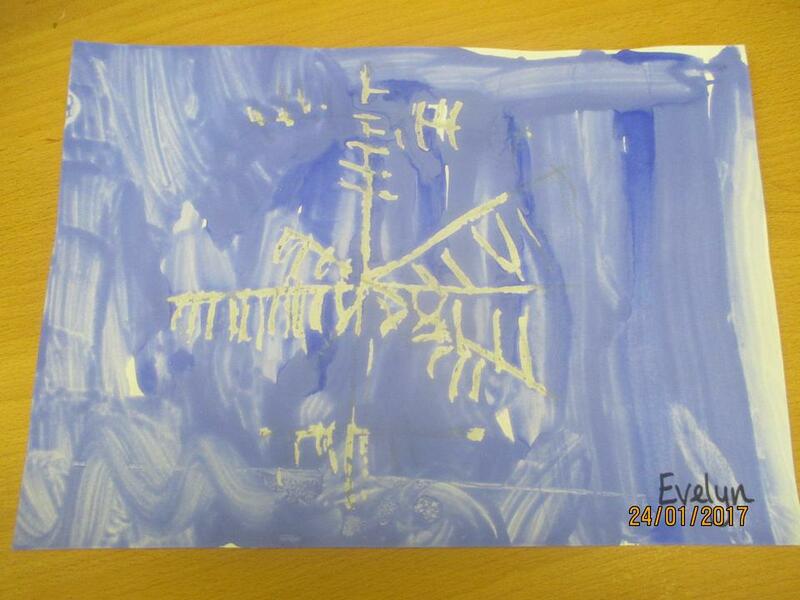 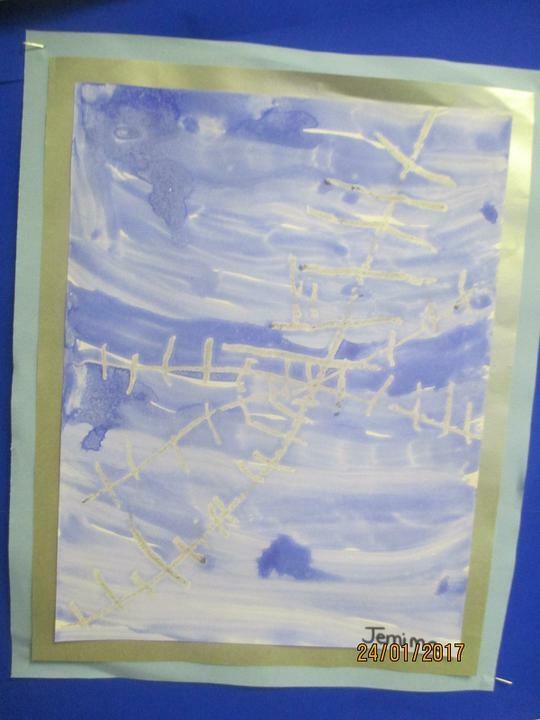 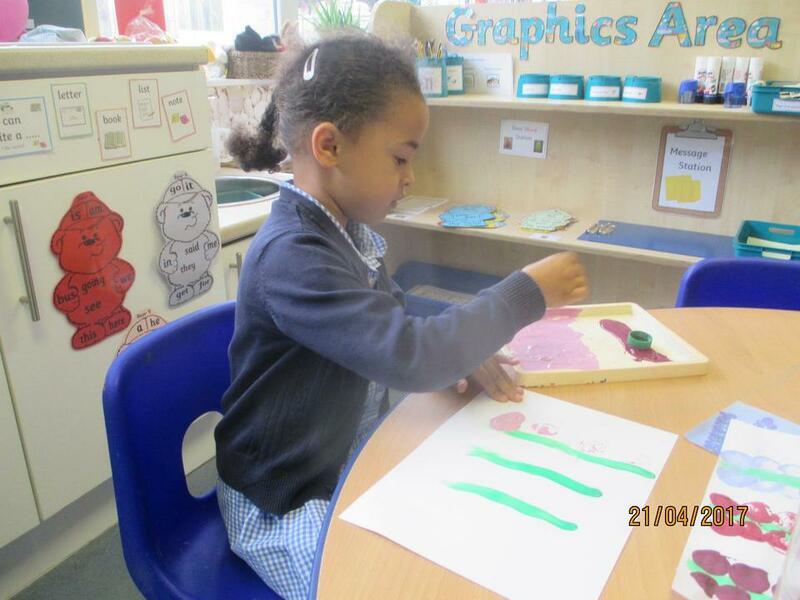 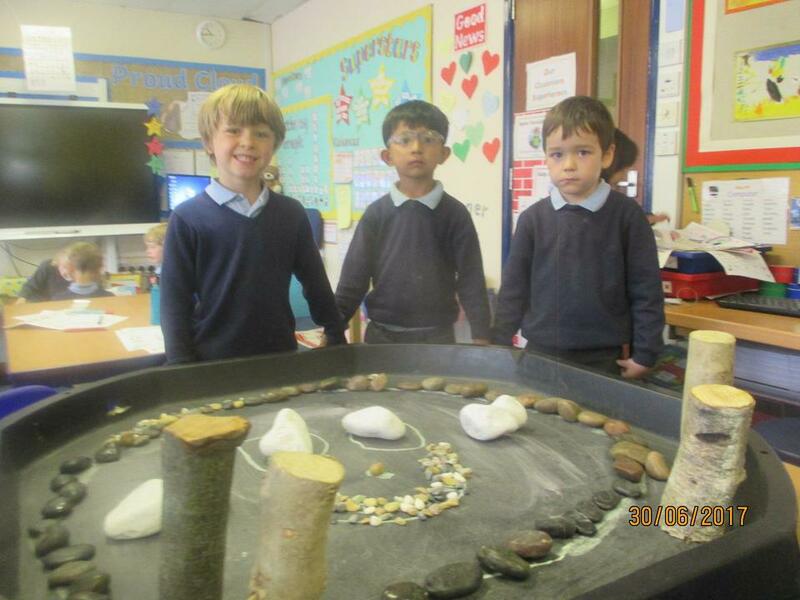 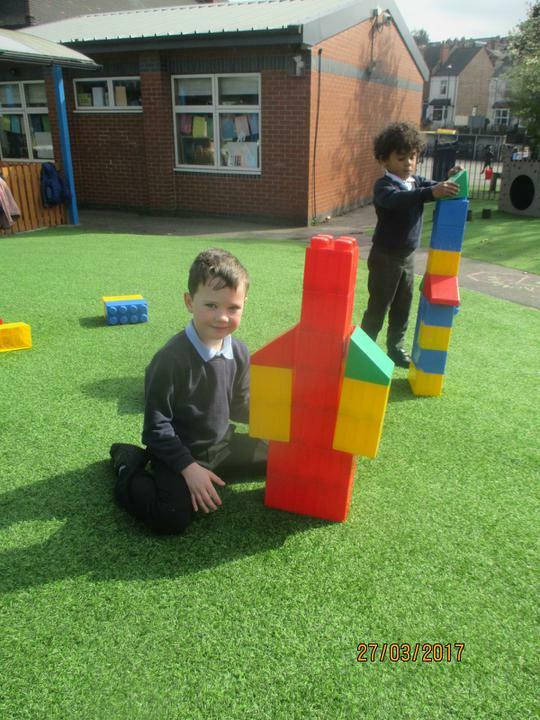 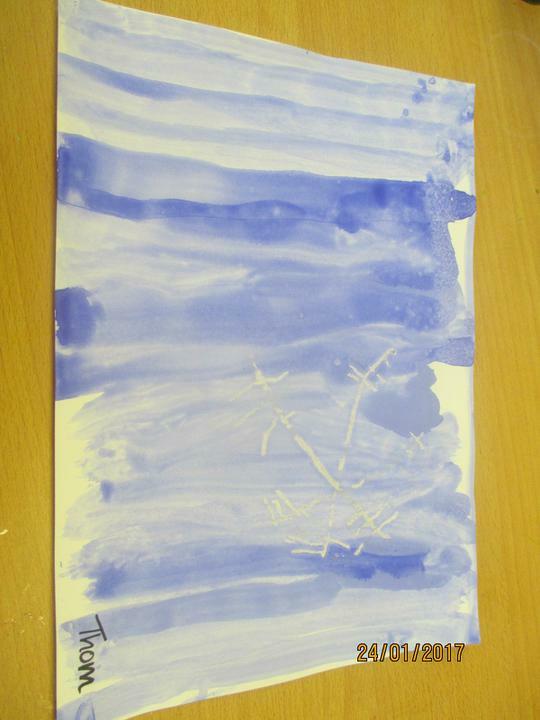 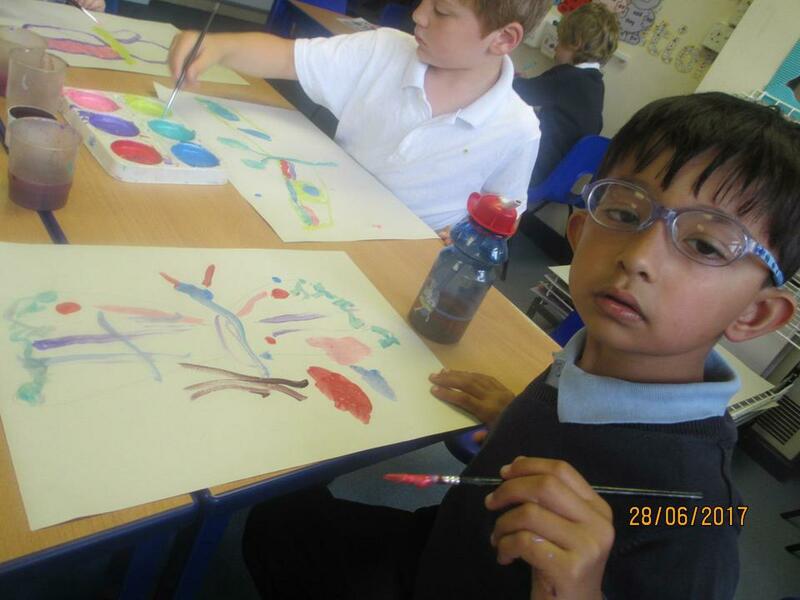 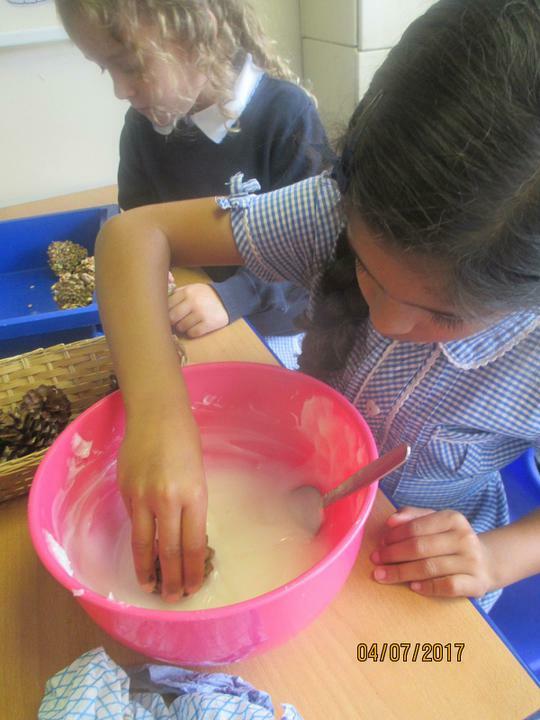 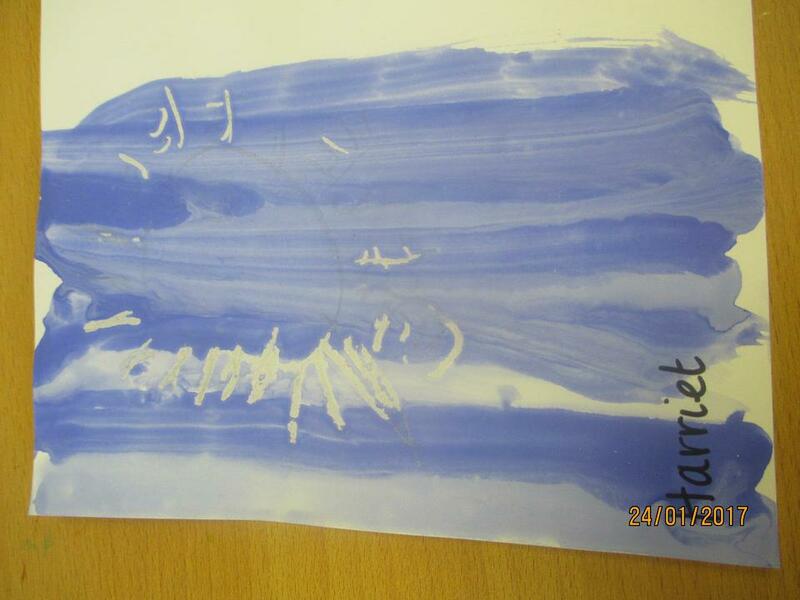 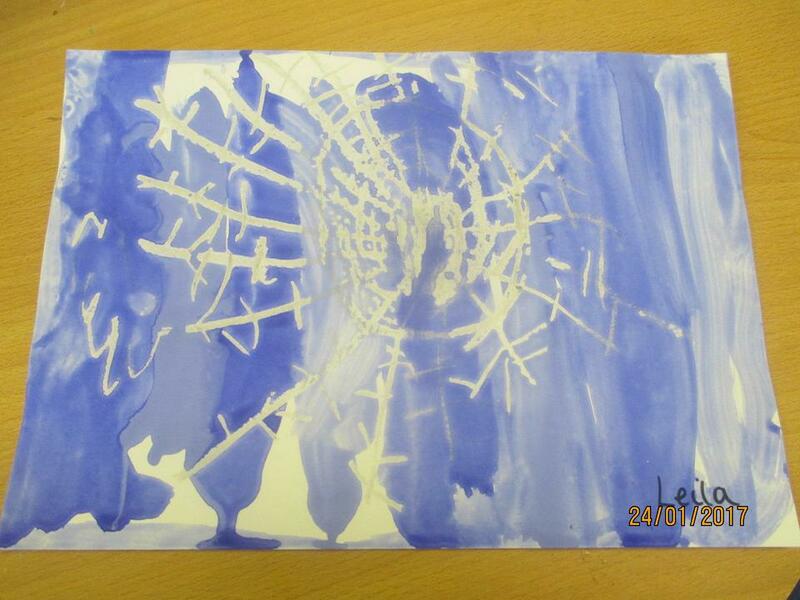 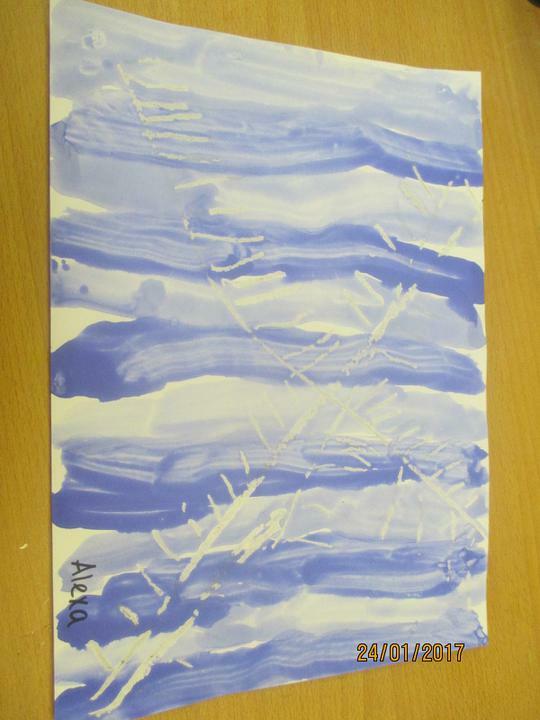 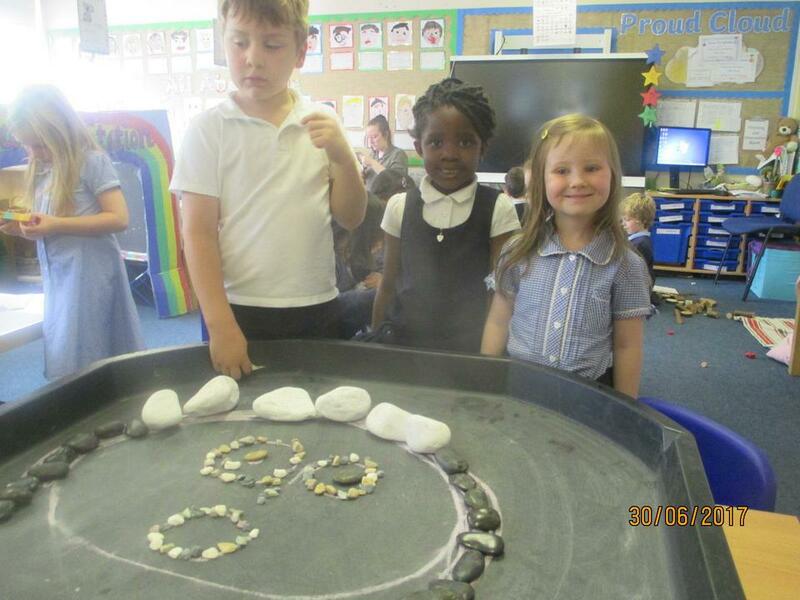 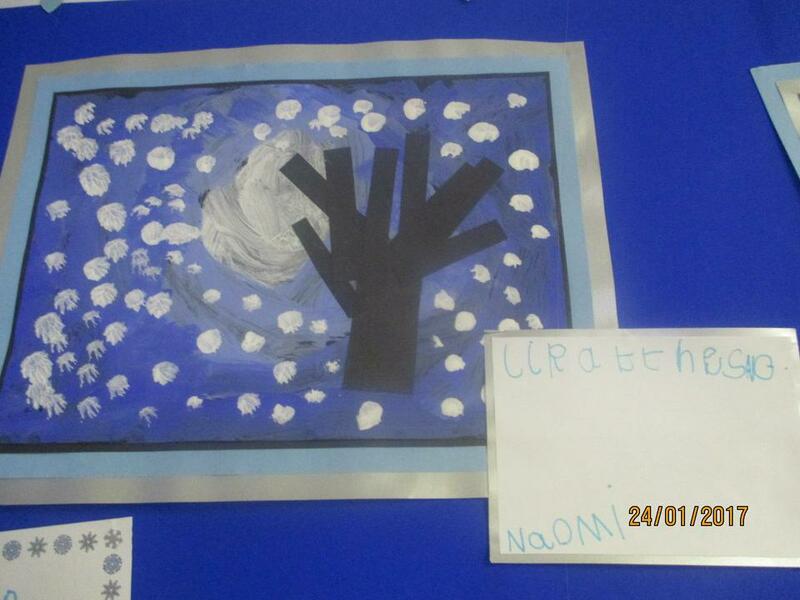 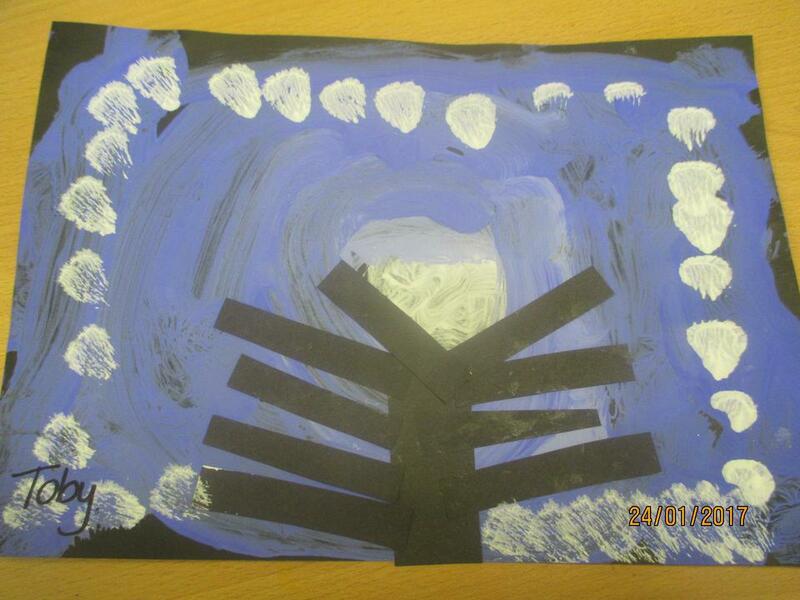 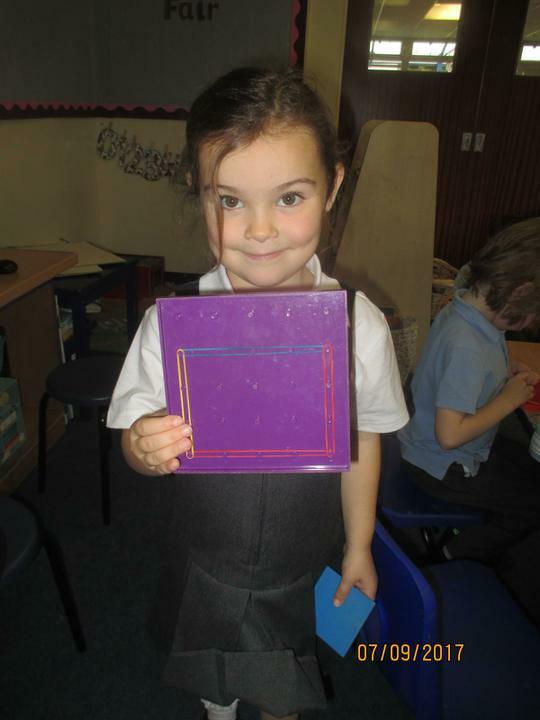 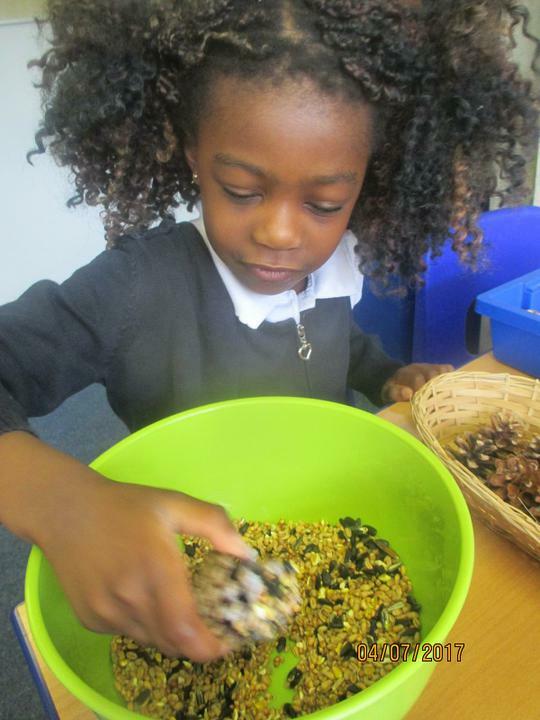 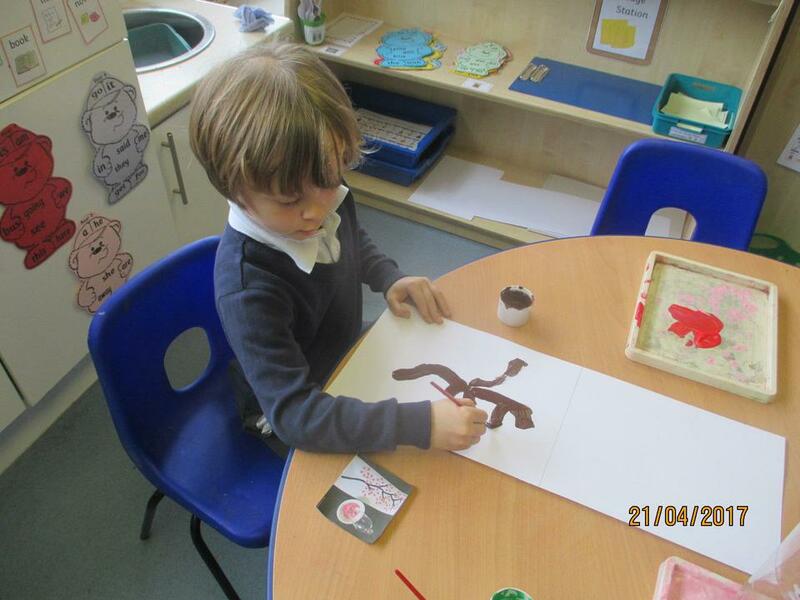 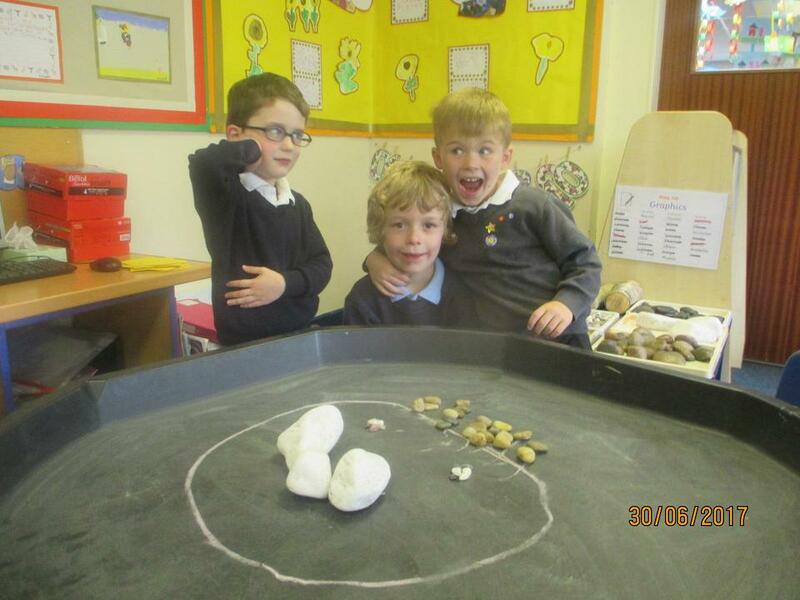 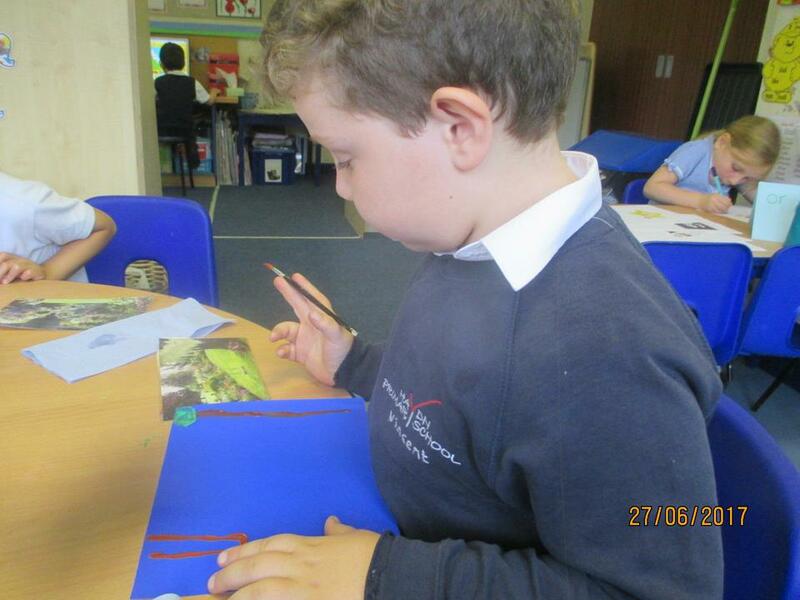 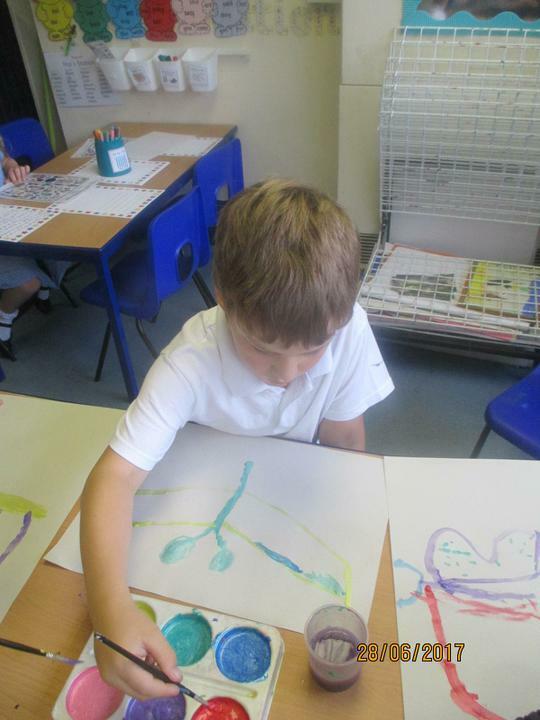 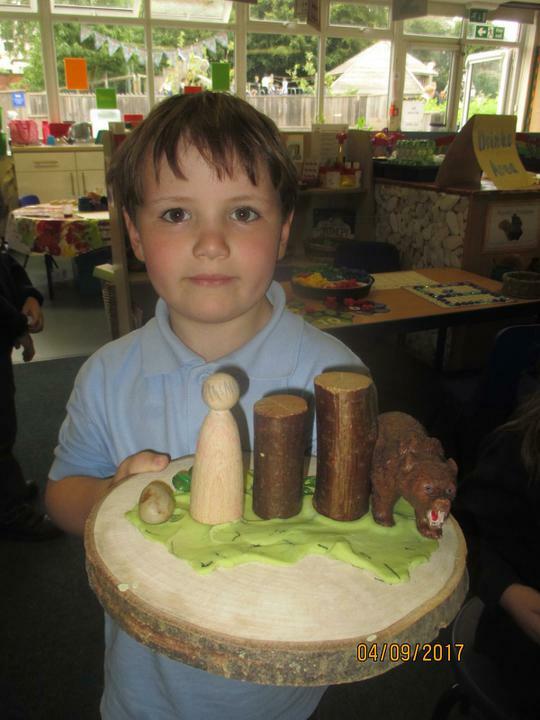 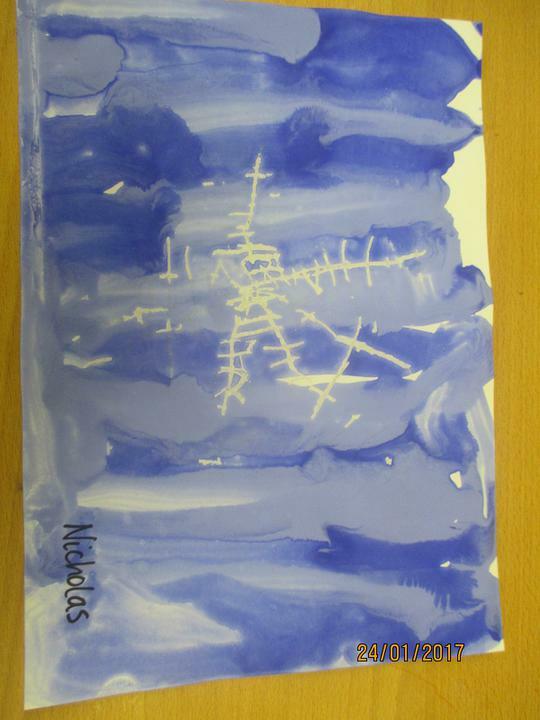 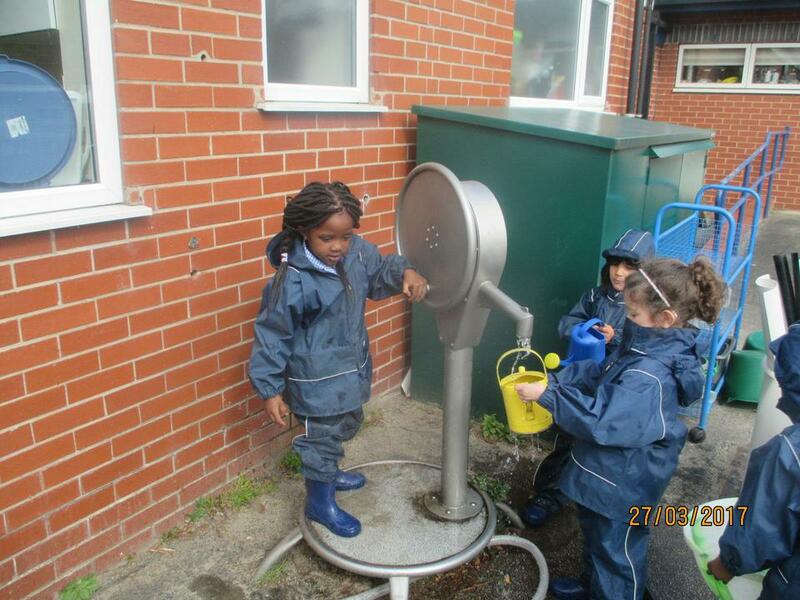 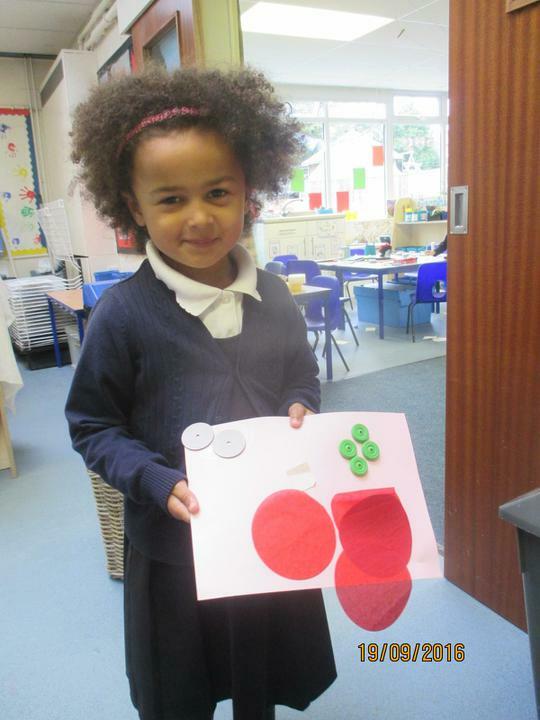 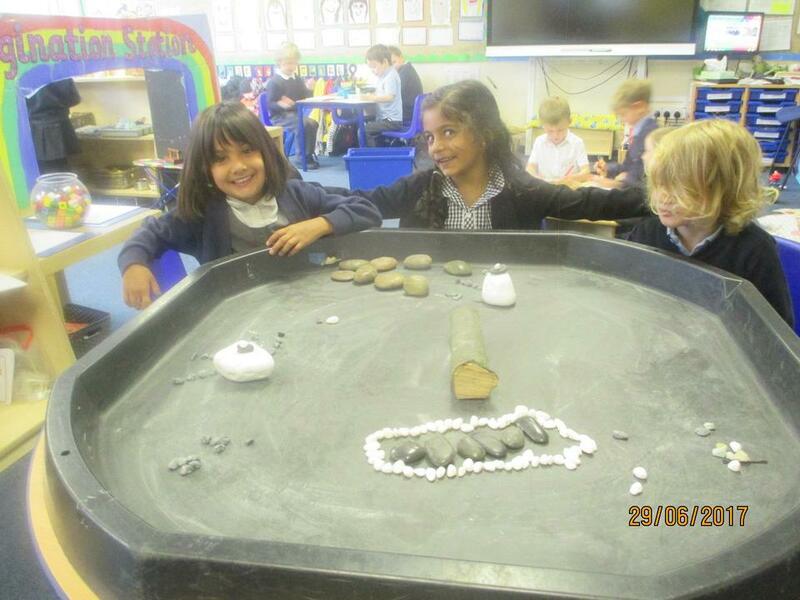 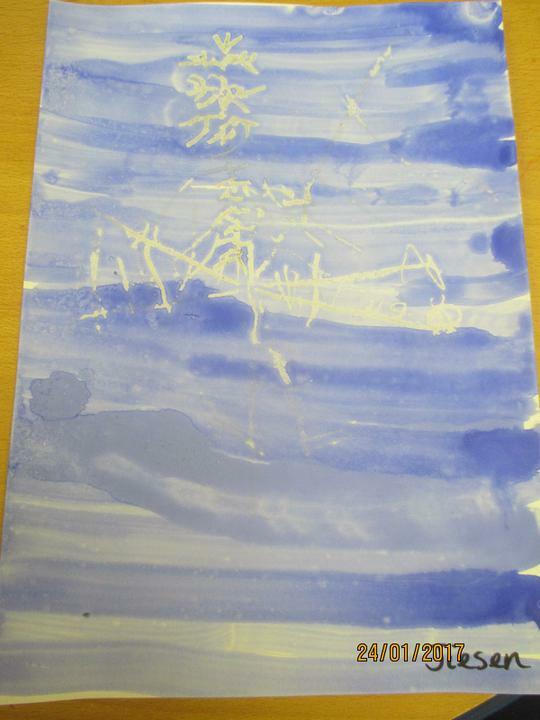 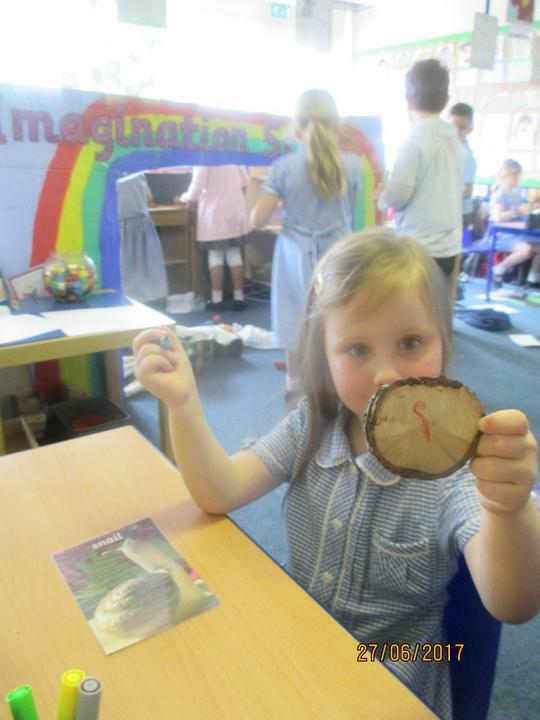 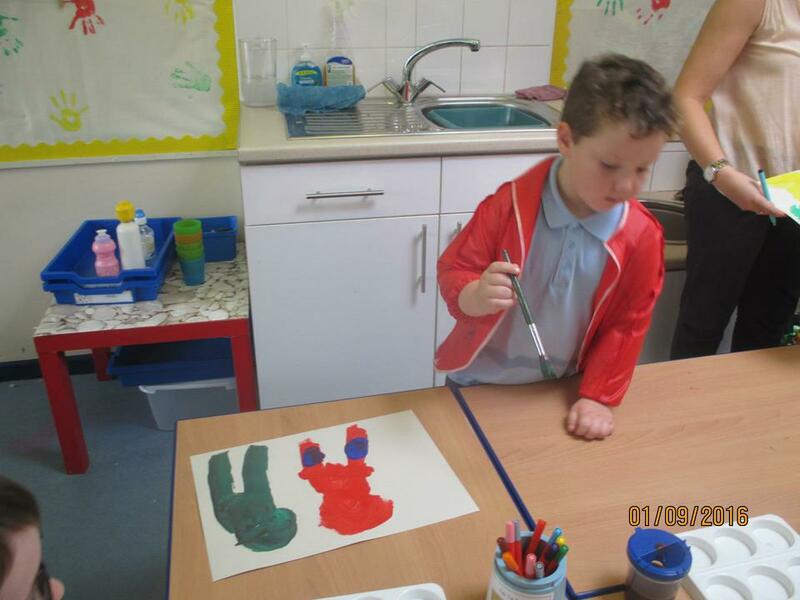 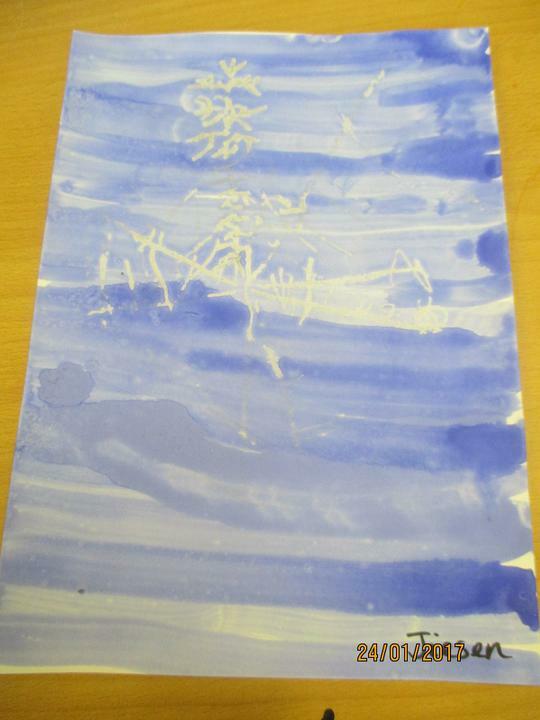 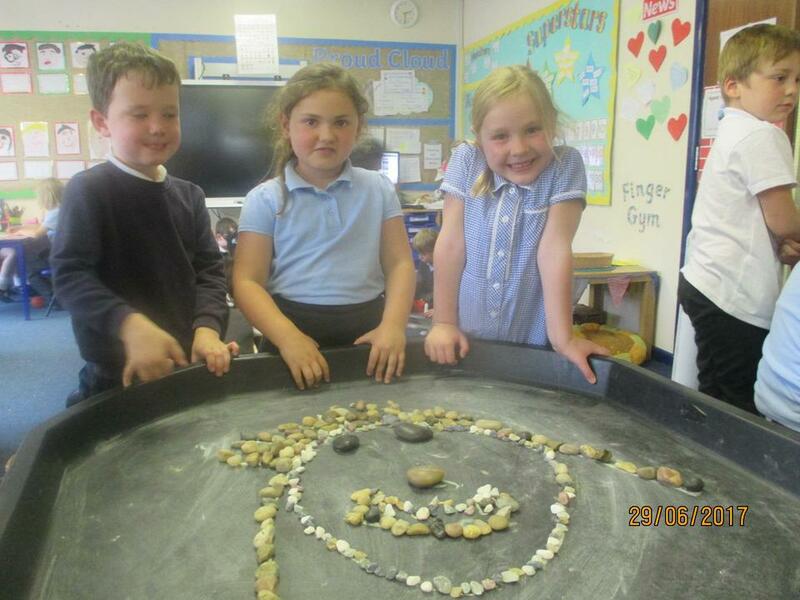 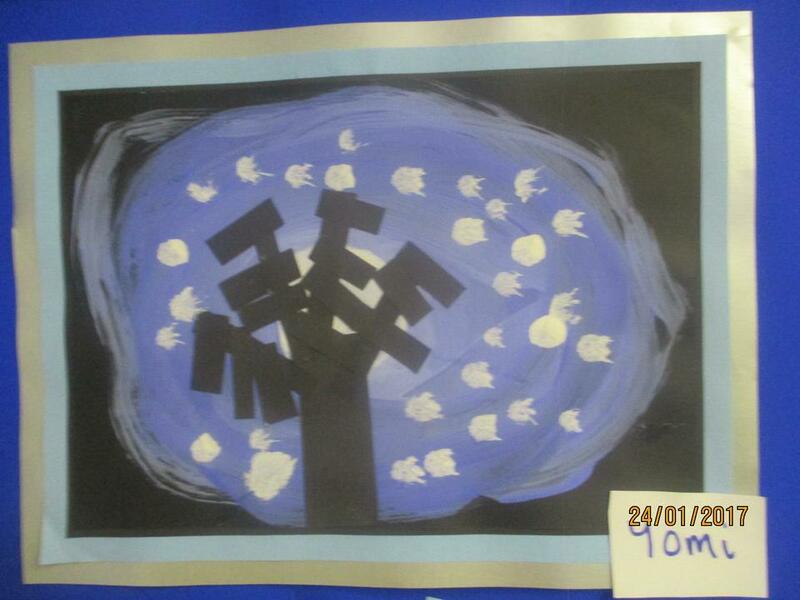 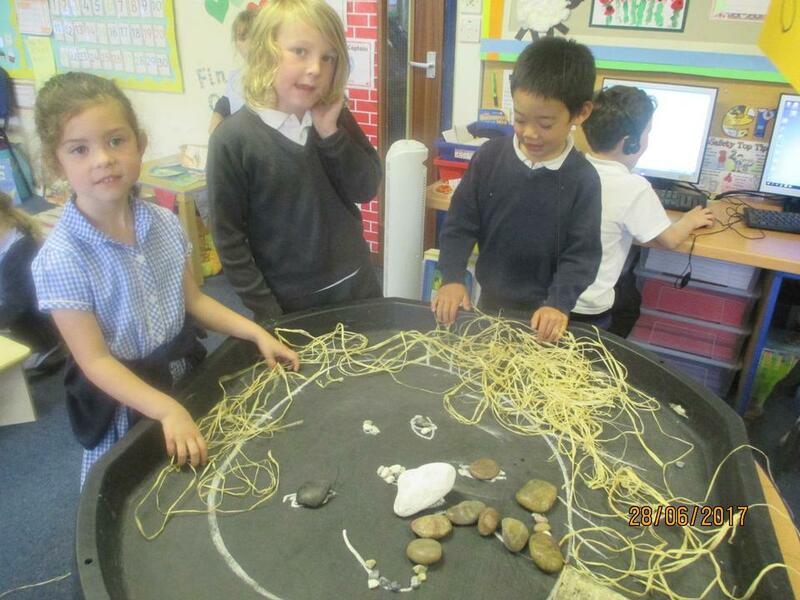 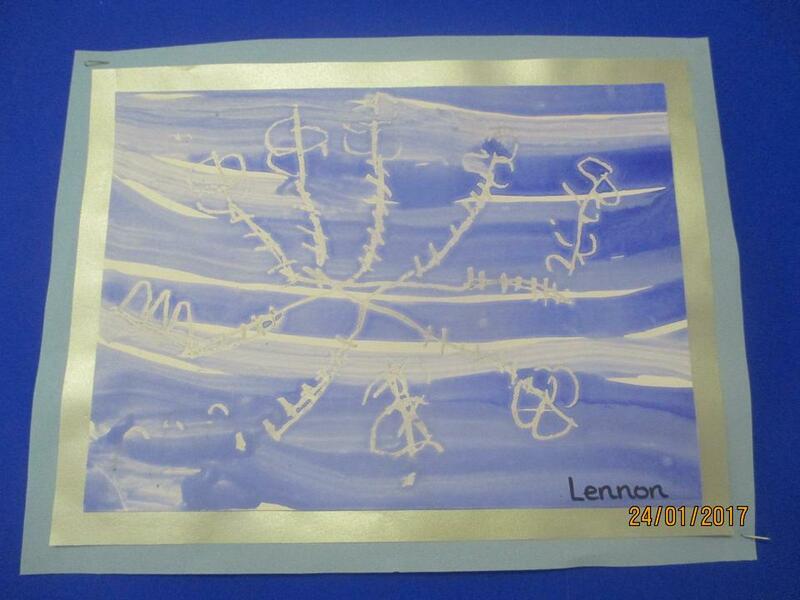 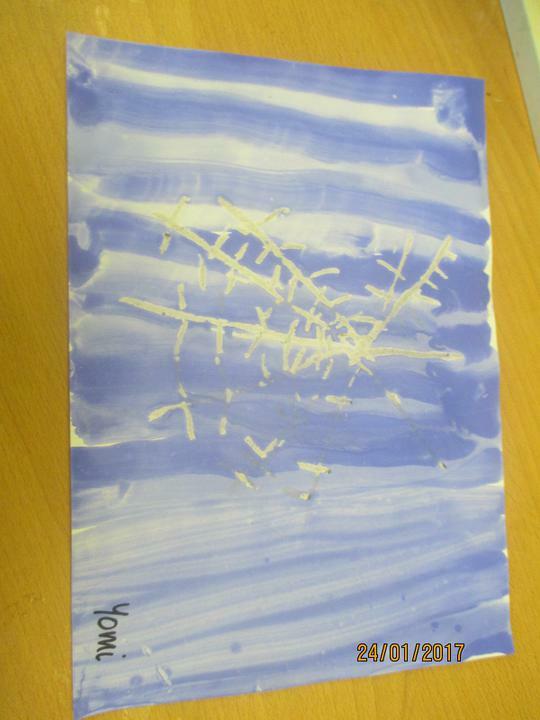 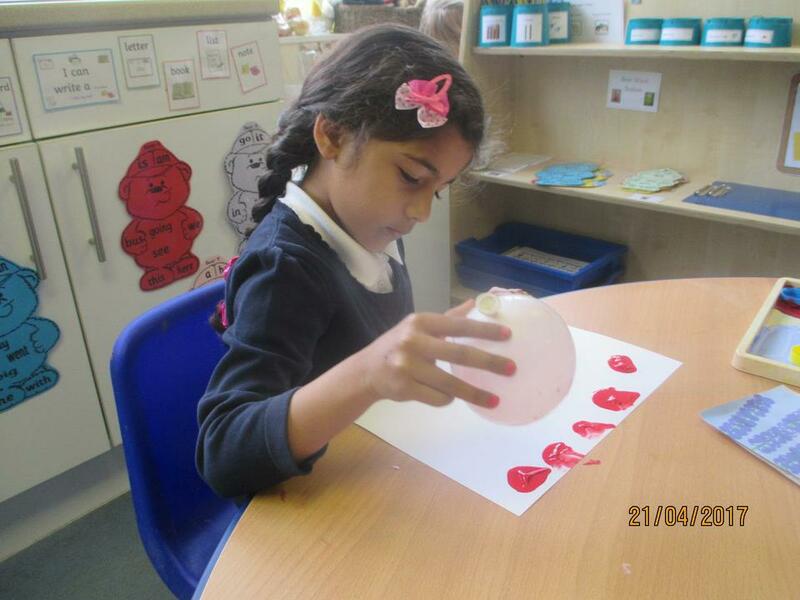 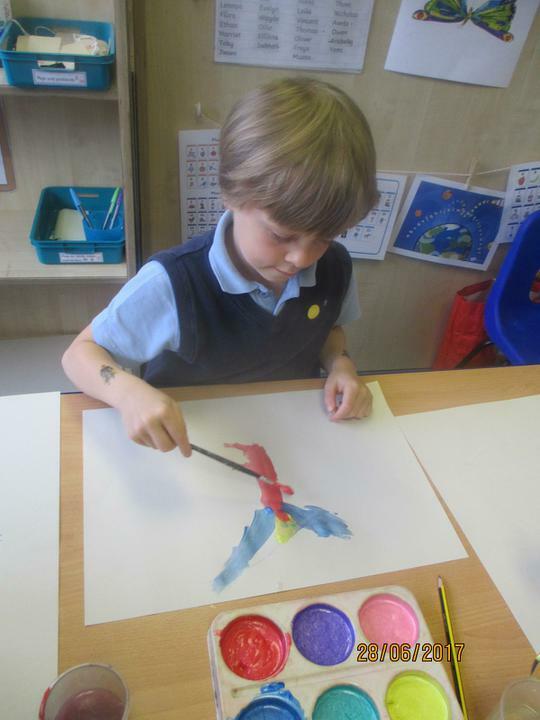 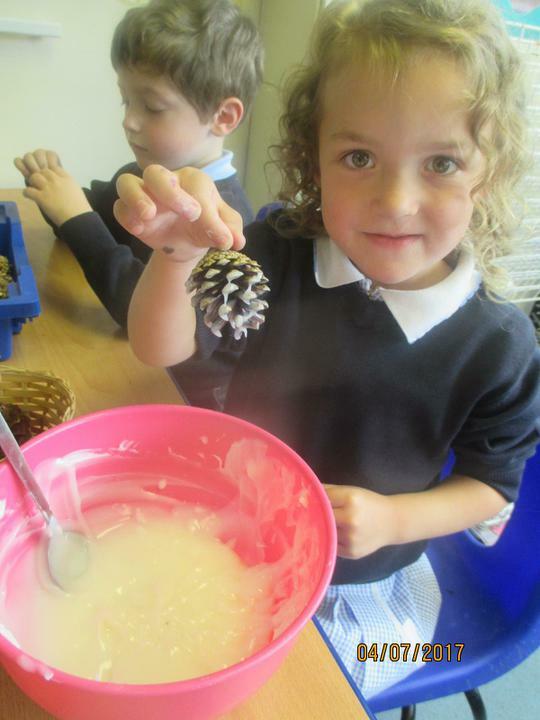 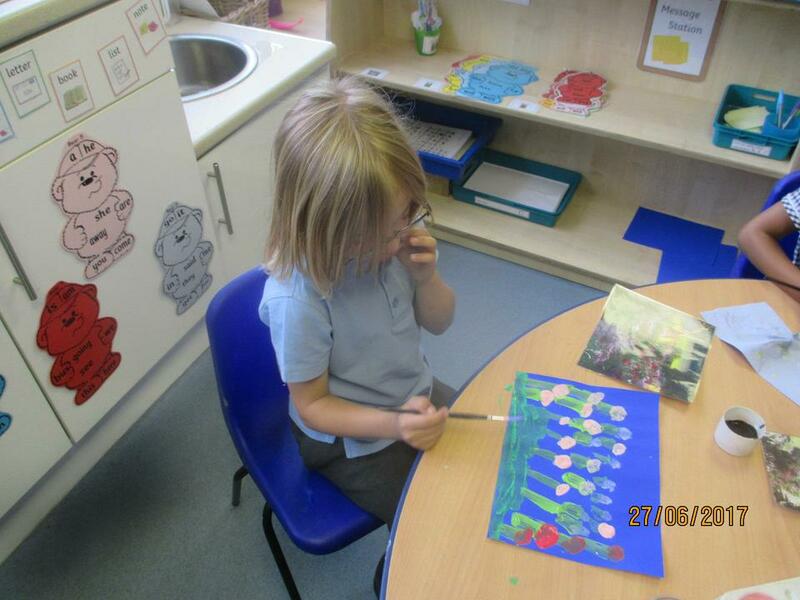 We have already been using natural resources in our art work and also comparing object sizes as part of our maths work. 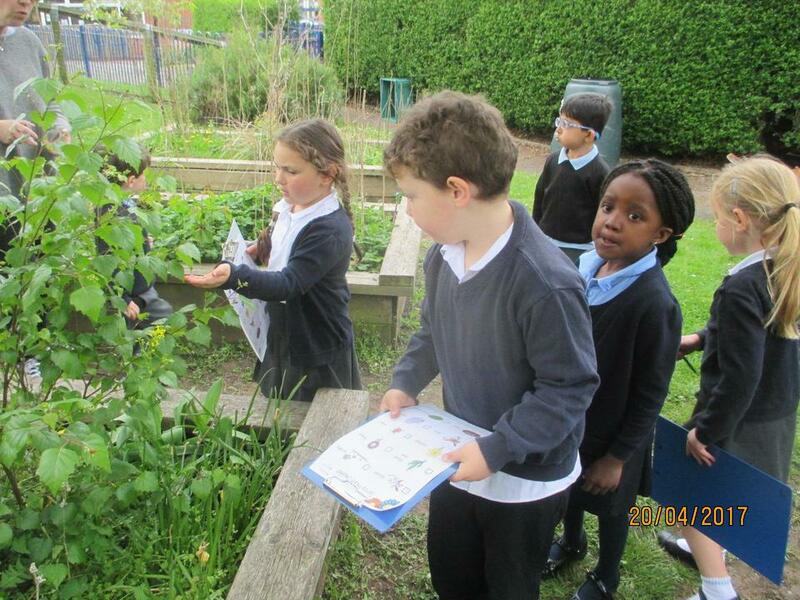 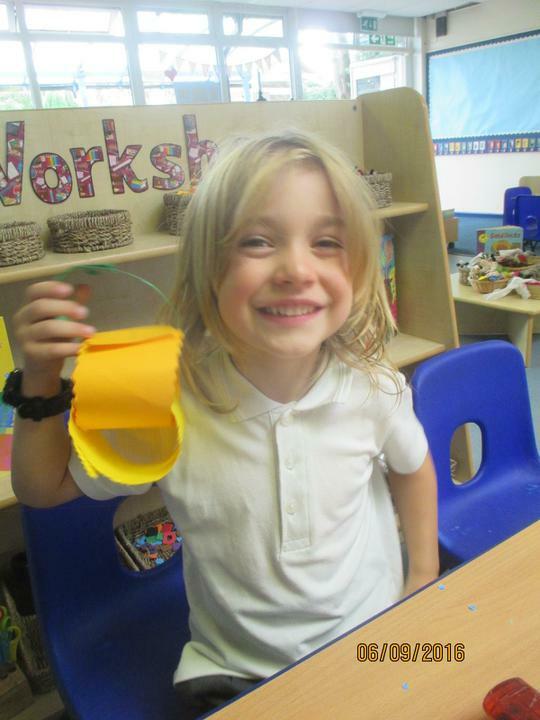 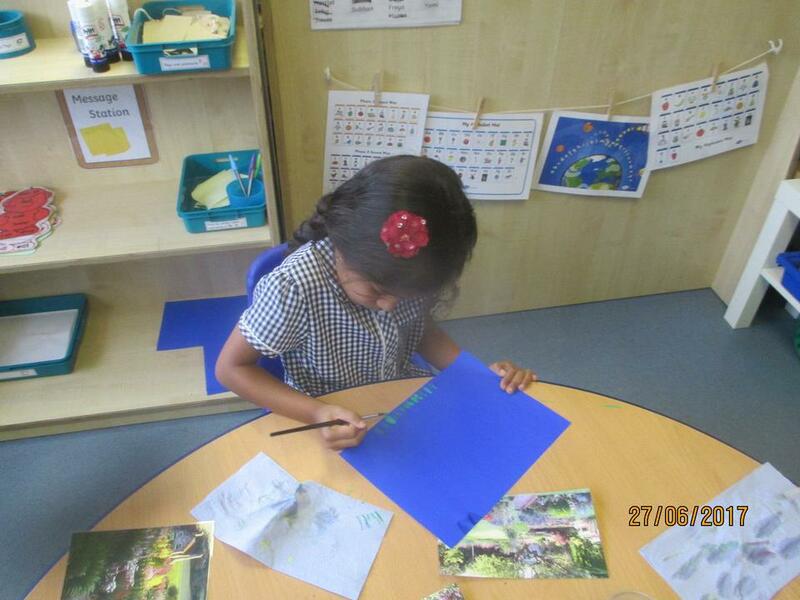 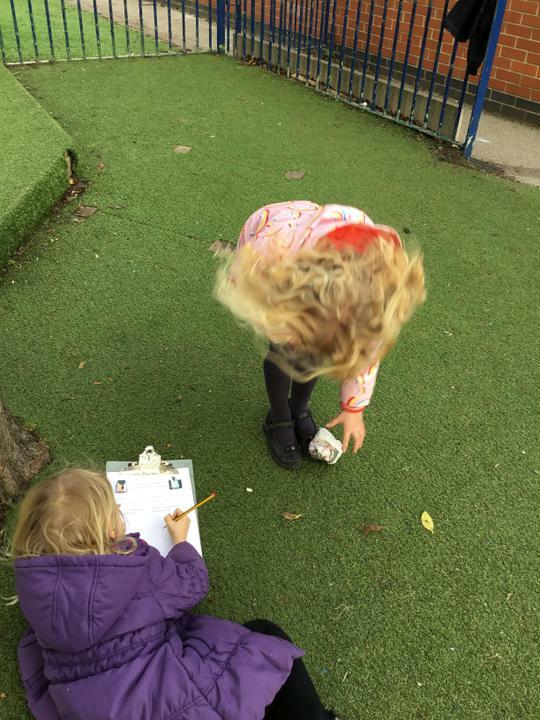 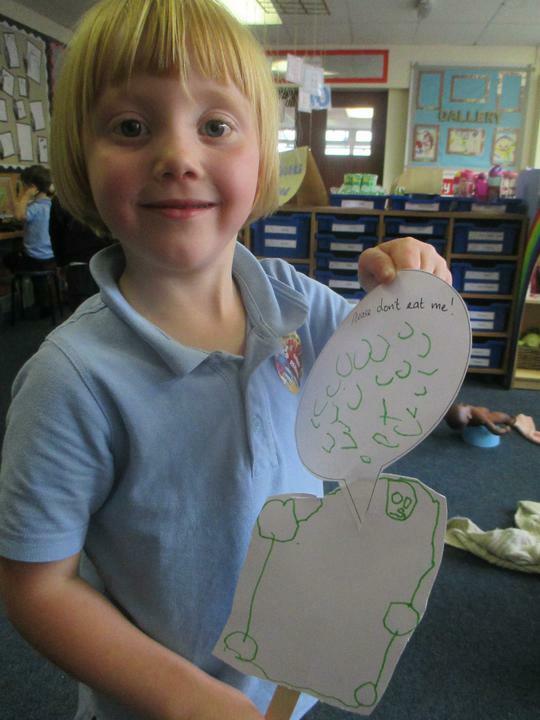 Our topic book is 'We're going on a leaf hunt' and one of our literacy activities will be creating a story map. 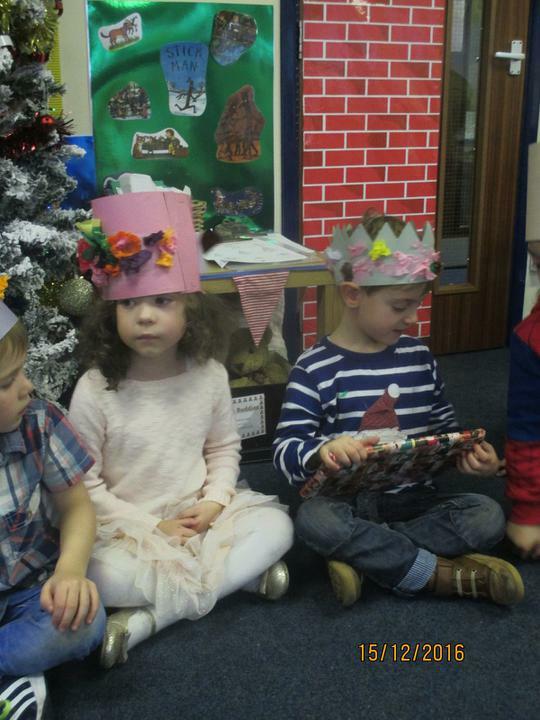 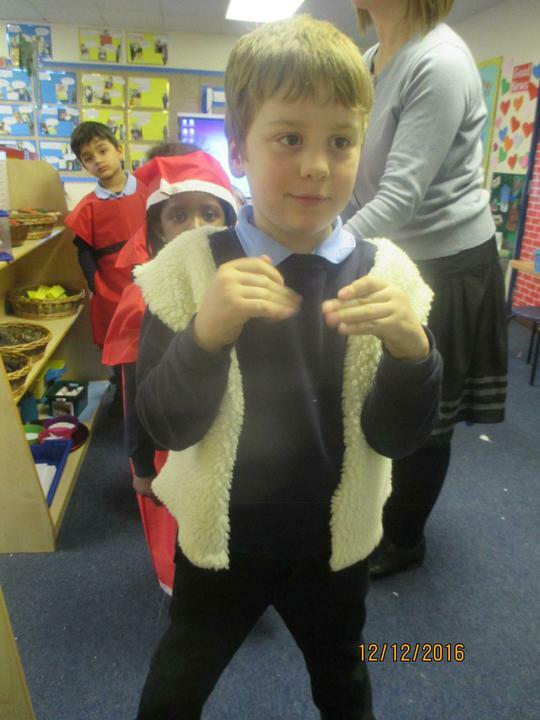 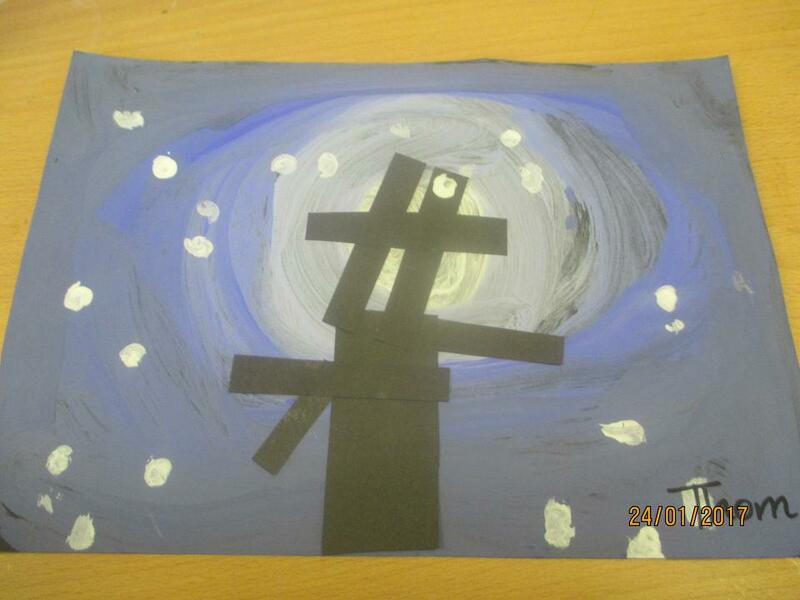 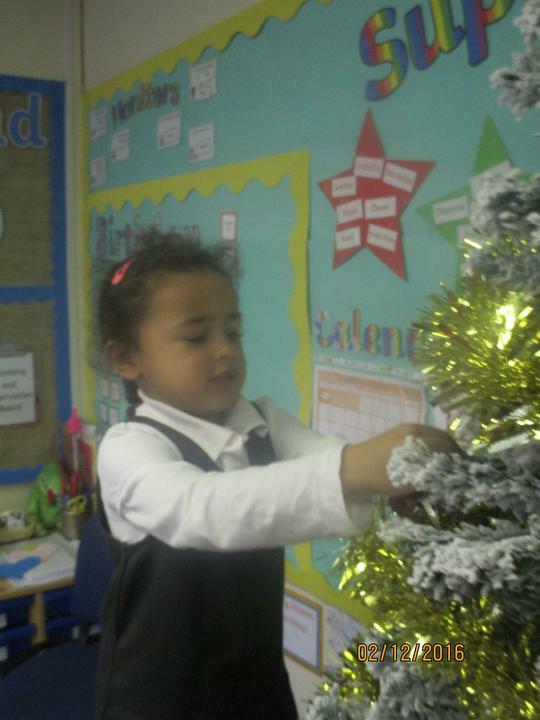 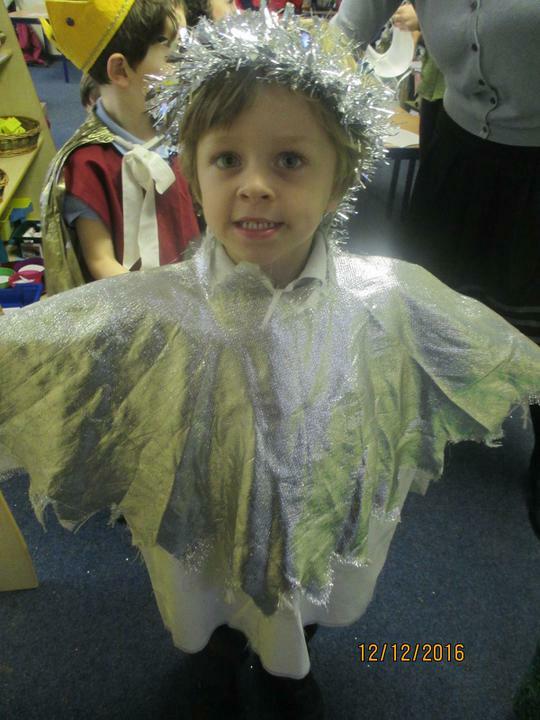 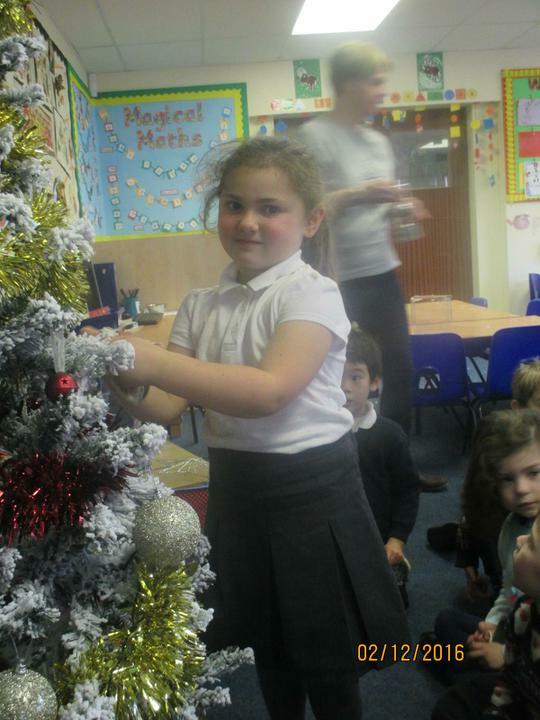 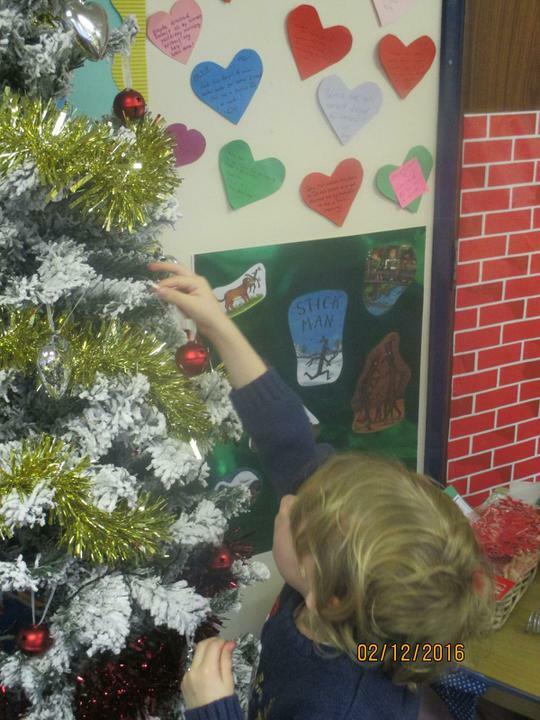 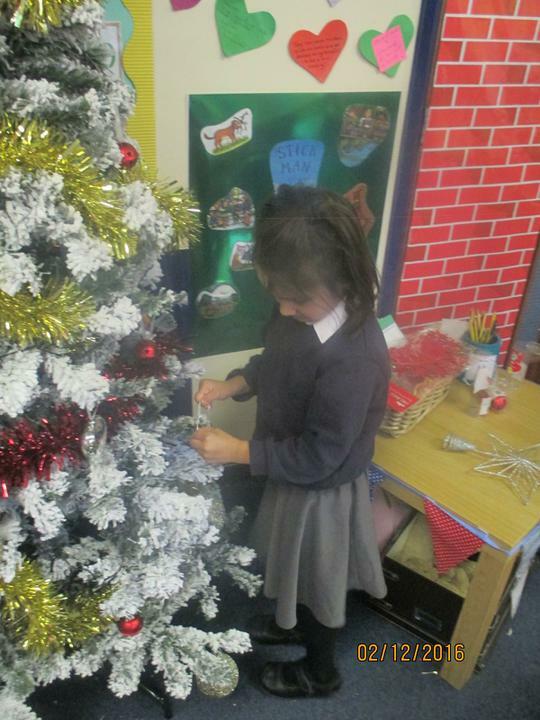 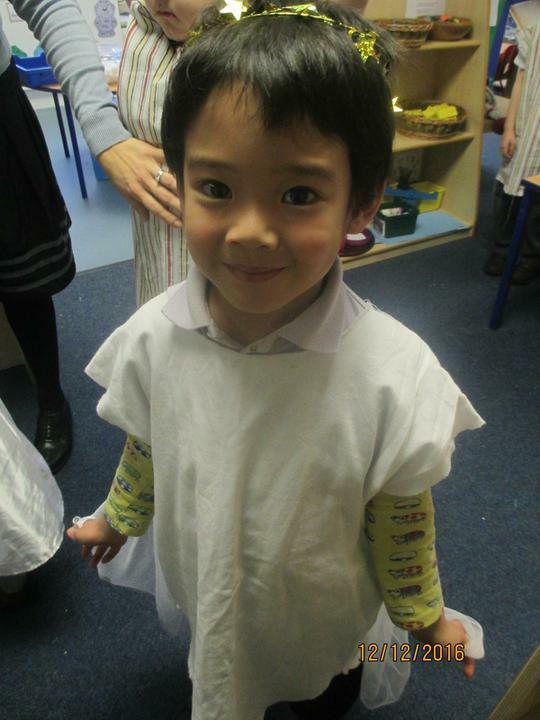 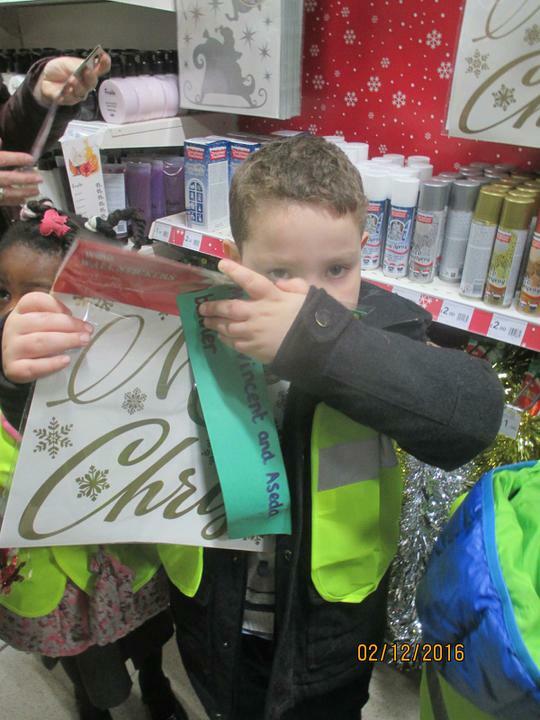 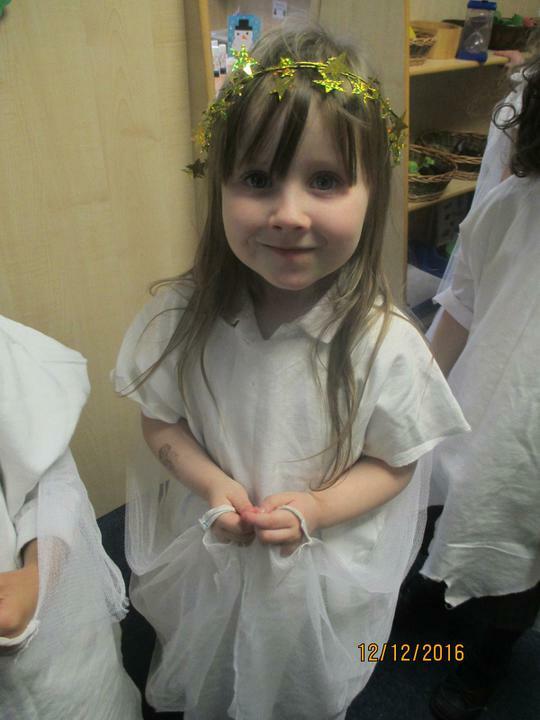 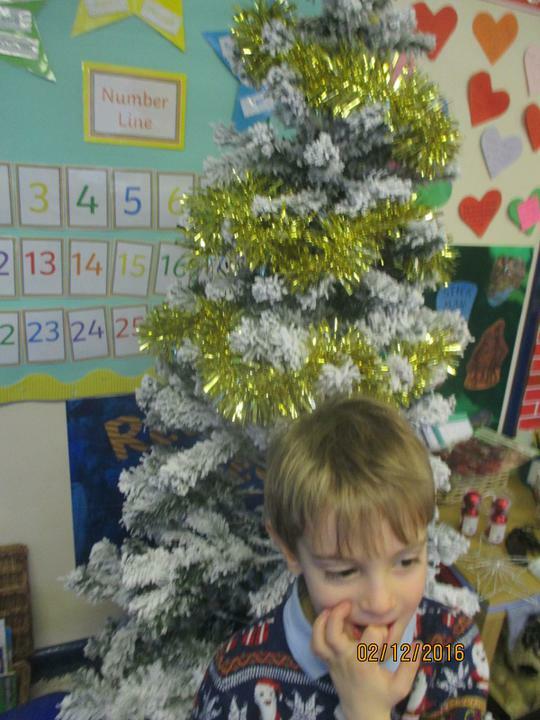 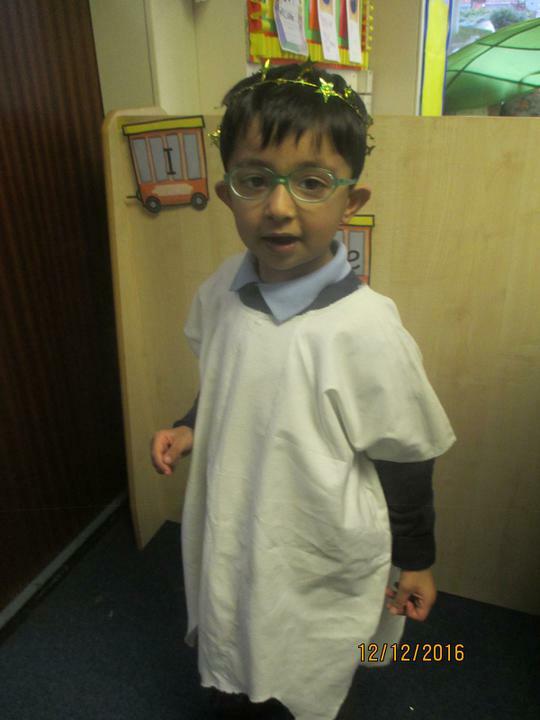 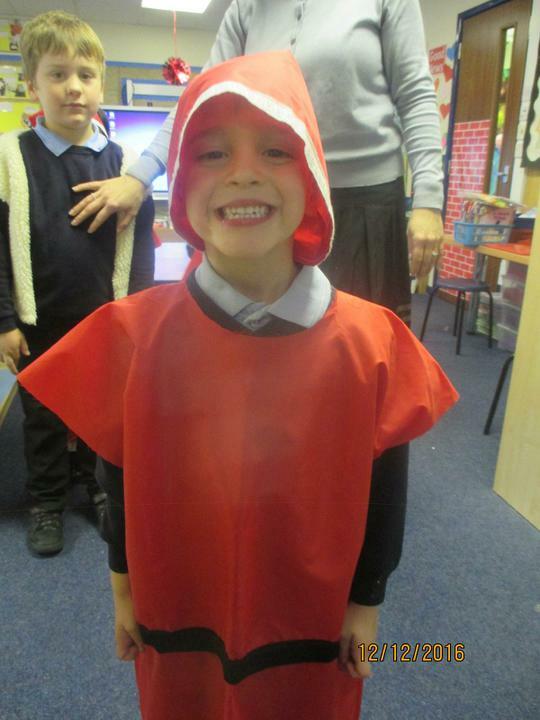 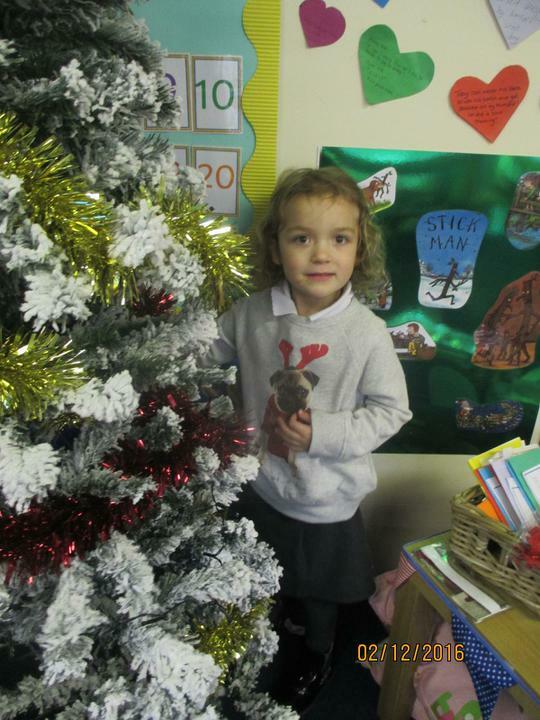 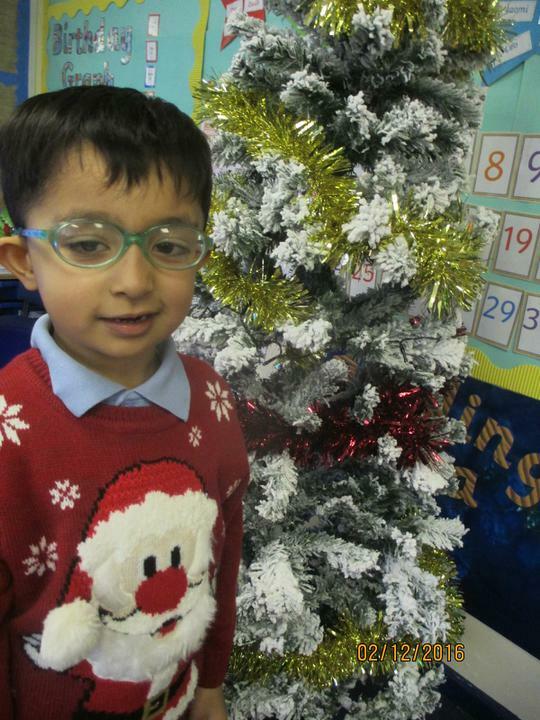 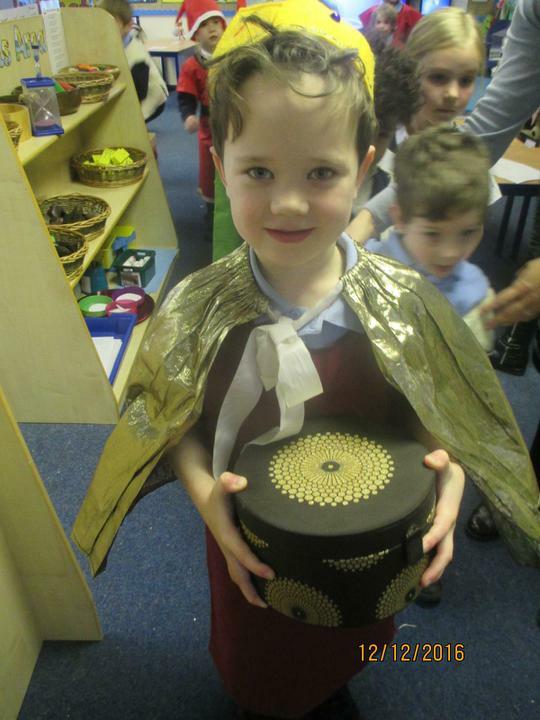 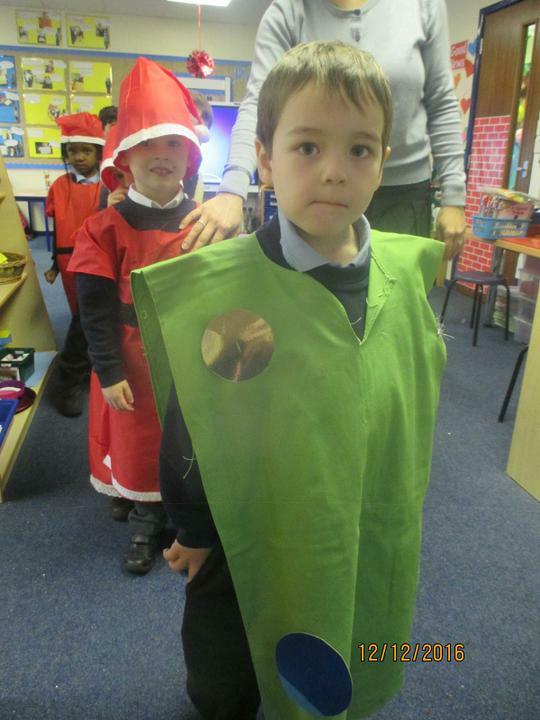 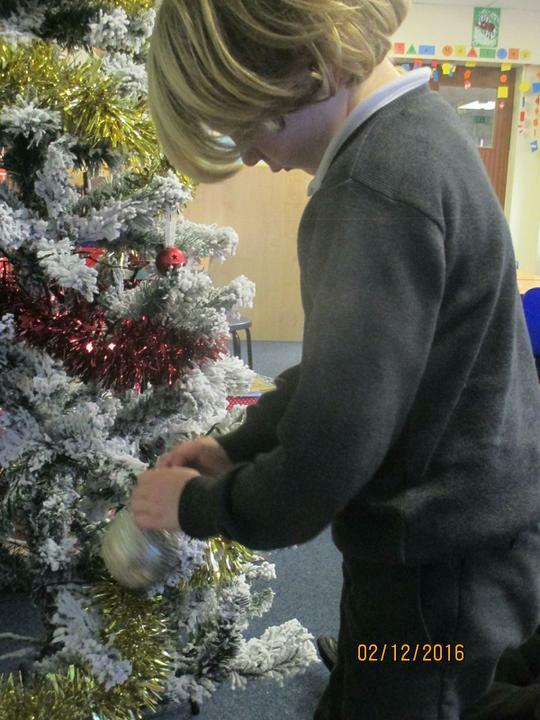 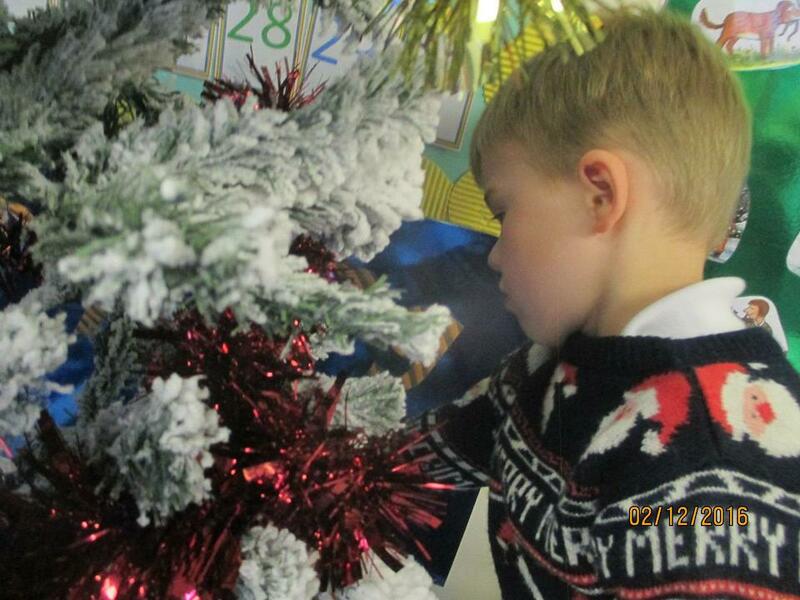 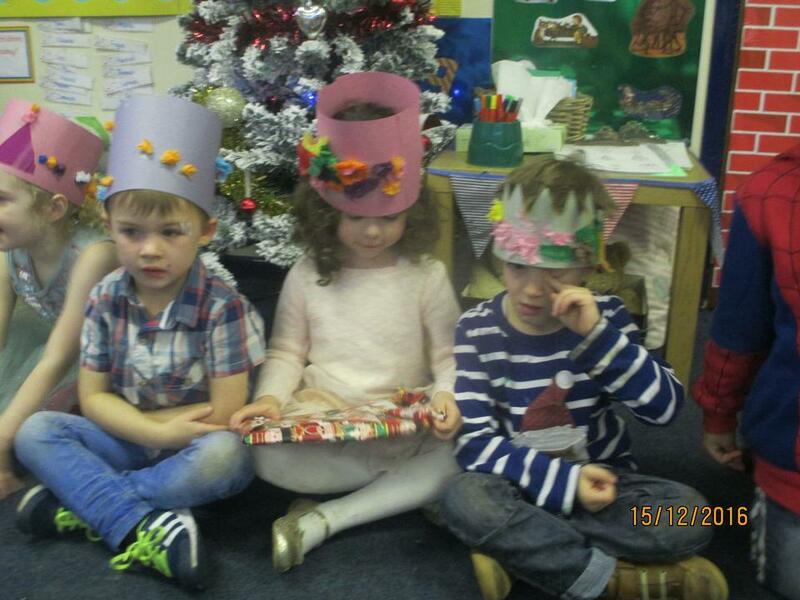 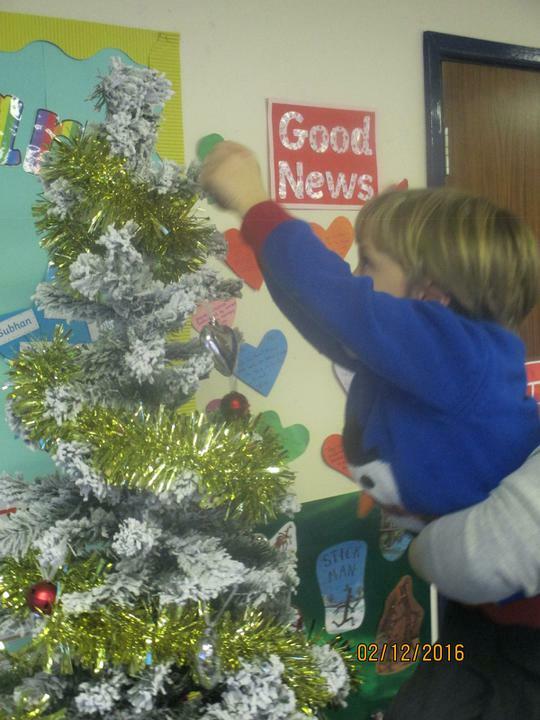 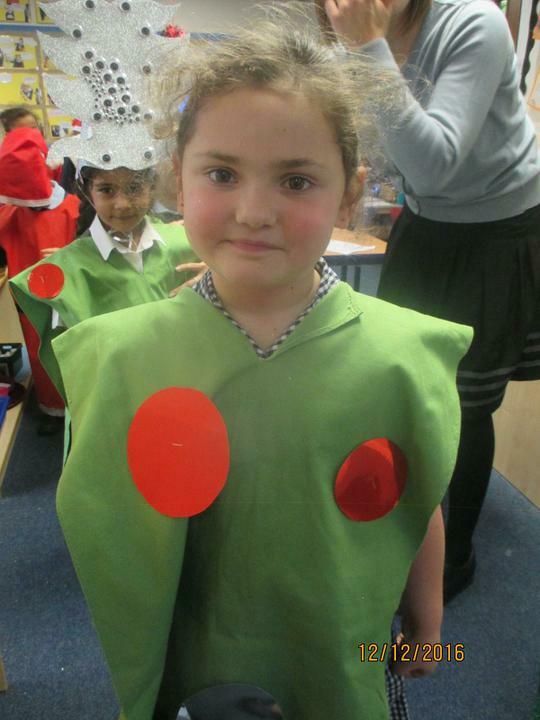 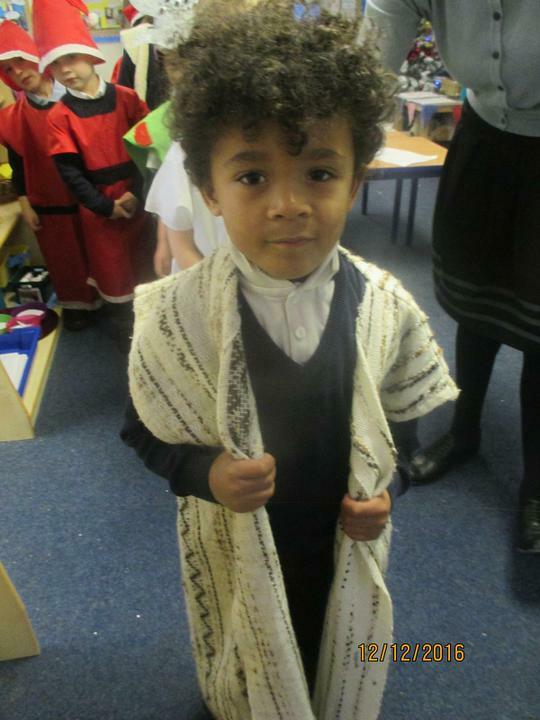 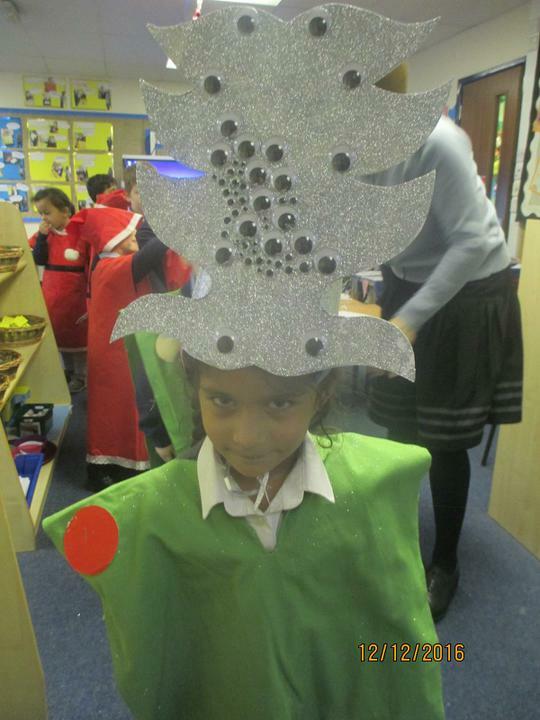 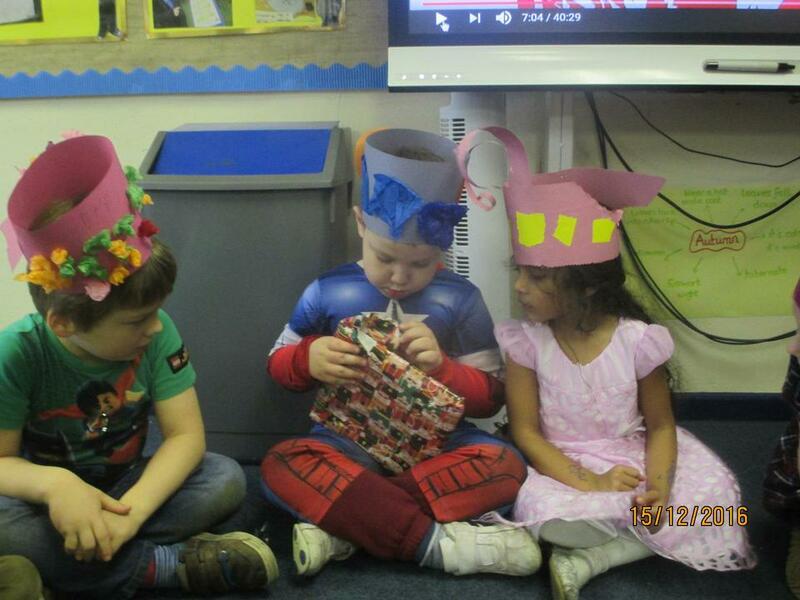 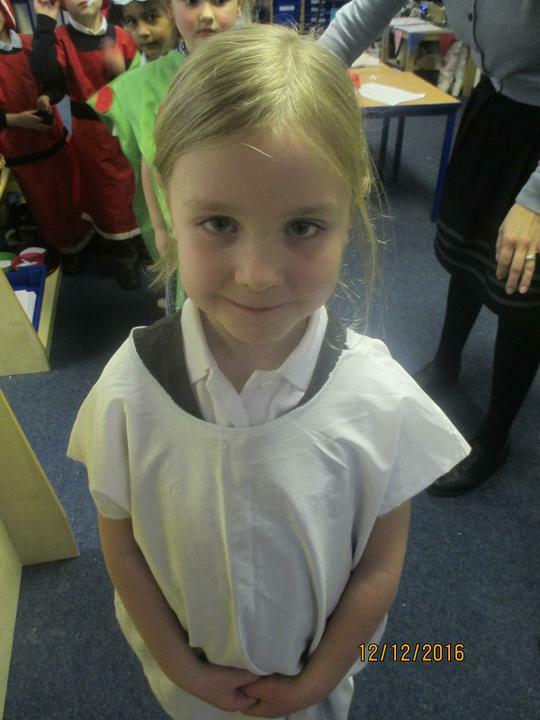 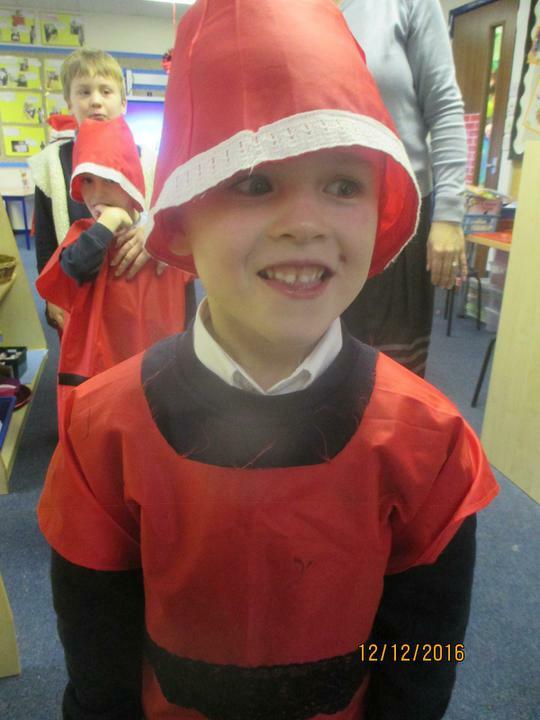 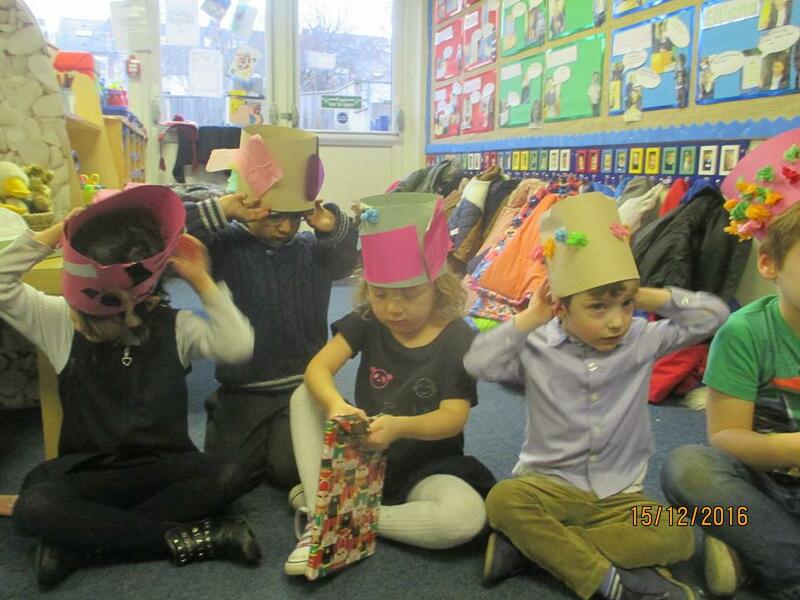 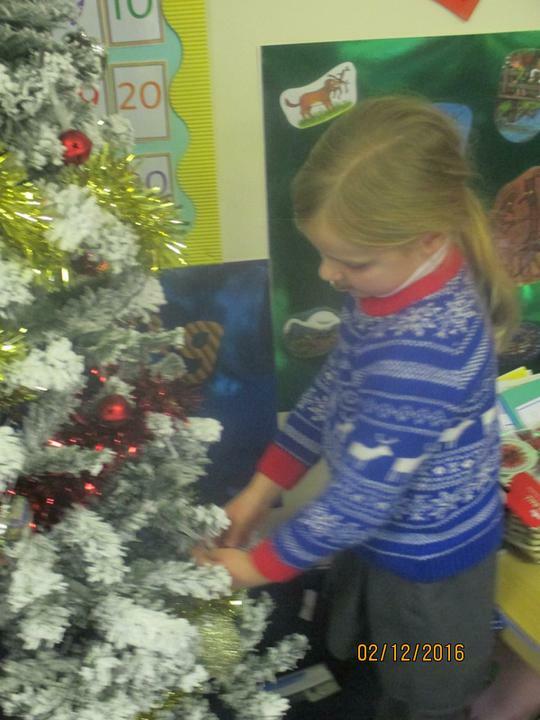 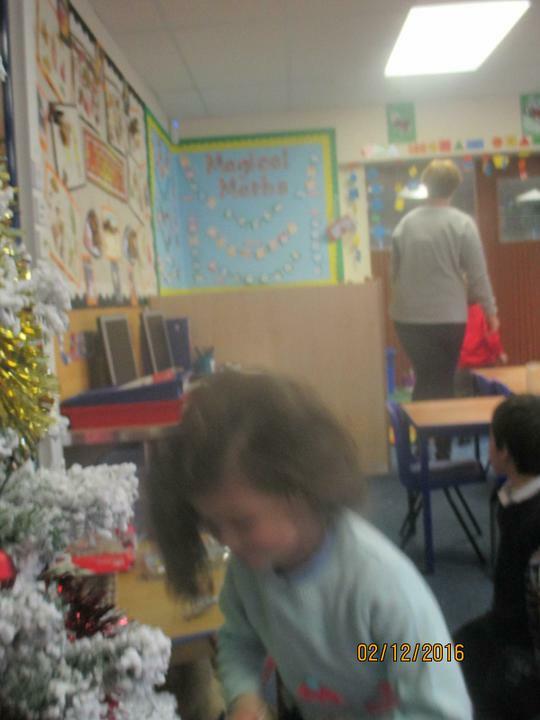 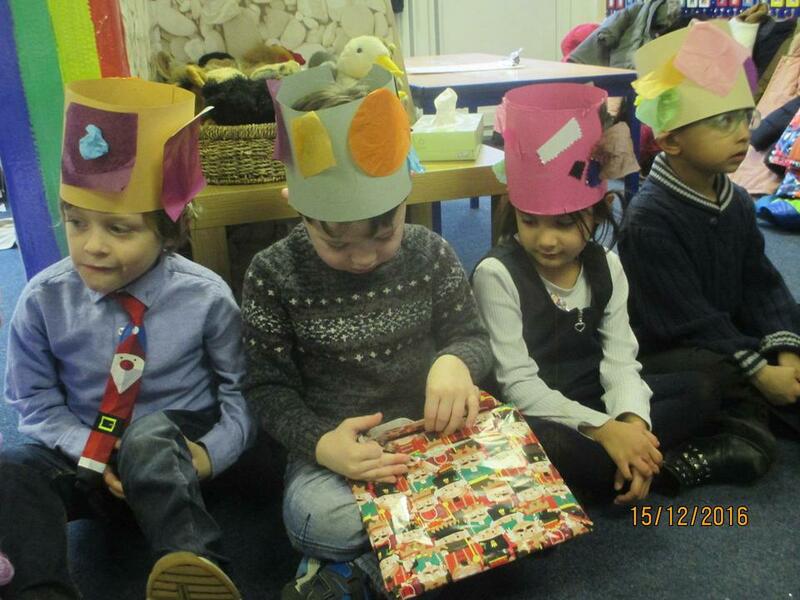 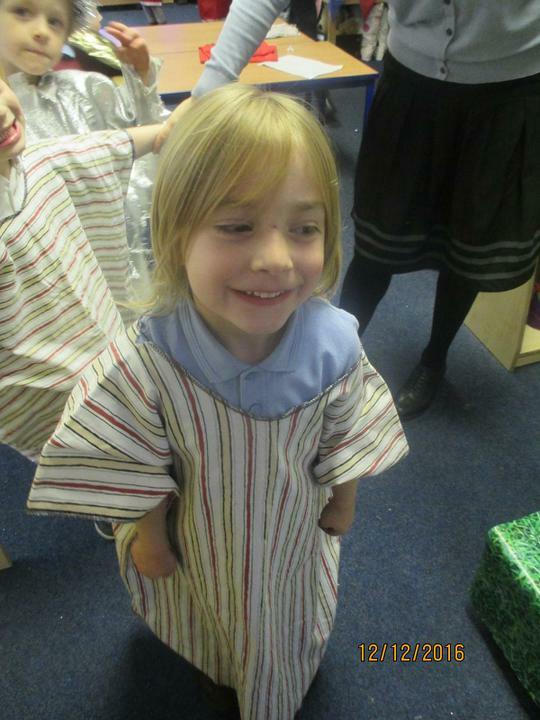 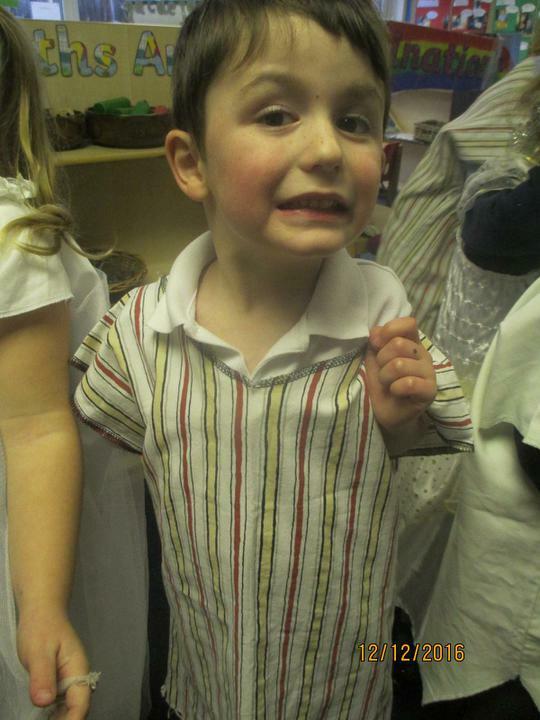 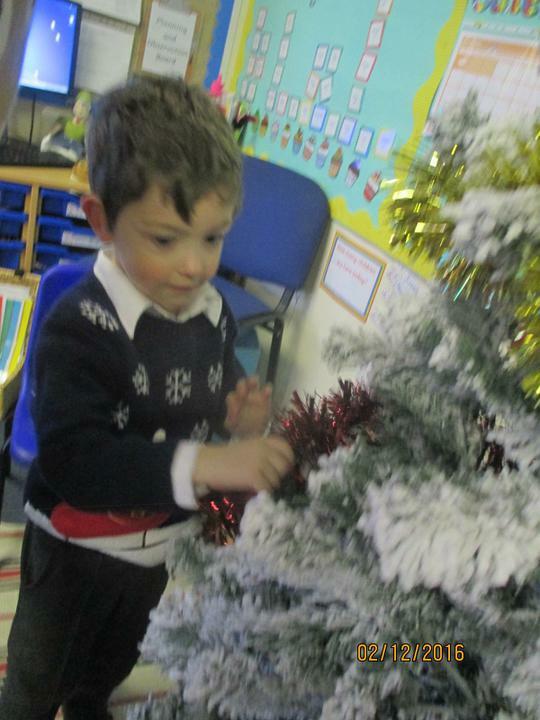 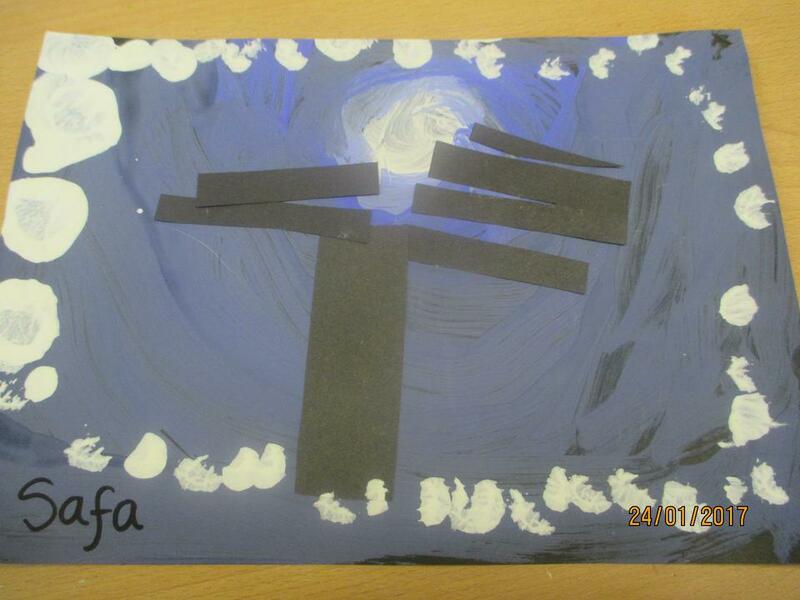 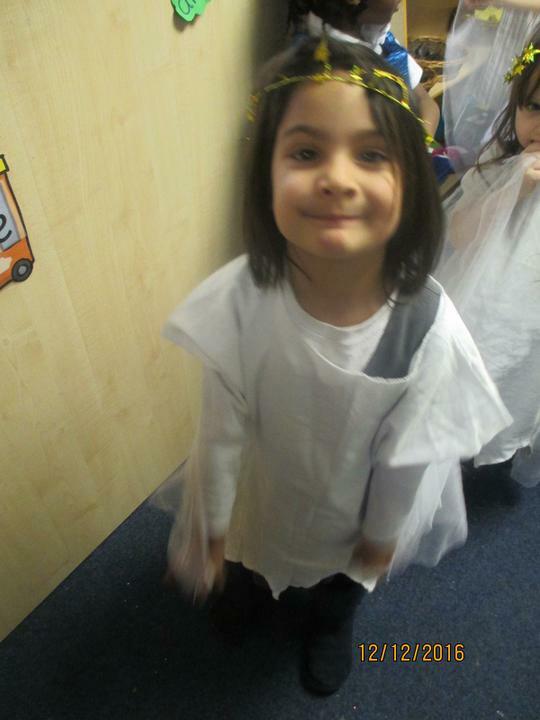 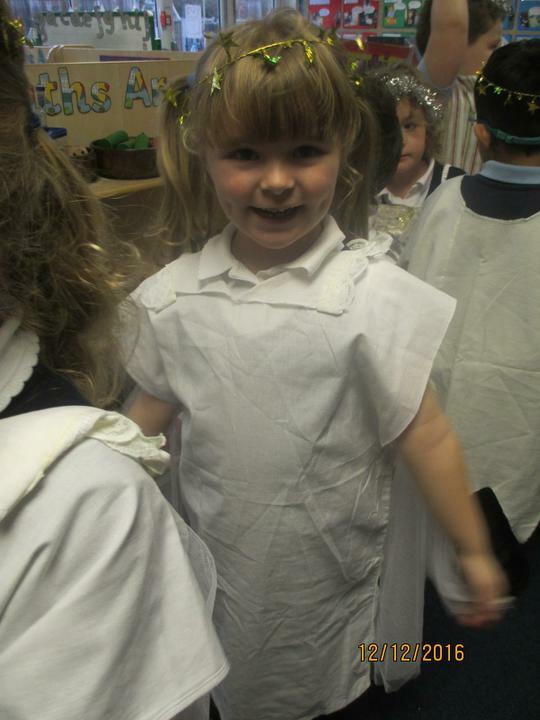 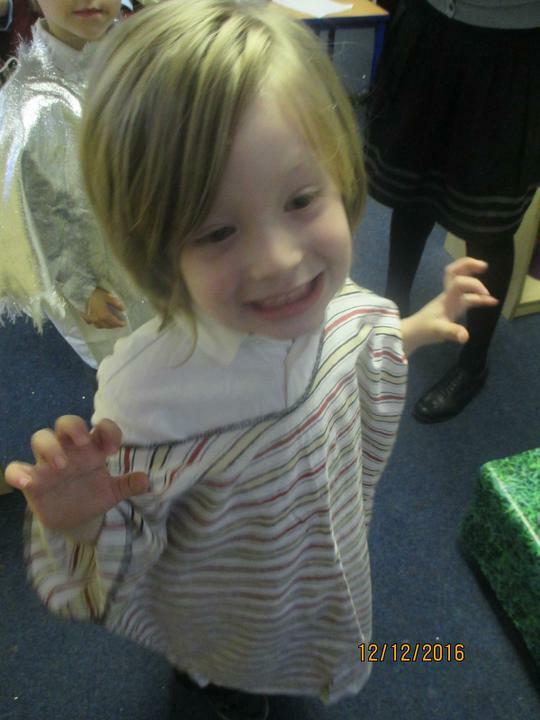 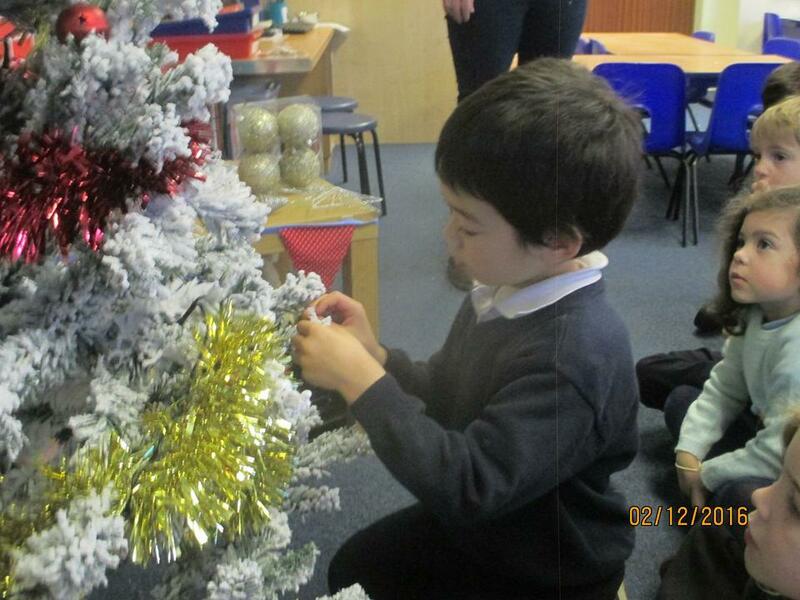 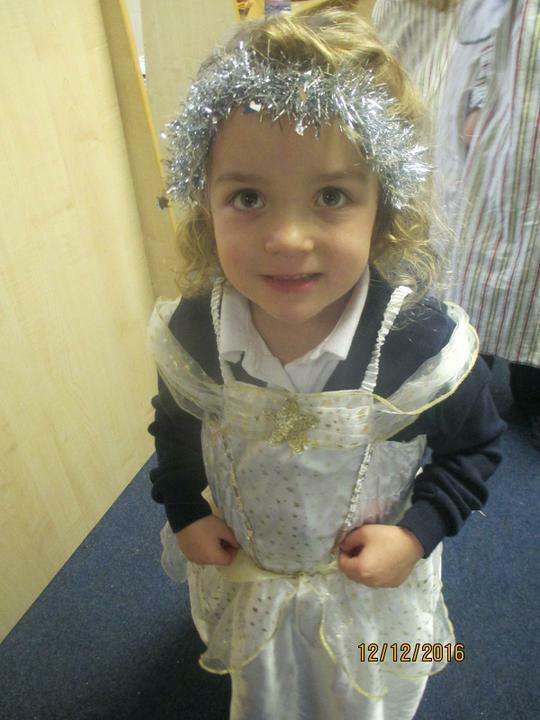 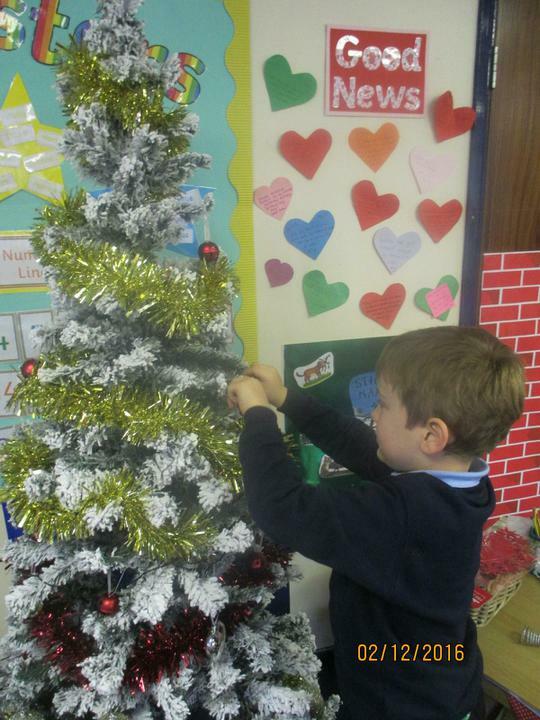 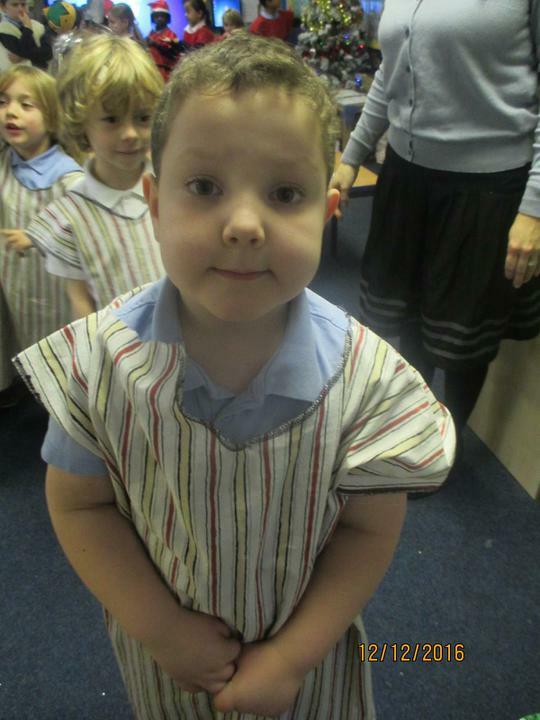 Later in the term, we will be learning about the Christmas Story and practising for our small end of the year concert. 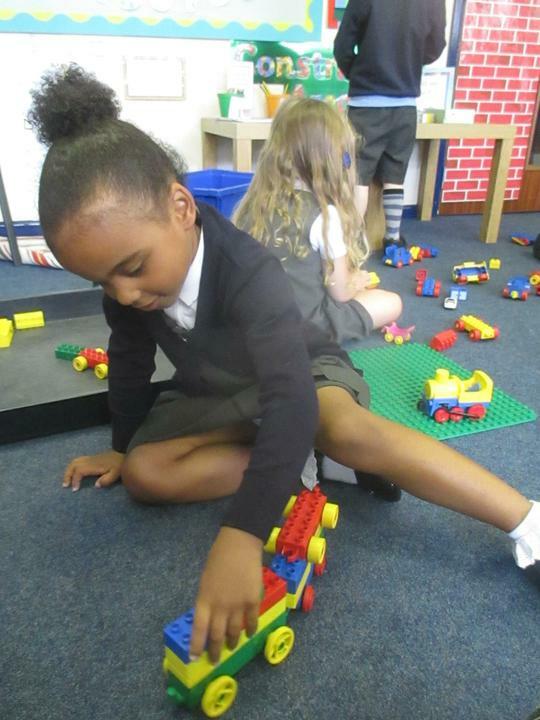 We started school for the first time and were busy learning about the daily routines, making new friends and looking after our classrooms. 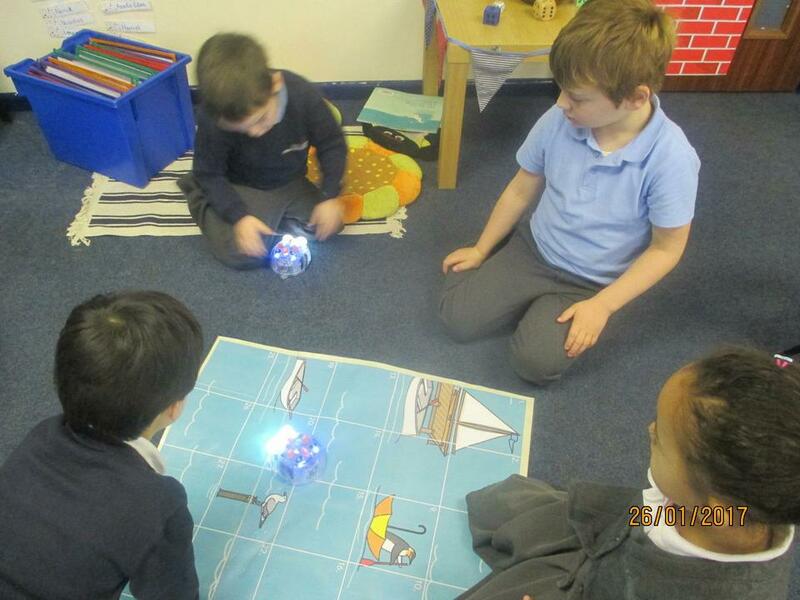 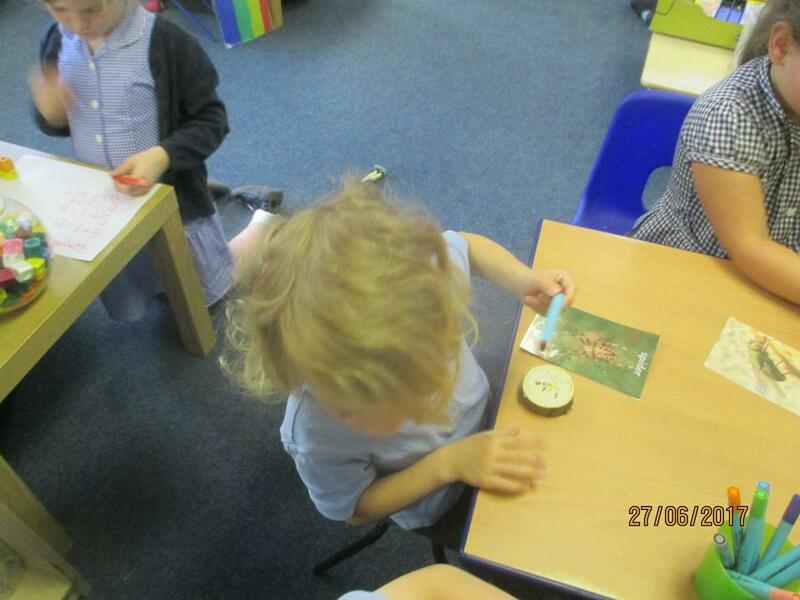 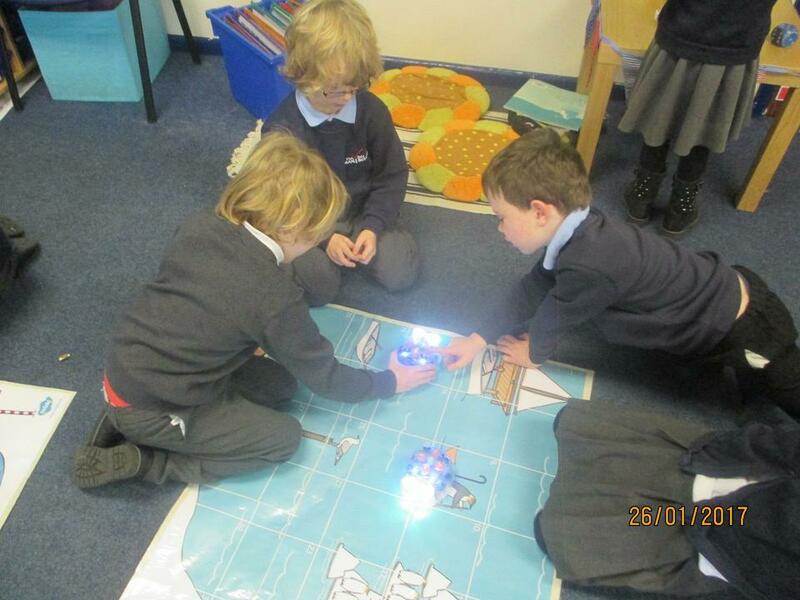 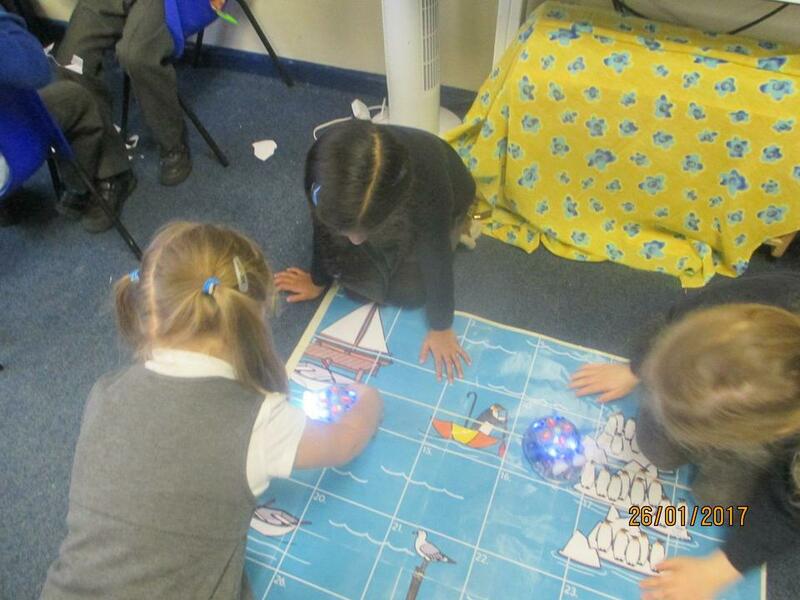 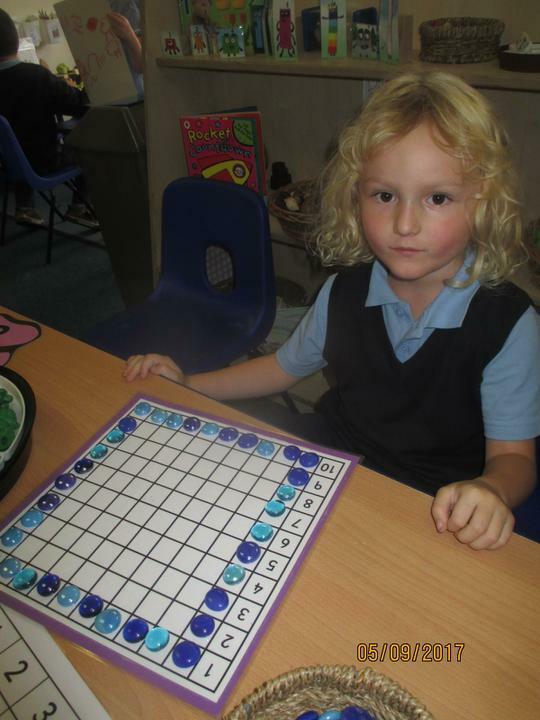 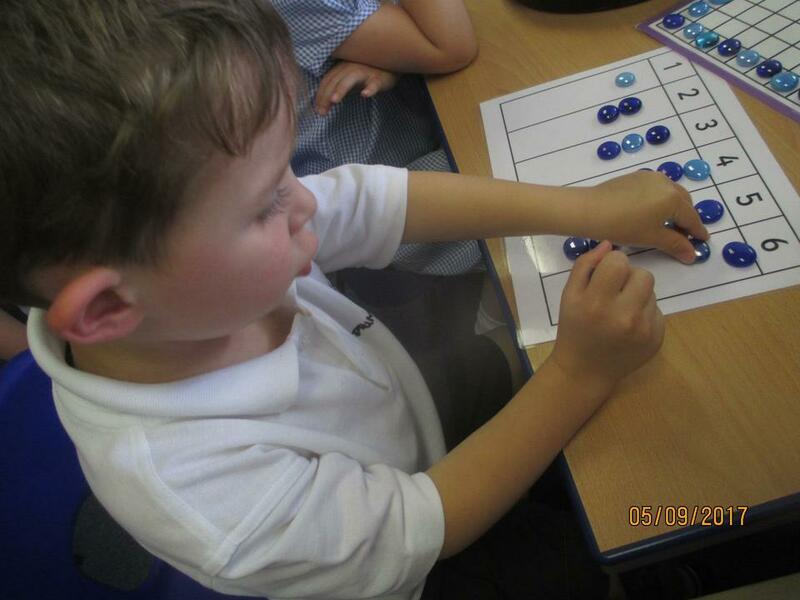 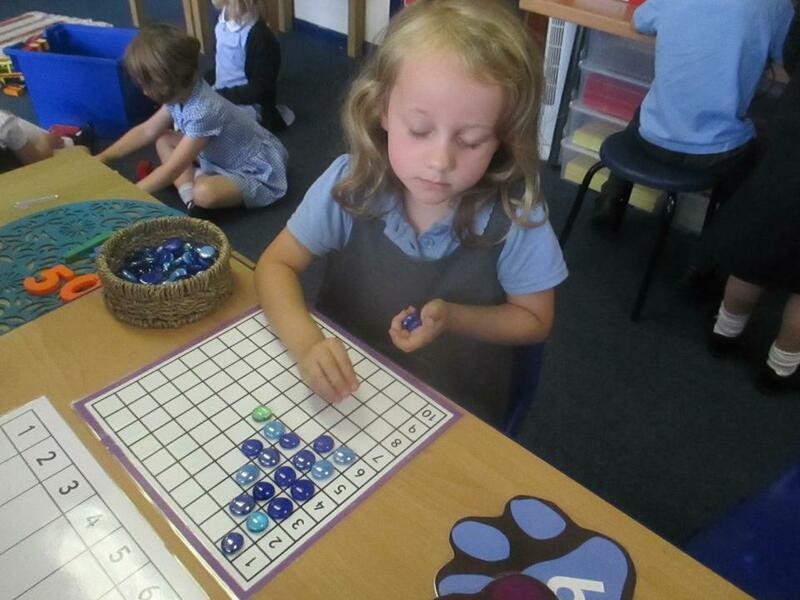 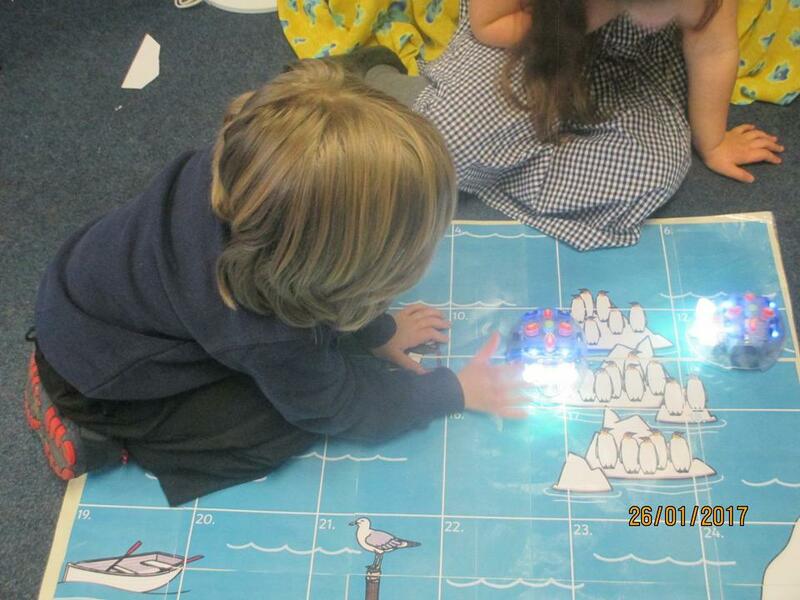 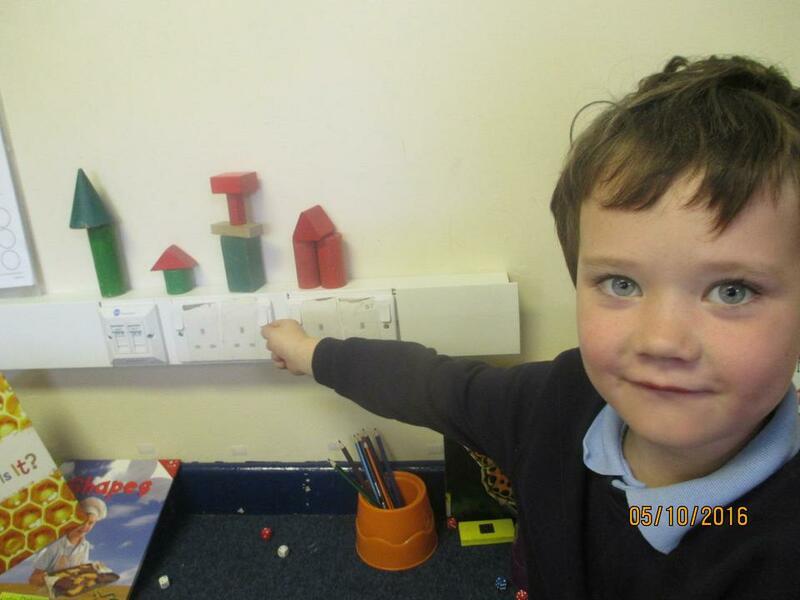 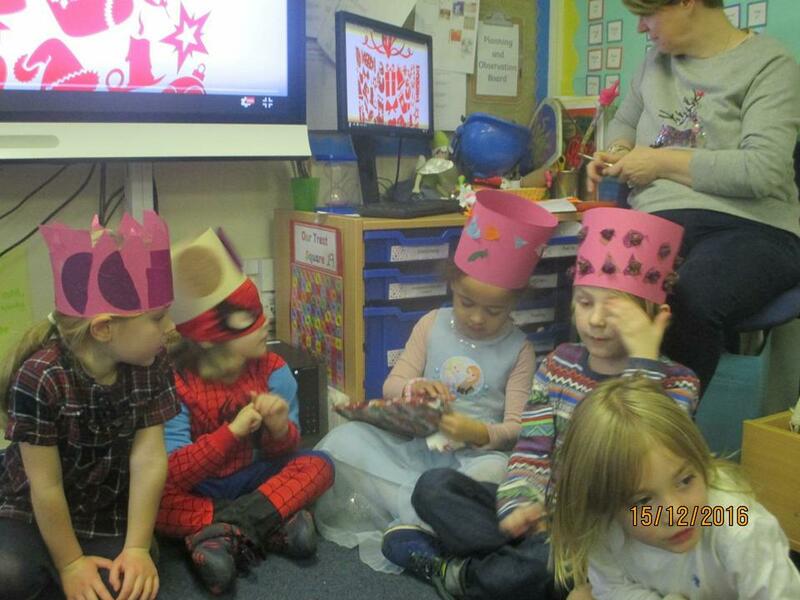 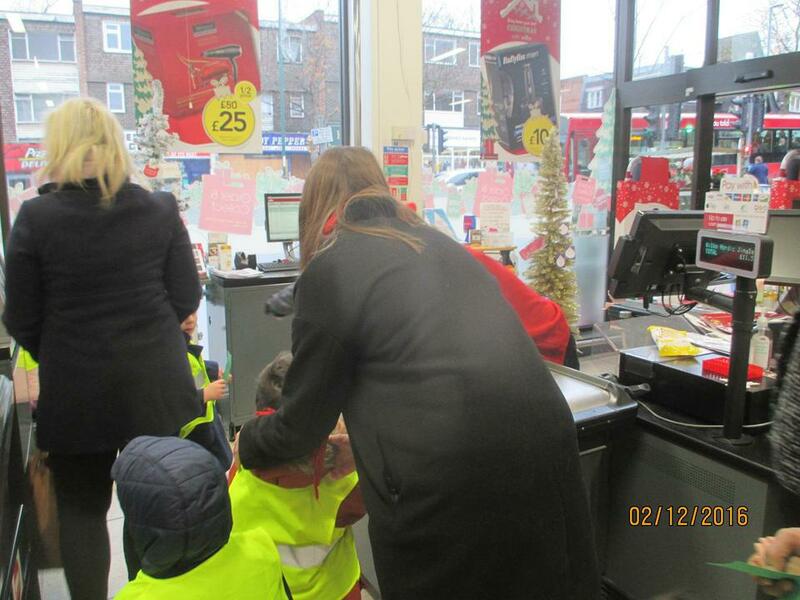 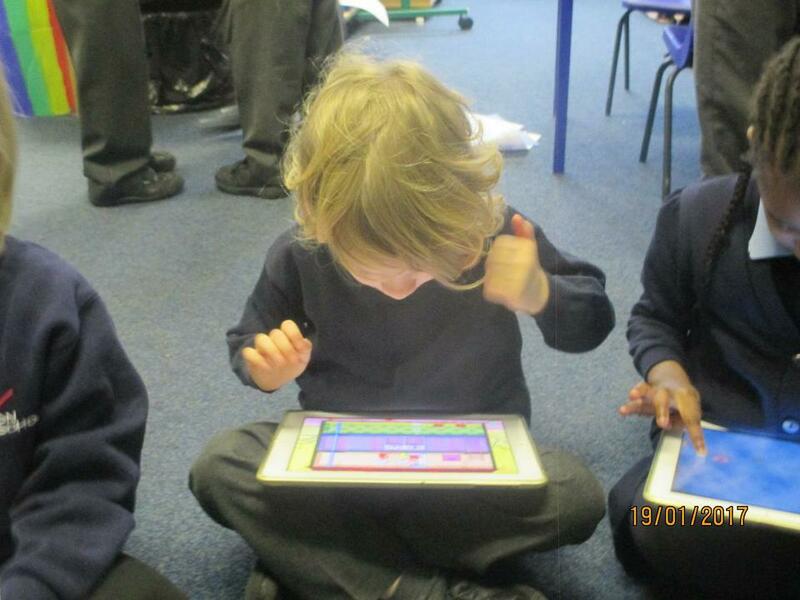 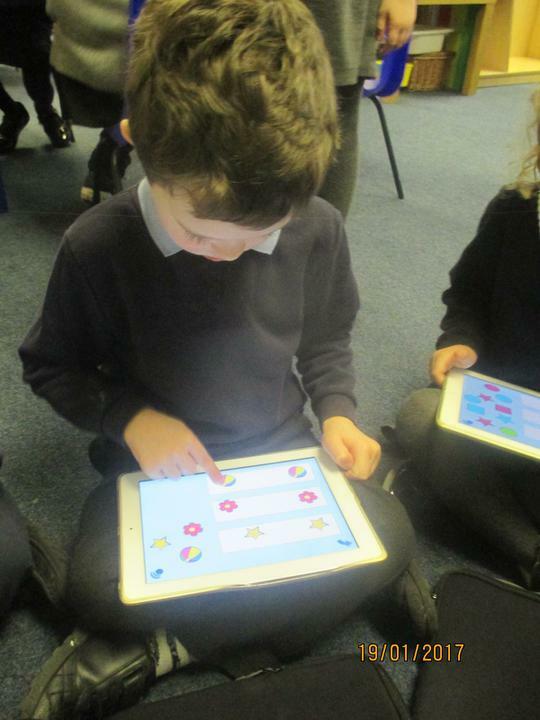 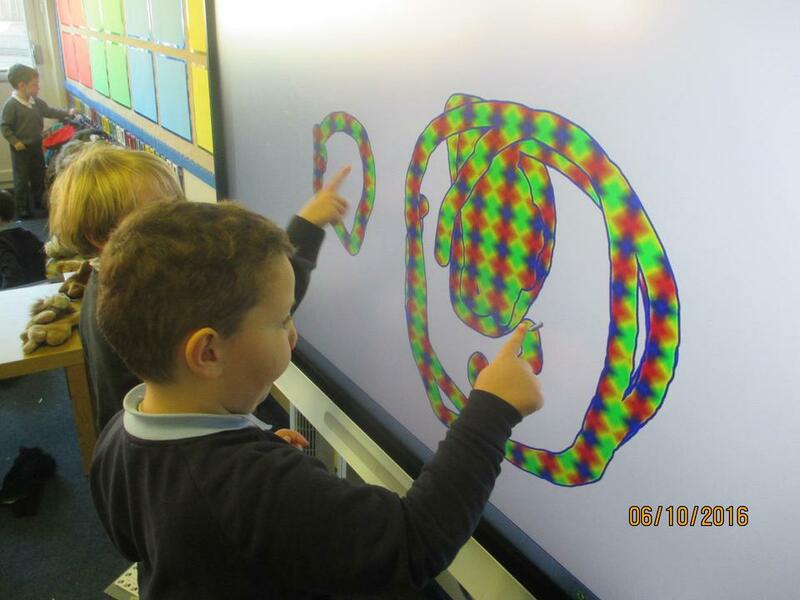 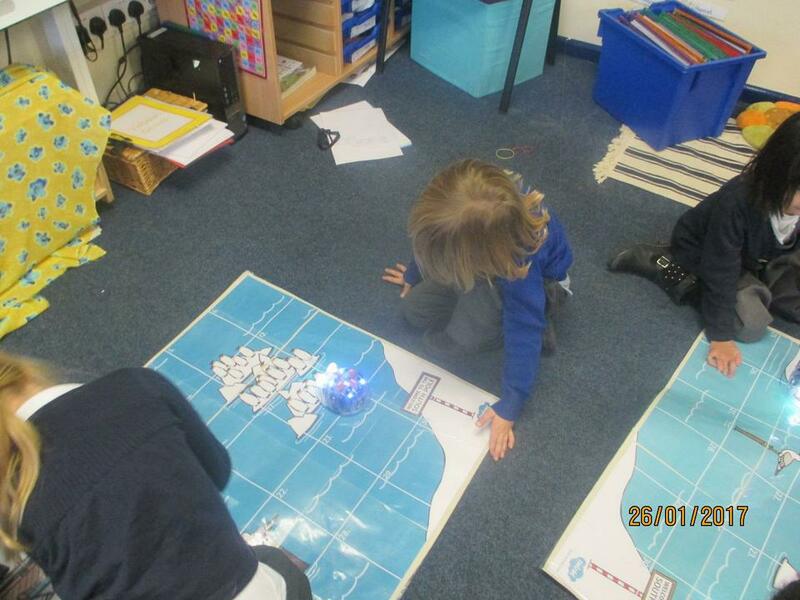 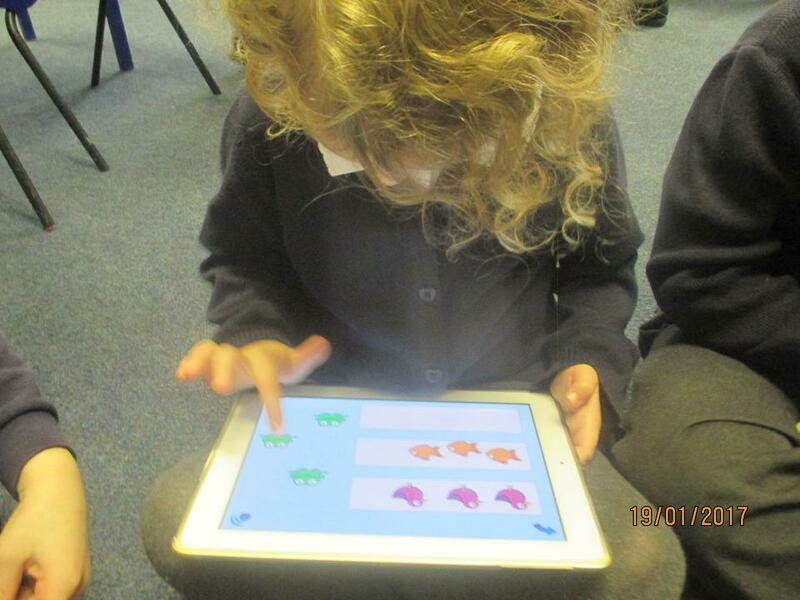 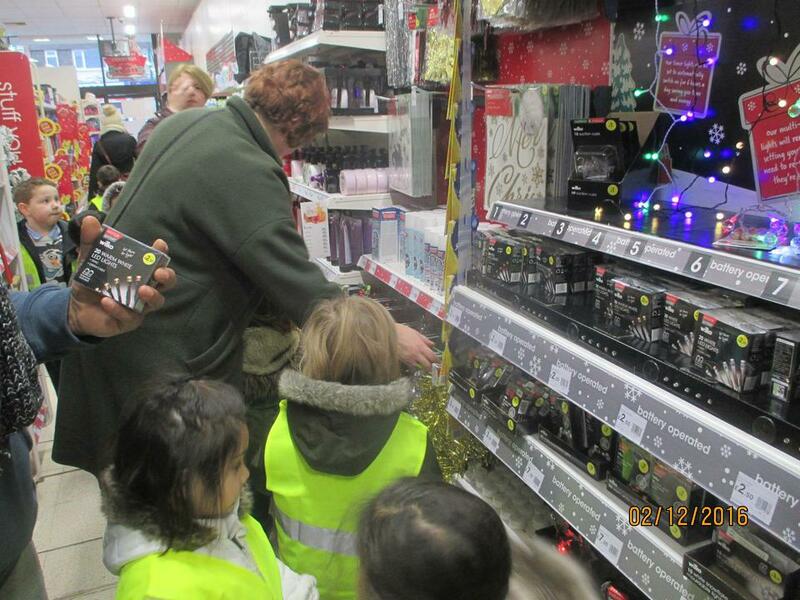 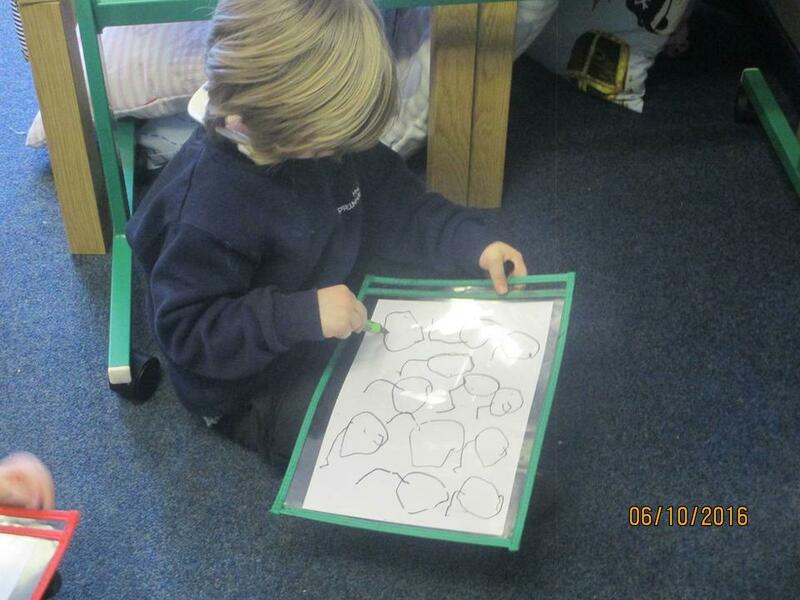 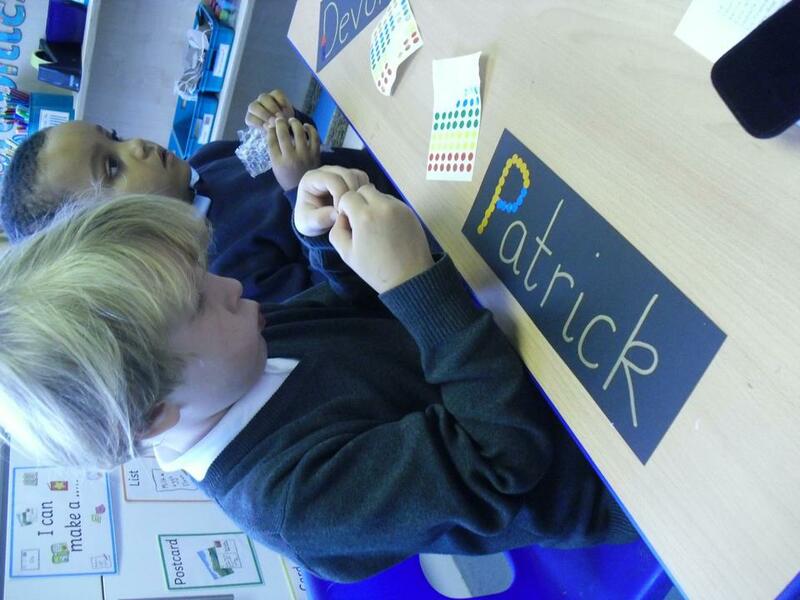 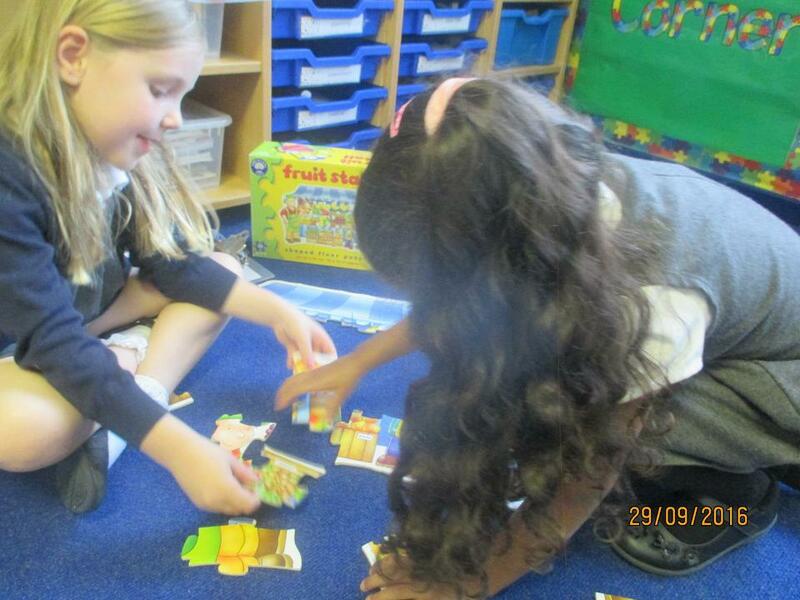 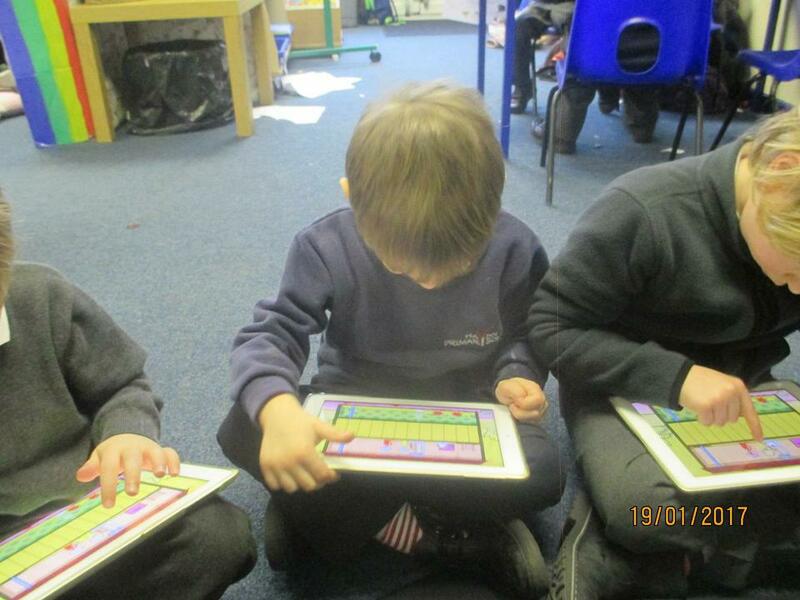 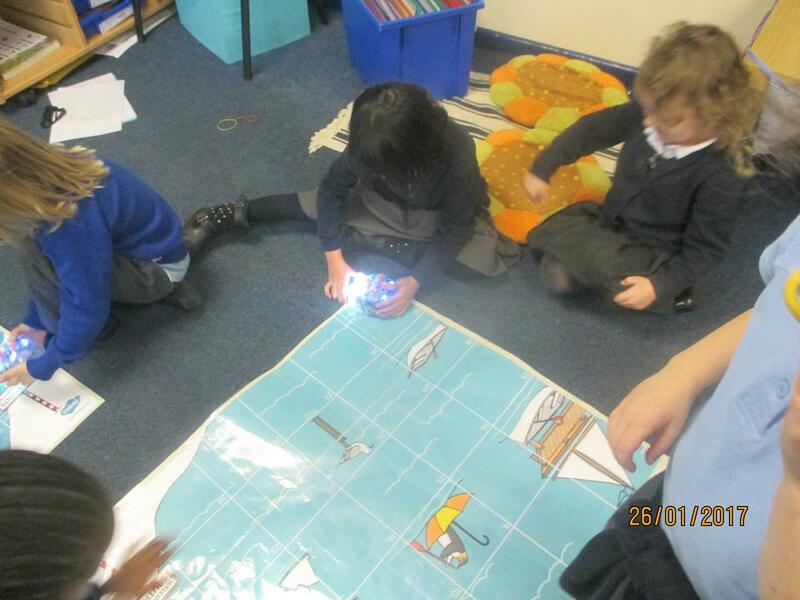 We also met Pop and Puzzle and have started the processes of learning to read, write and explore numbers.